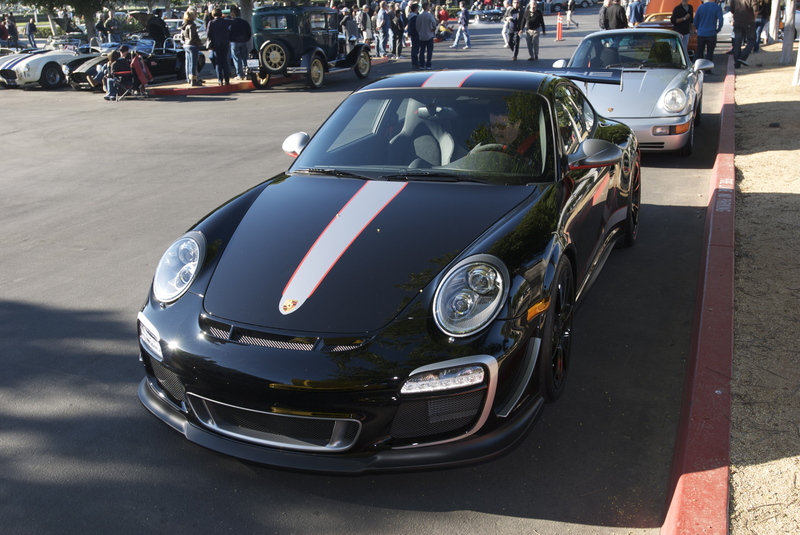 My Saturday mornings usually begin with my attending a weekly car show located in Irvine, California called Cars&Coffee. 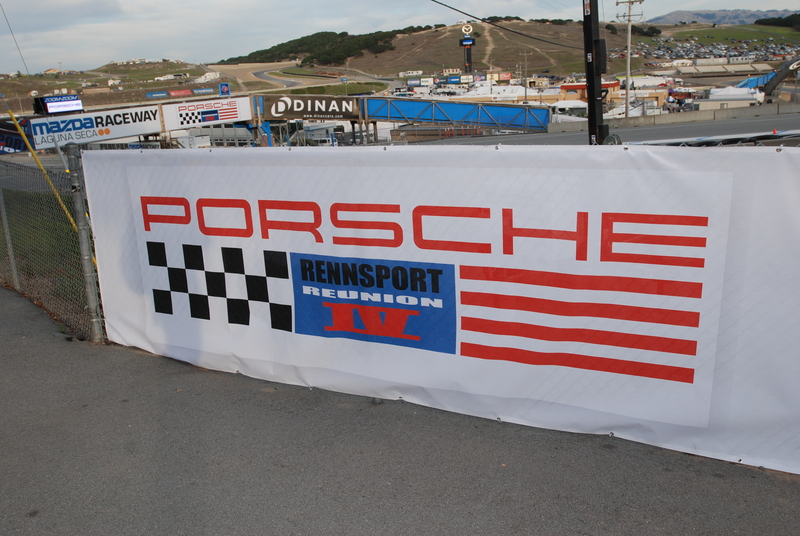 Participants begin showing up as early as 5:30 am (I usually try to arrive by 6 am) with the show lasting until 9-9:30 am. 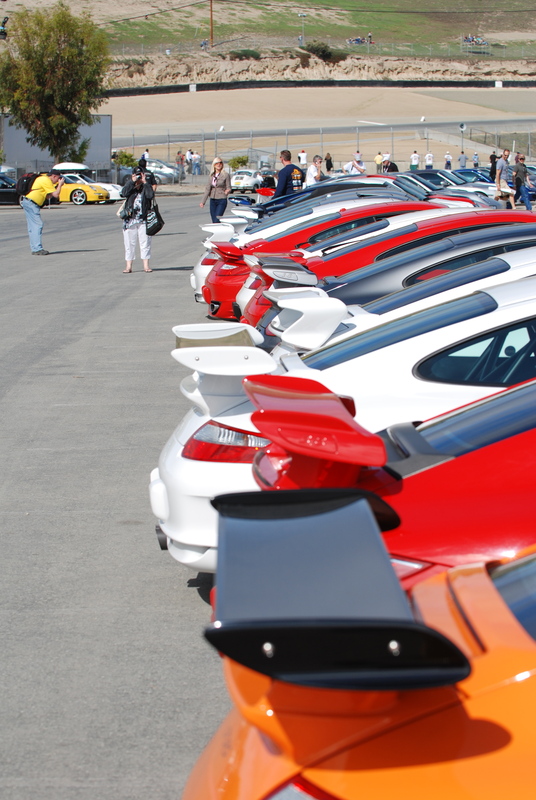 Because of the popularity of this event, and to get a good parking spot for the display of ones car, you need to arrive early. 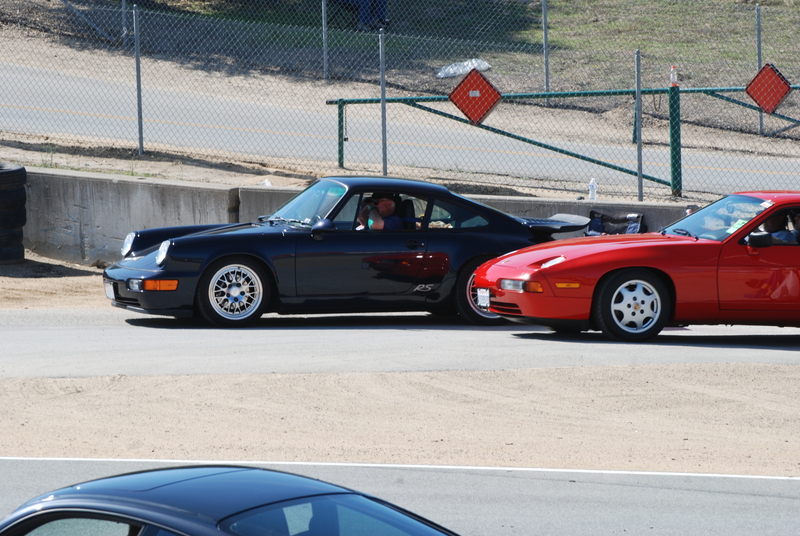 Getting there late can result in either being directed to the overflow parking area, or even worse, not being able to find any parking and being turned away. 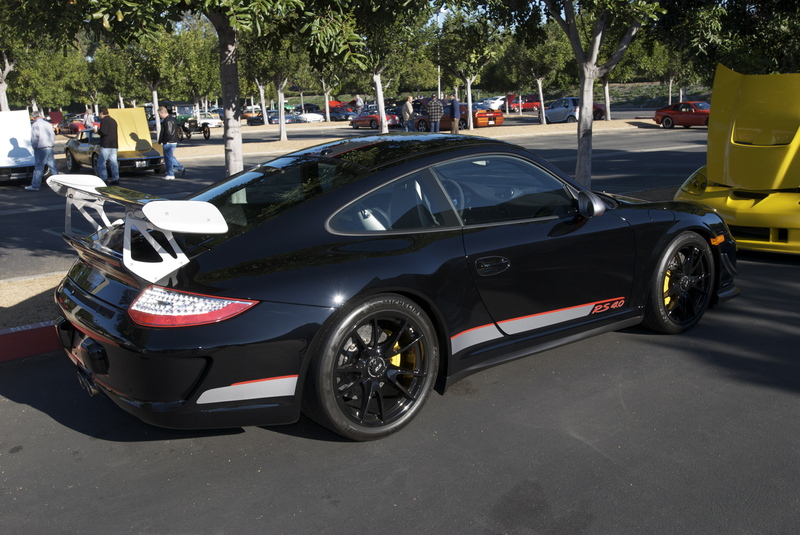 Of the many Porsches in attendance that morning, there was one in particular that caught my eye… a black, 2011 GT3RS 4.0. 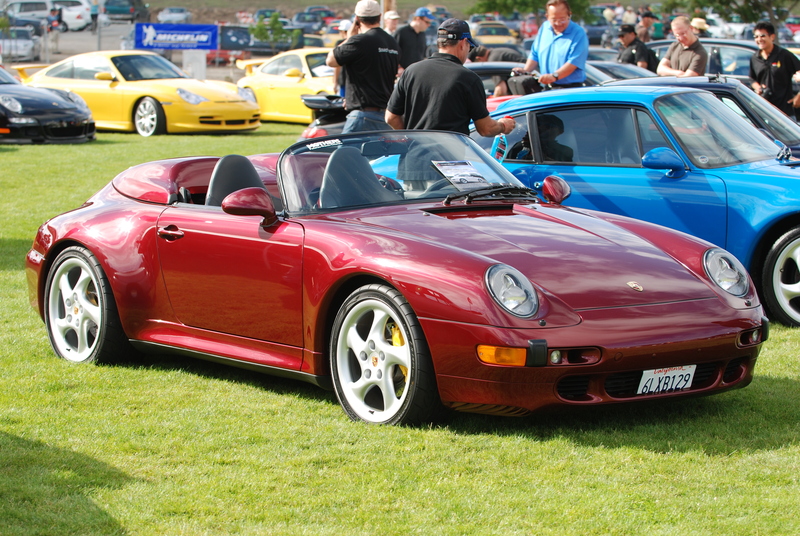 This particular car represents one of only 600 produced for worldwide consumption by Porsche, and which according to reports sold out within 14 days. 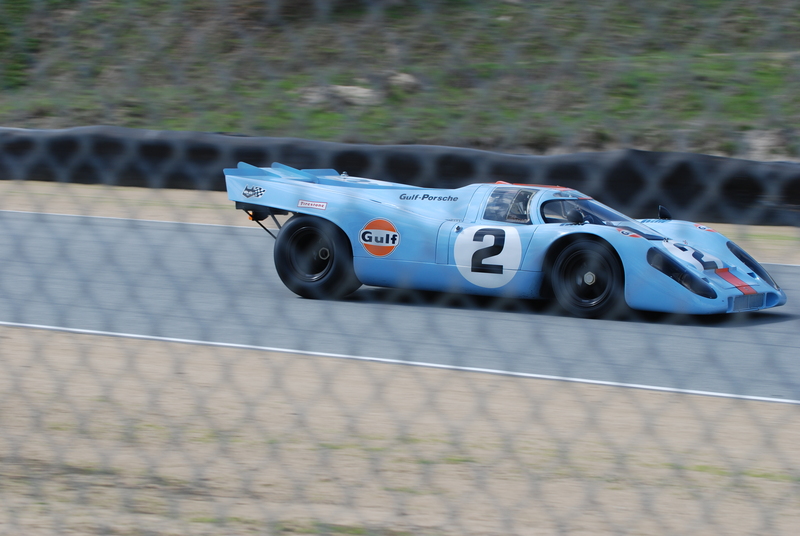 So given the rarity of this particular model, seeing one in person was pretty amazing. 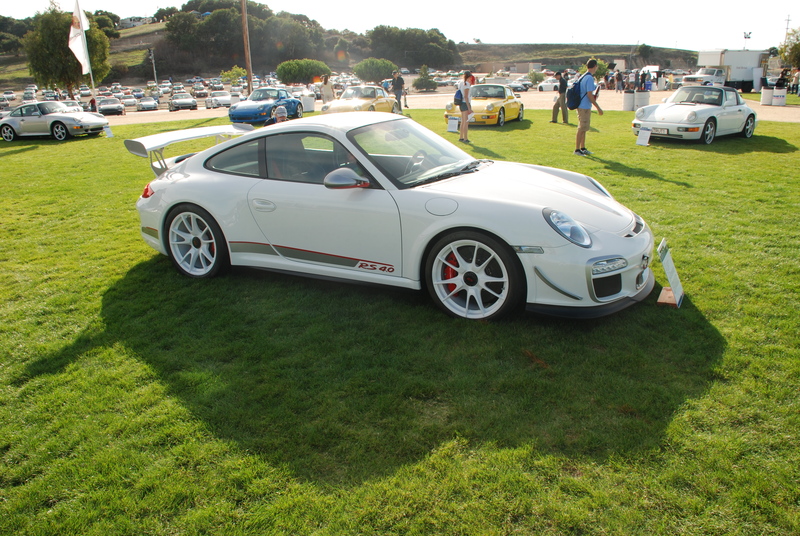 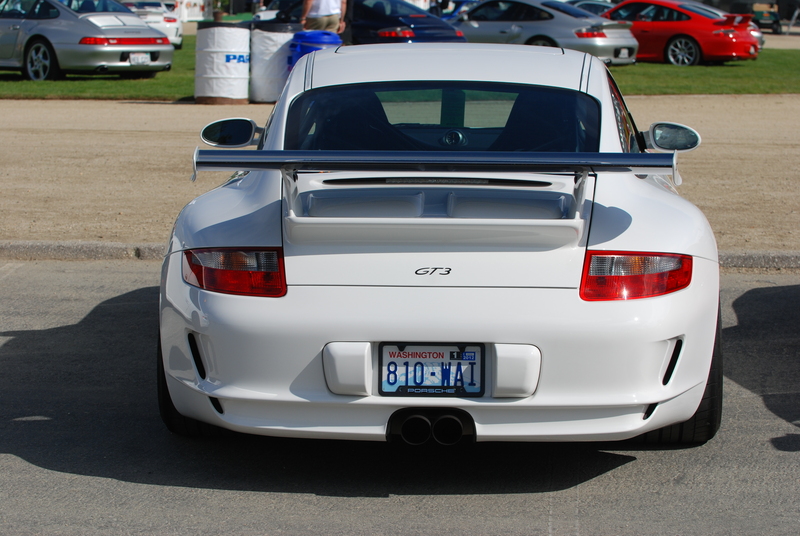 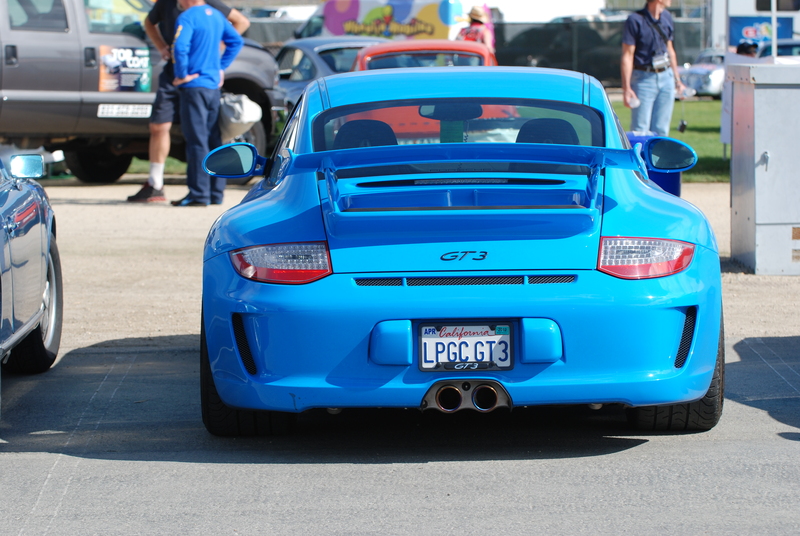 However, I consider myself fortunate to count this as my second encounter with a GT3 RS 4.0, since my first sighting was of a white RS 4.0 model, that had been on display at the Porsche Rennsport Reunion IV event back in October (see photos below). 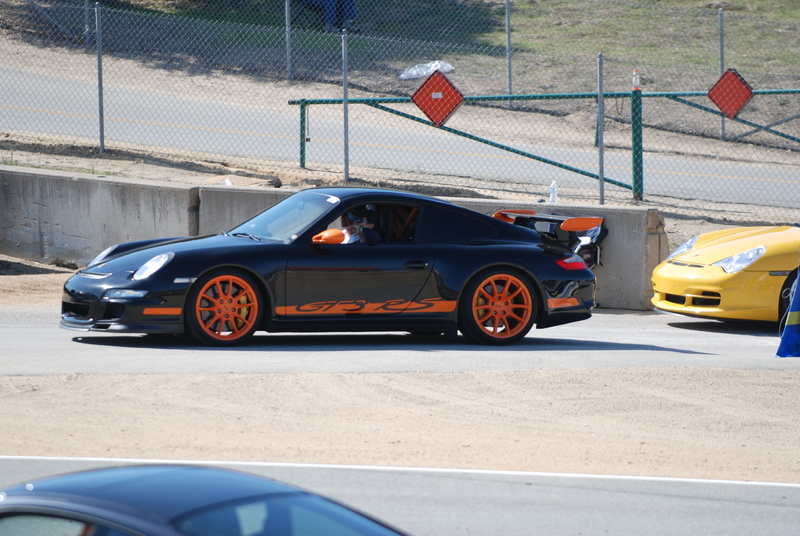 And so now I was face to face with my second GT3 RS 4.0, and this time it was the evil twin. 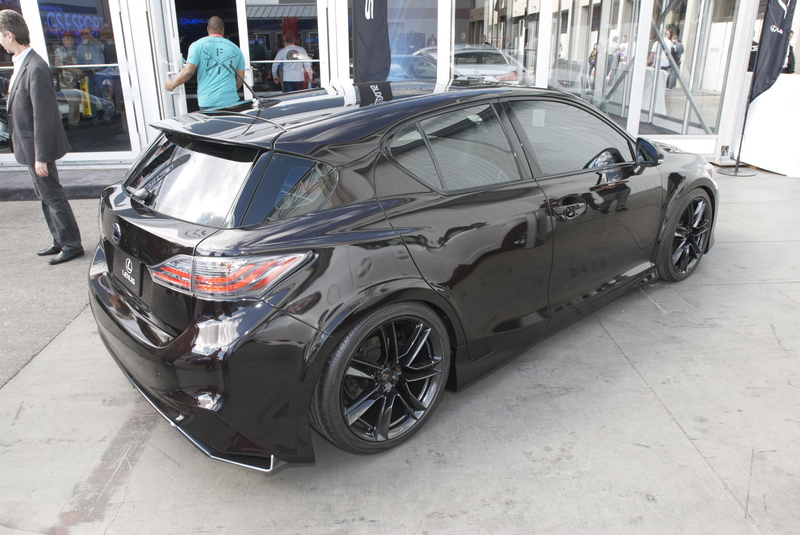 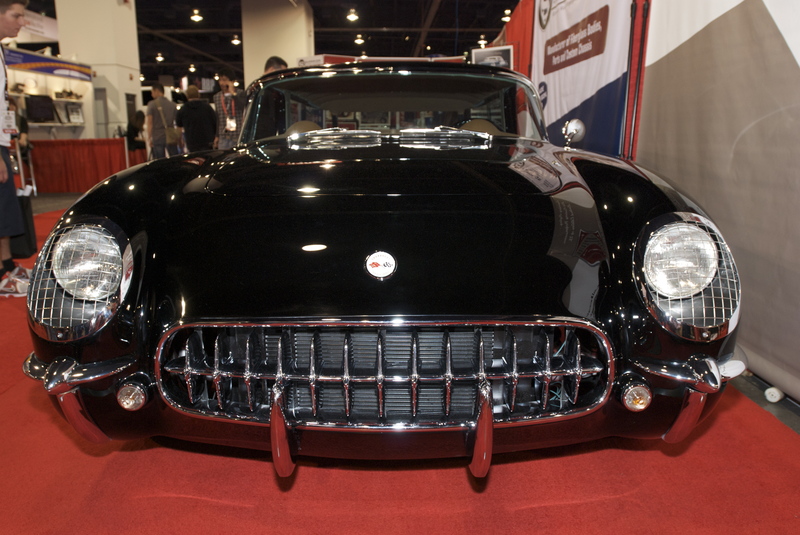 This particular car, dressed in black right down to its centerlock wheels, was much more sinister looking than its white-painted sibling, shimmering in its flawless, reflective black mirror- like finish. 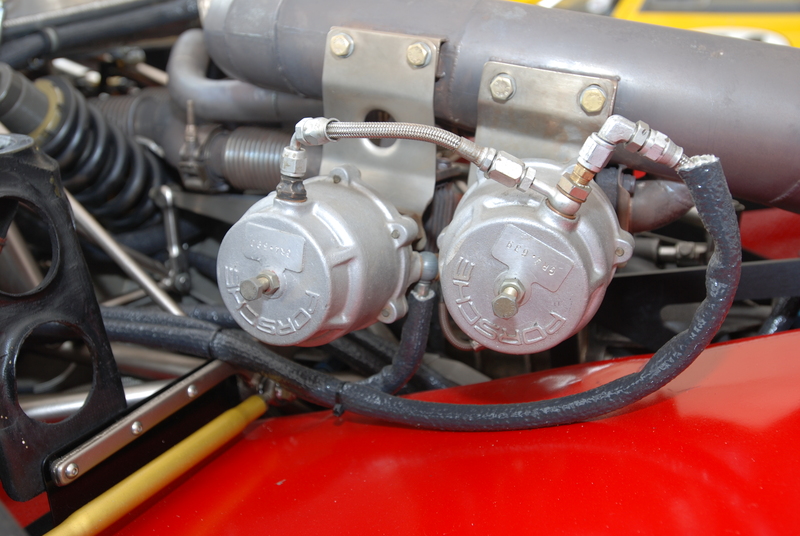 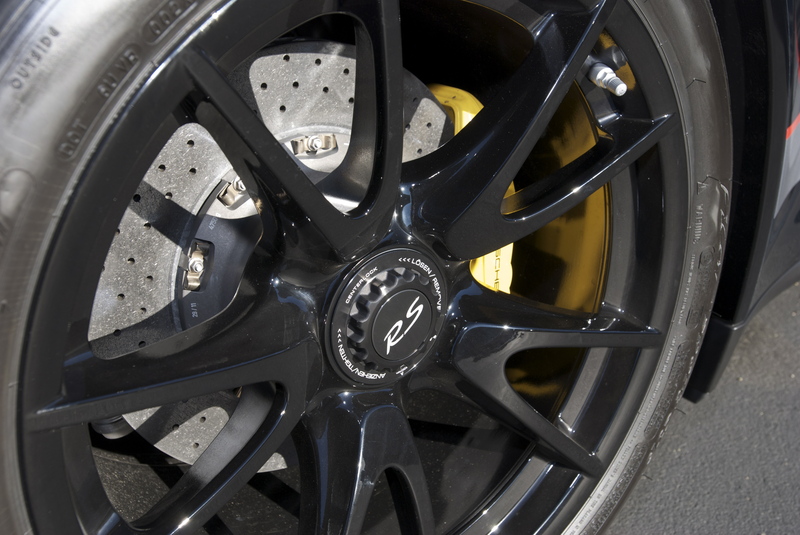 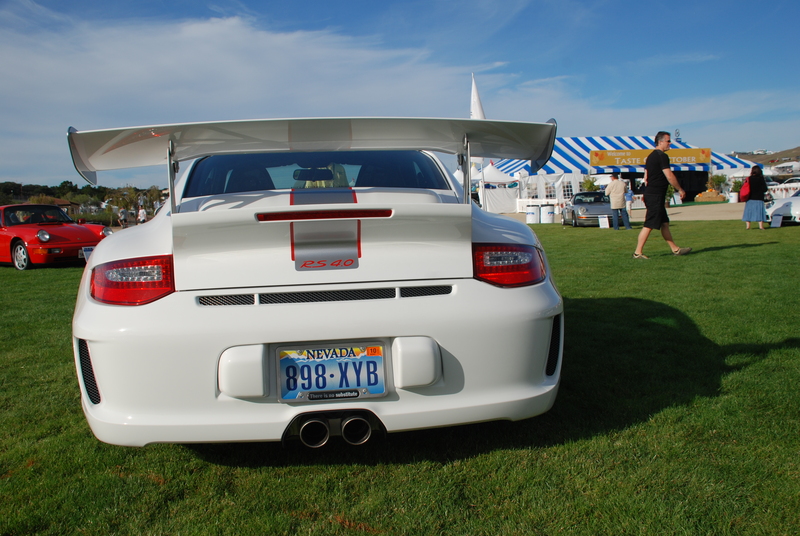 As part of Porsches weight savings endeavors with the RS 4.0, several very subtle measures were taken to reduce the vehicles overall weight. 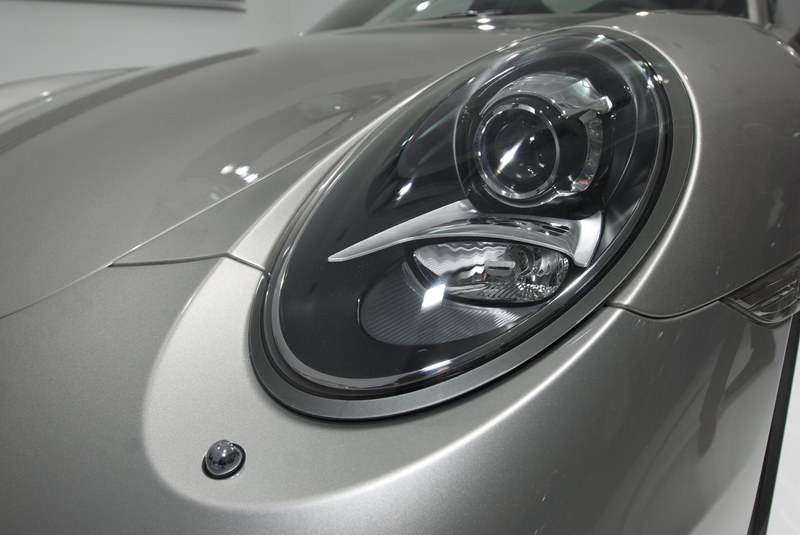 At the front of the car, the hood has been manufactured from carbon fiber (very similar to the hood found on the Porsche GT2RS). 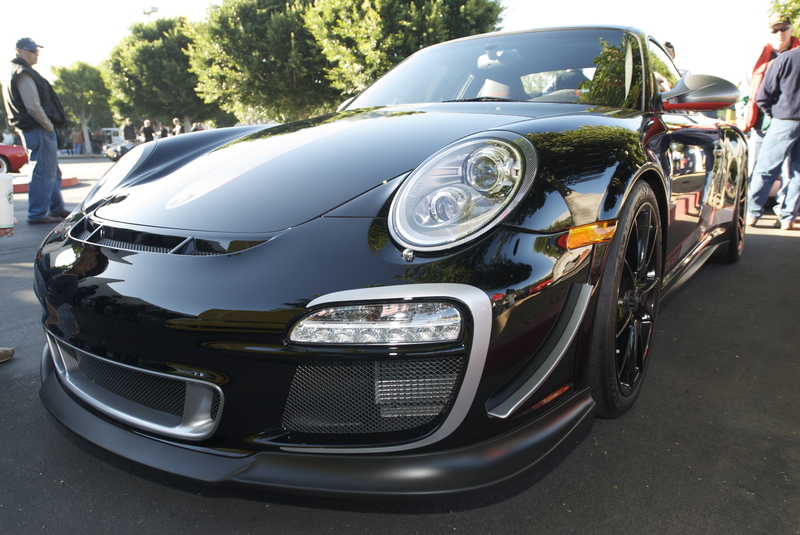 However in this case, to save additional weight Porsche paints the RS 4.0 ‘s carbon fiber hood to match the car, instead of finishing the hood using the clear resin coating found on the GT2RS ( which ironically turns out to be a heavier production process). 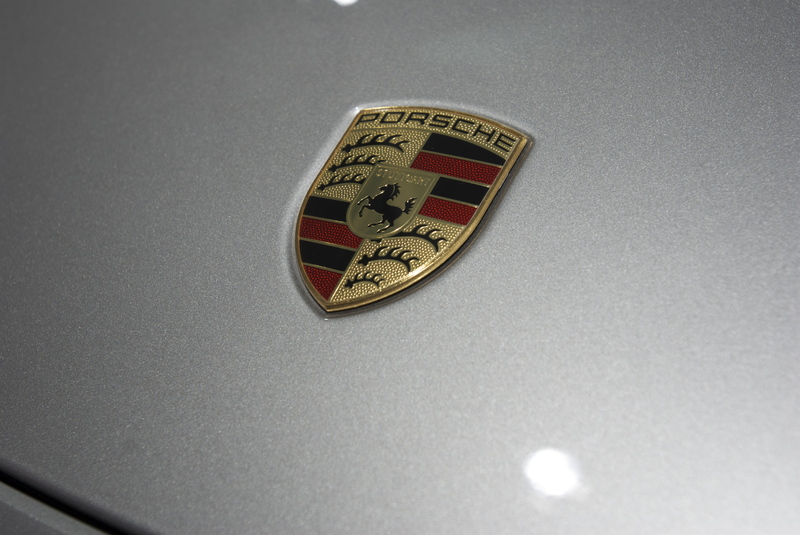 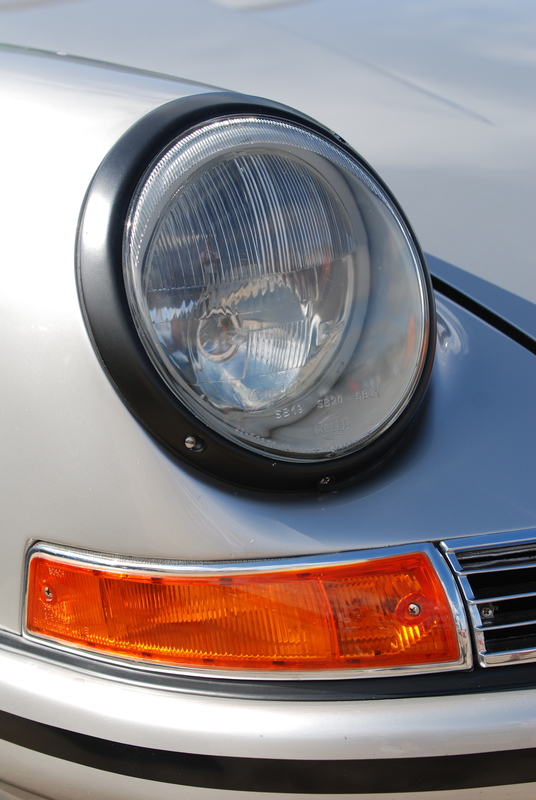 Another weight savings effort is the use of a decal for the Porsche hood crest, instead of using the traditional metal Porsche hood emblem. 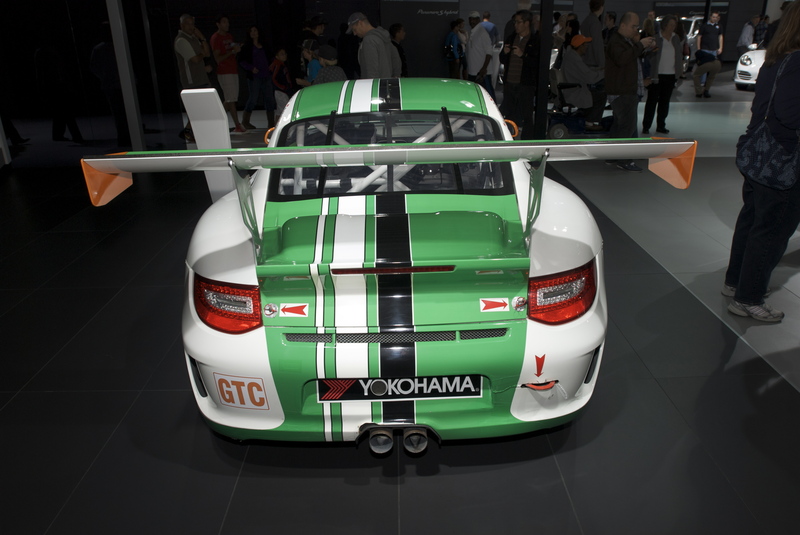 Moving to the back of the car, located beneath the massive rear wing, resides the 4.0 liter, 500 horsepower engine, able to propel the car from 0-60 in a neck snapping 3.9 seconds, driven through a six speed manual transmission. 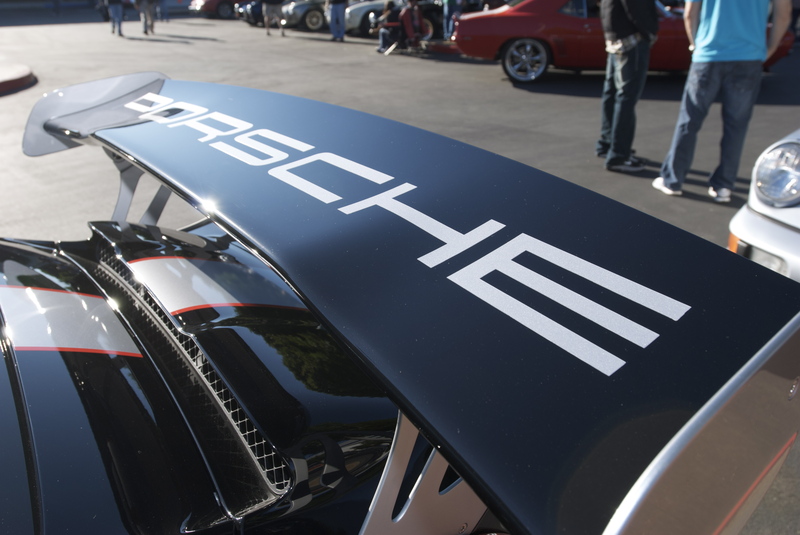 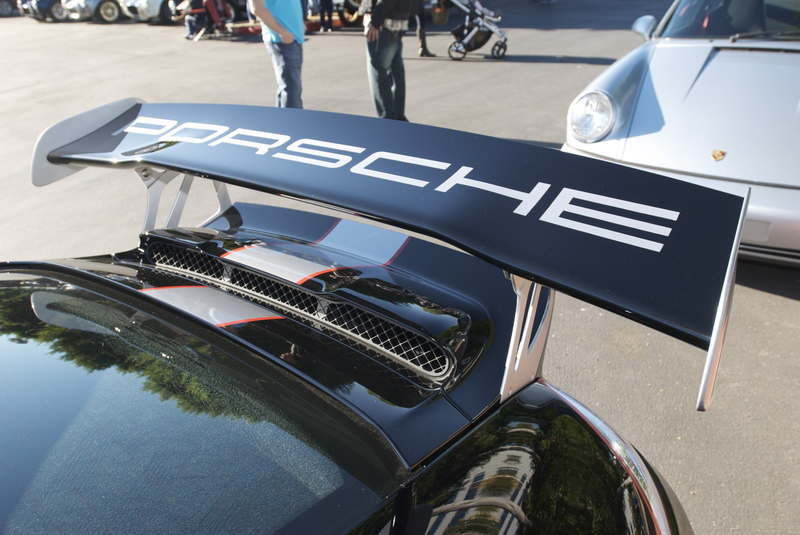 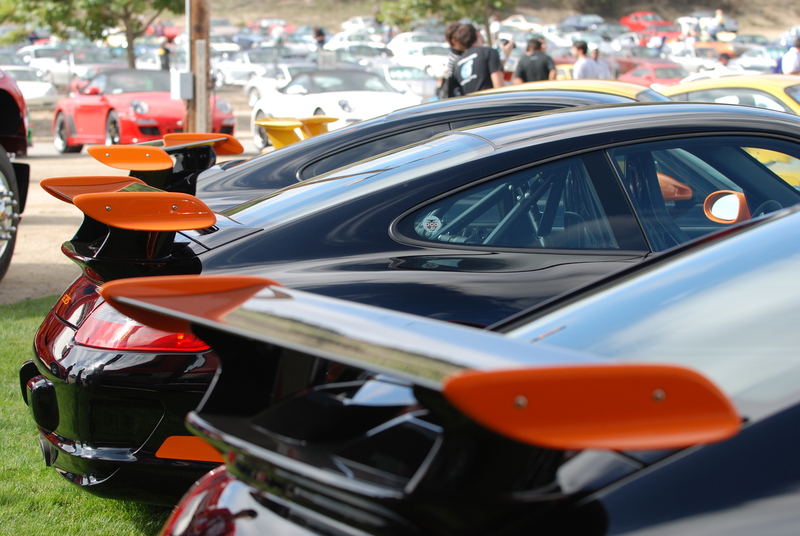 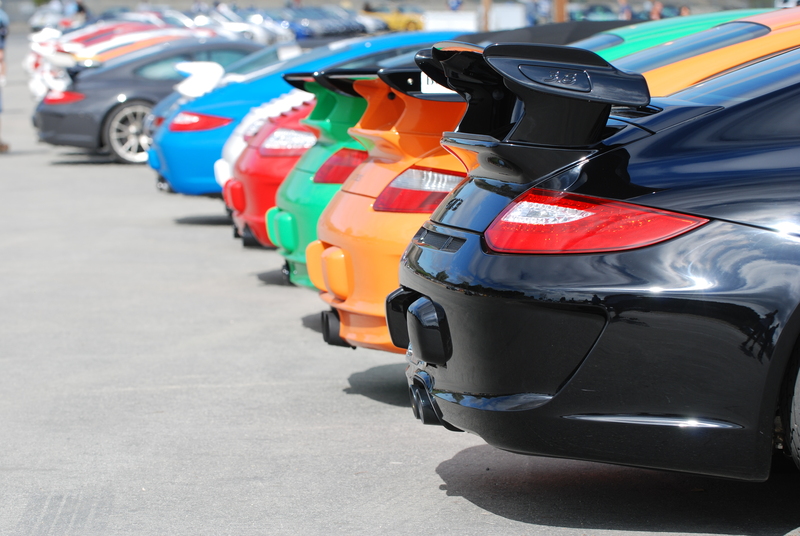 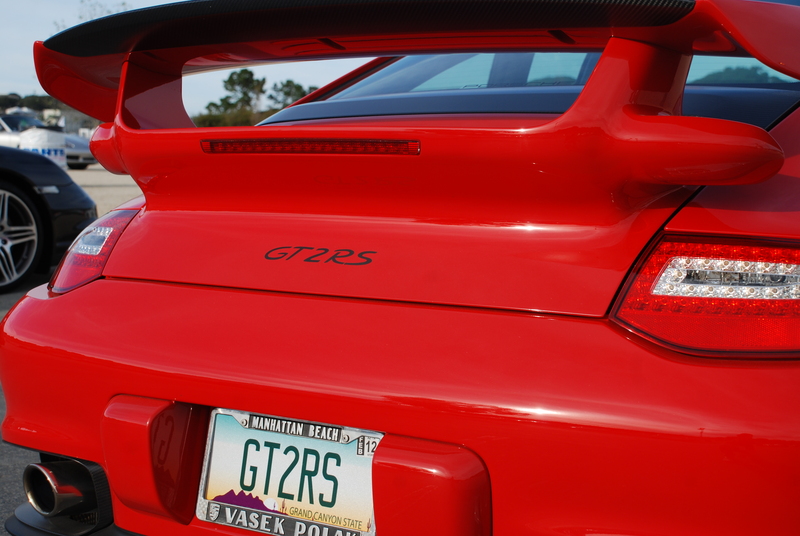 The rear wing also holds several secrets to this cars enhanced performance; the rear wing end plates have been modified over those found on the 2011 3.8 liter GT3RS, and the angle of attack for the GT3 RS 4.0 rear wing has been increased to 9 degrees, instead of running the stock setting of 6.8 degrees as found on the 3.8 GT3RS, for even greater downforce. 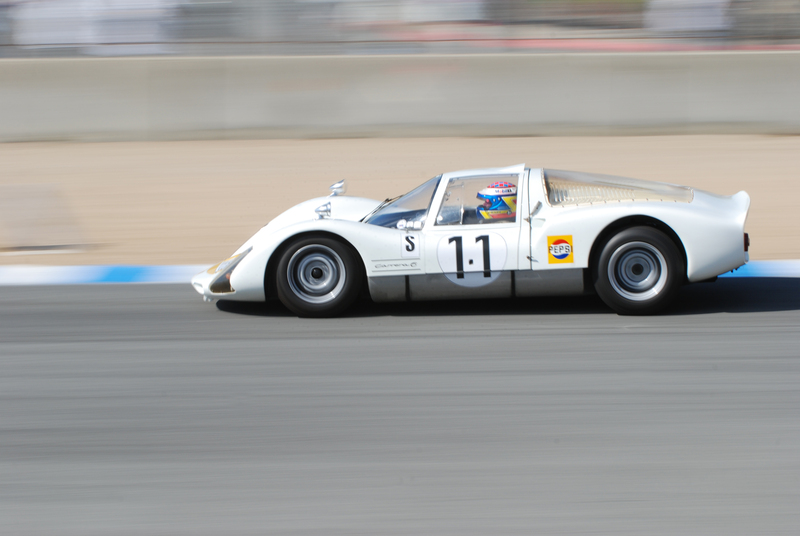 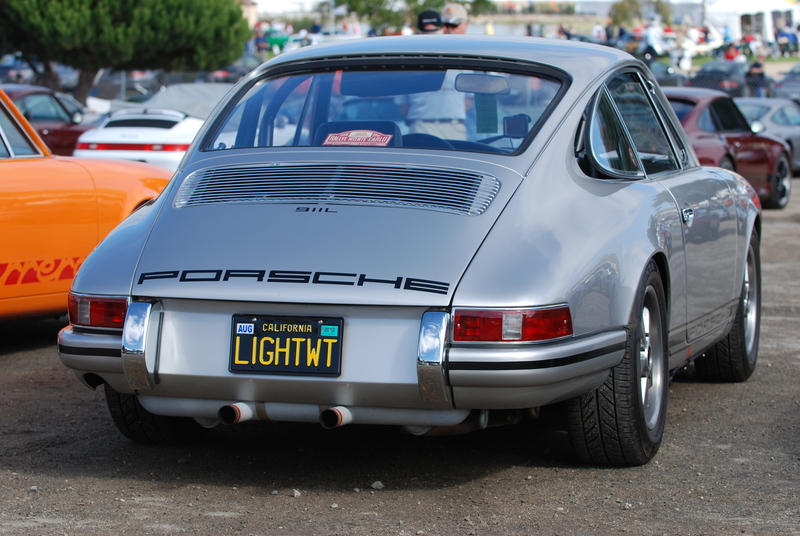 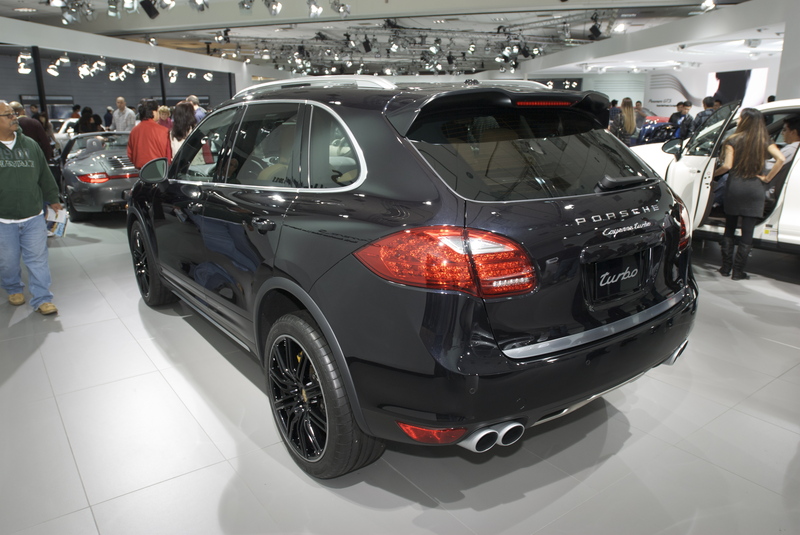 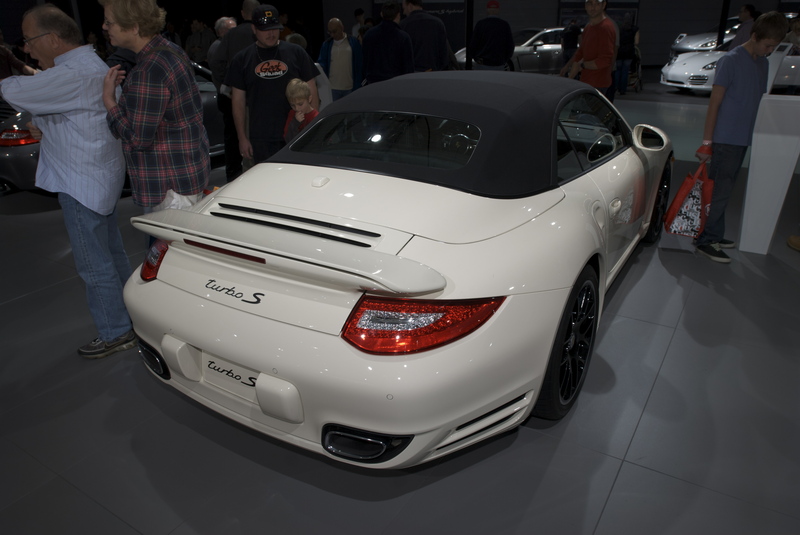 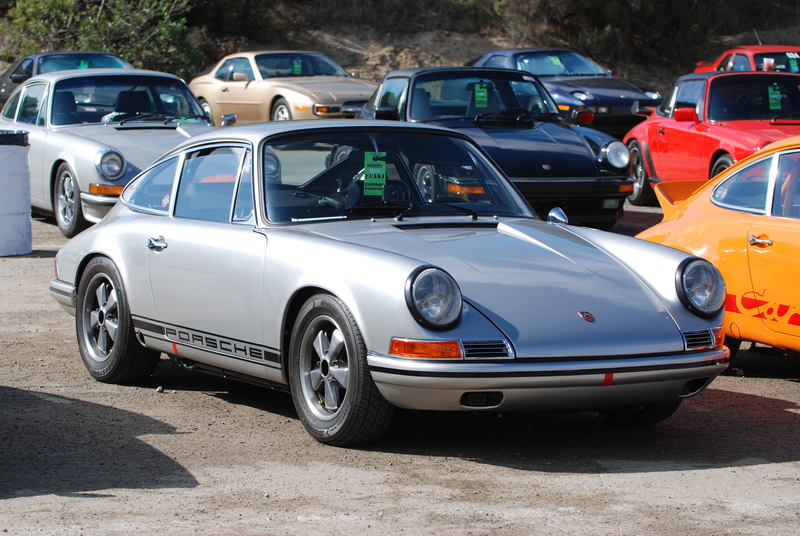 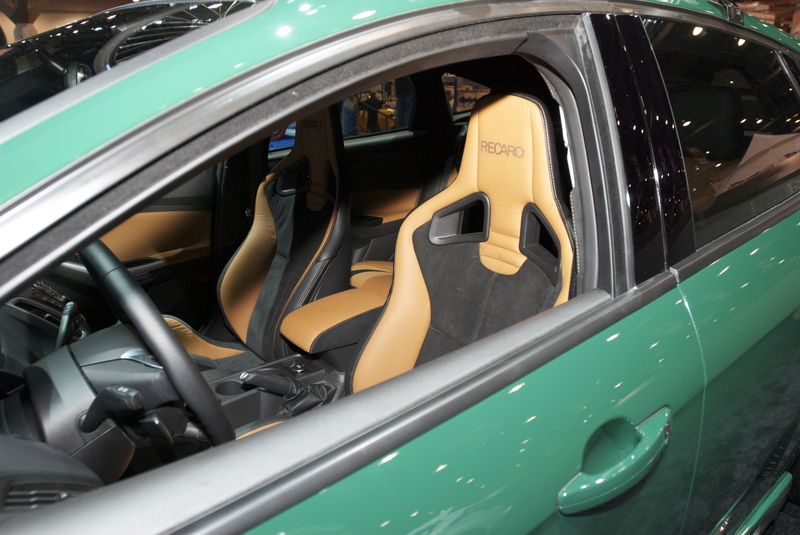 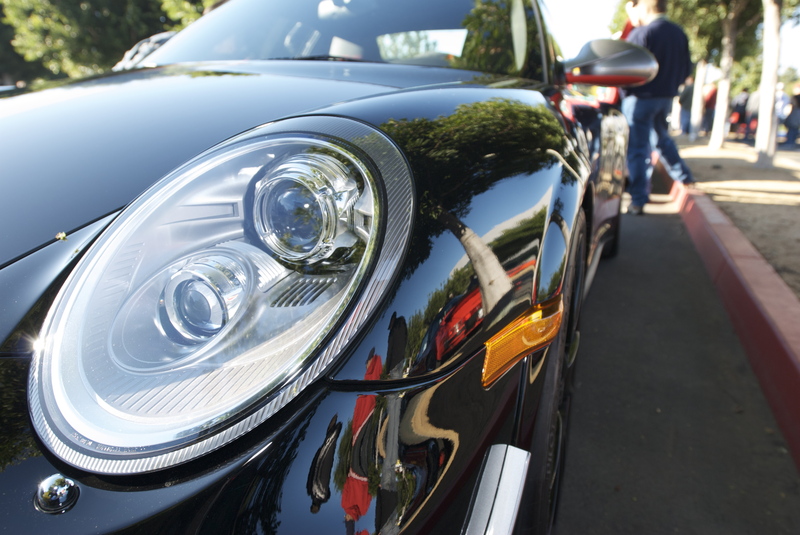 The Auto Show has once again returned to Los Angeles, and for local Porsche owners, it’s that time again to return to Petree Hall to check out the latest and greatest offerings from our favorite Marque, before viewing the rest of the show. 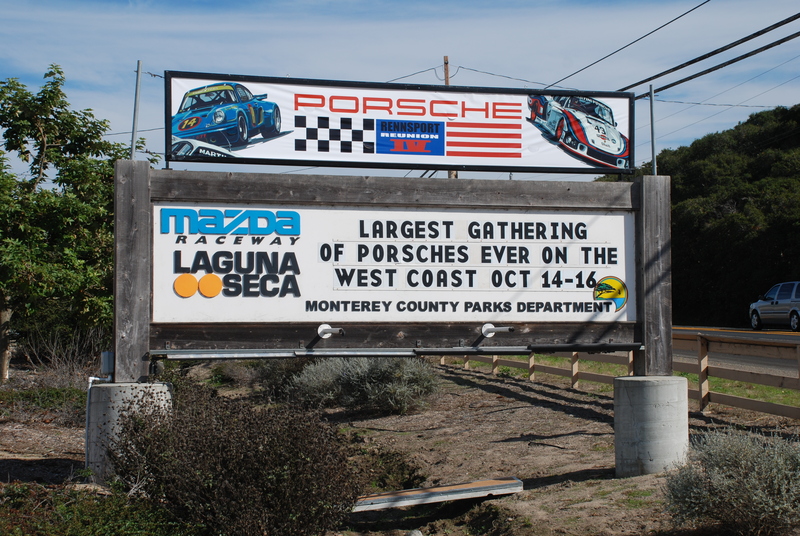 So on Saturday that’s exactly what we did. 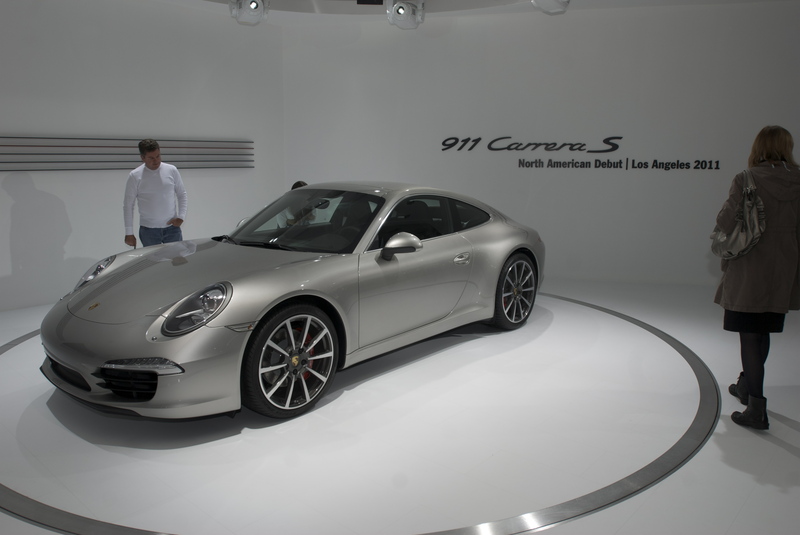 My wife, son and I all headed off to the L.A. Convention center, where we met up with one of my Porsche buddies. 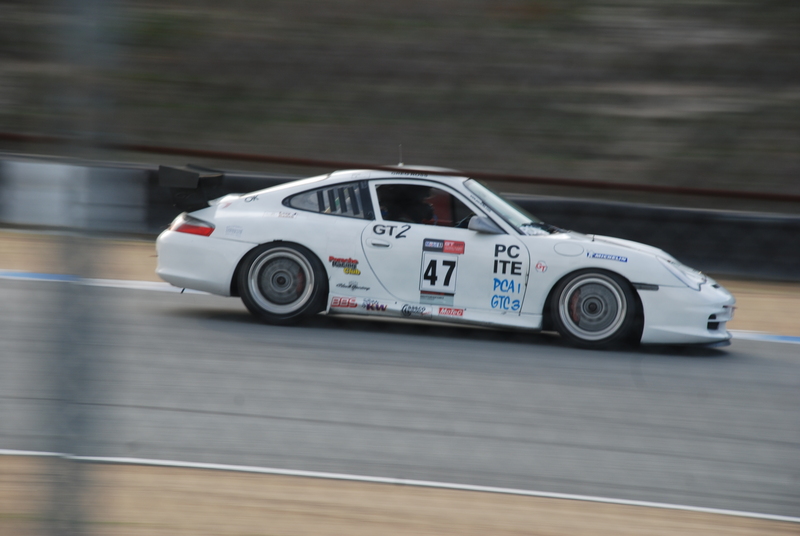 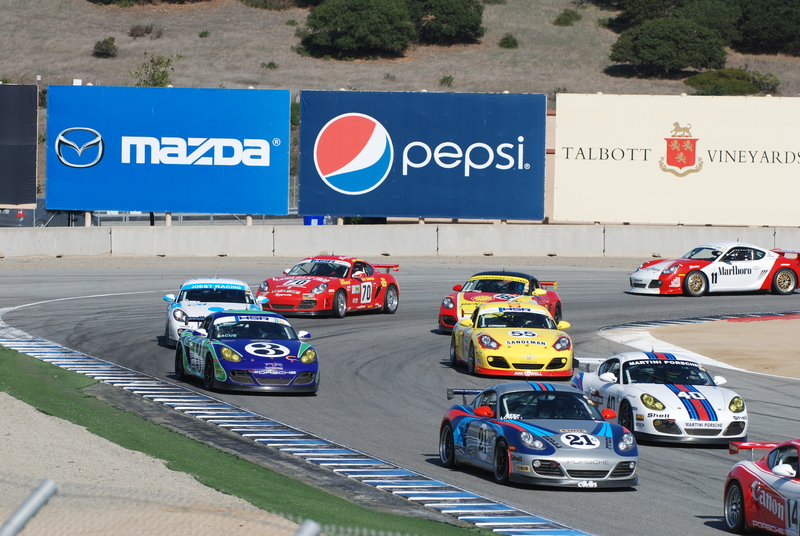 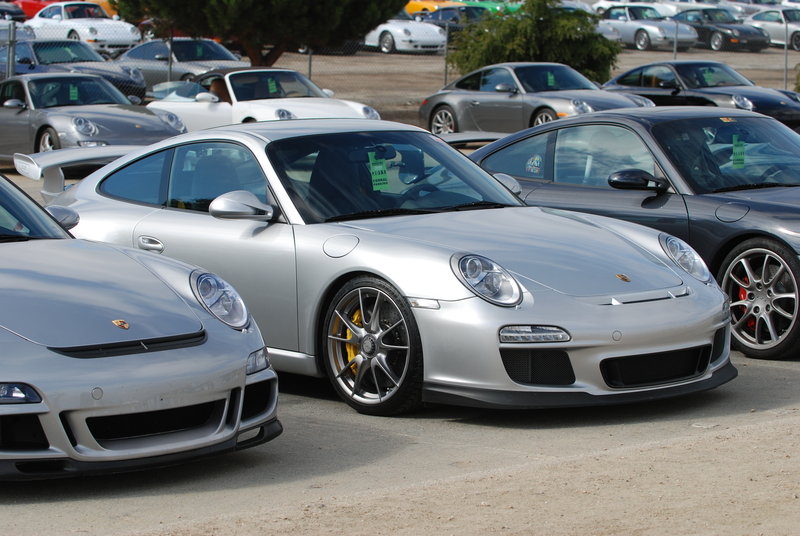 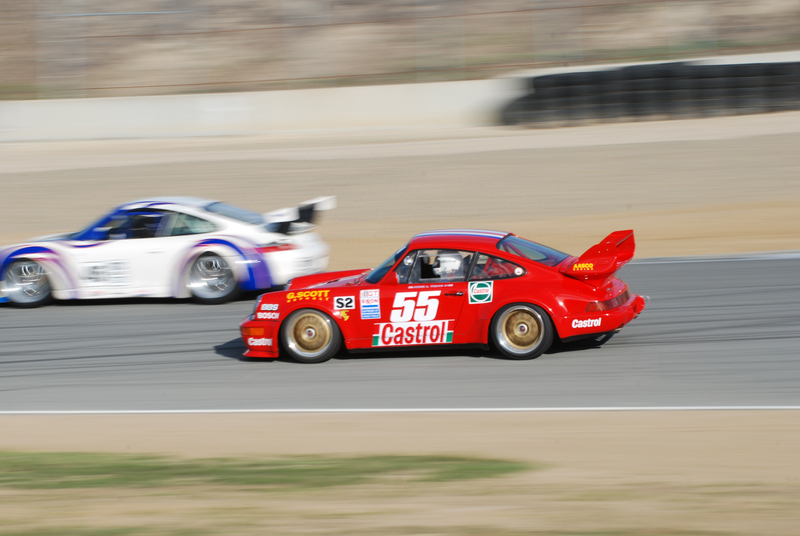 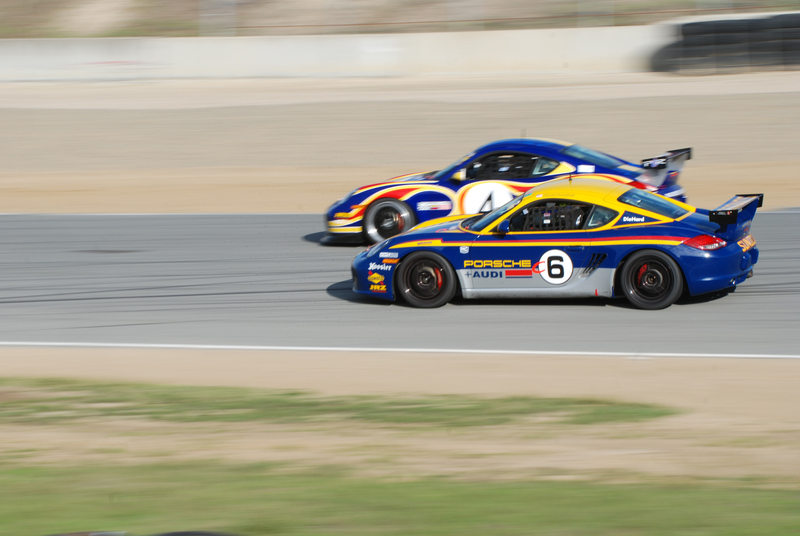 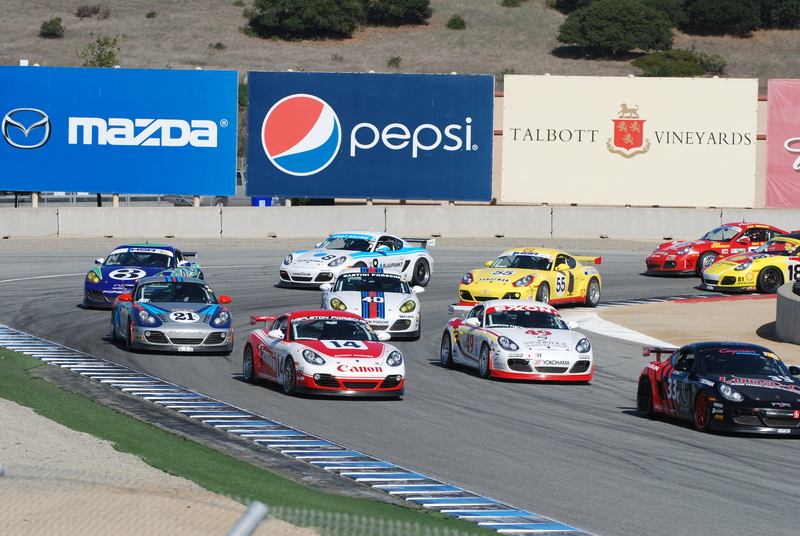 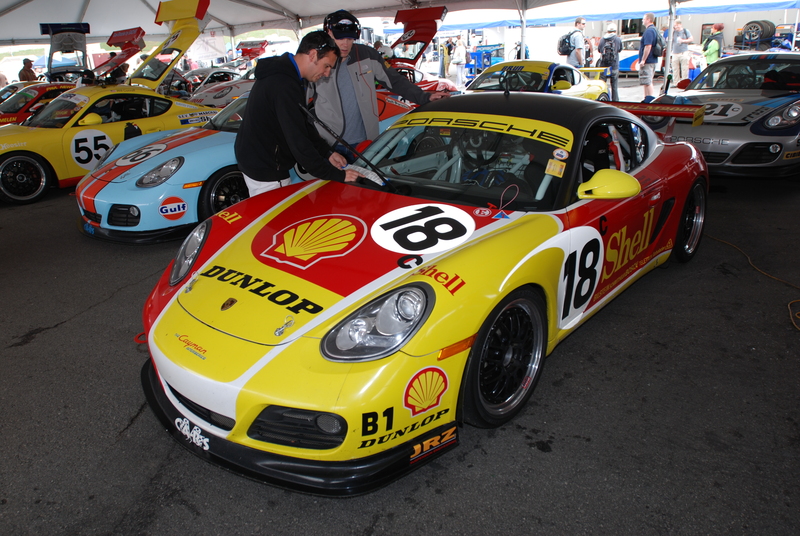 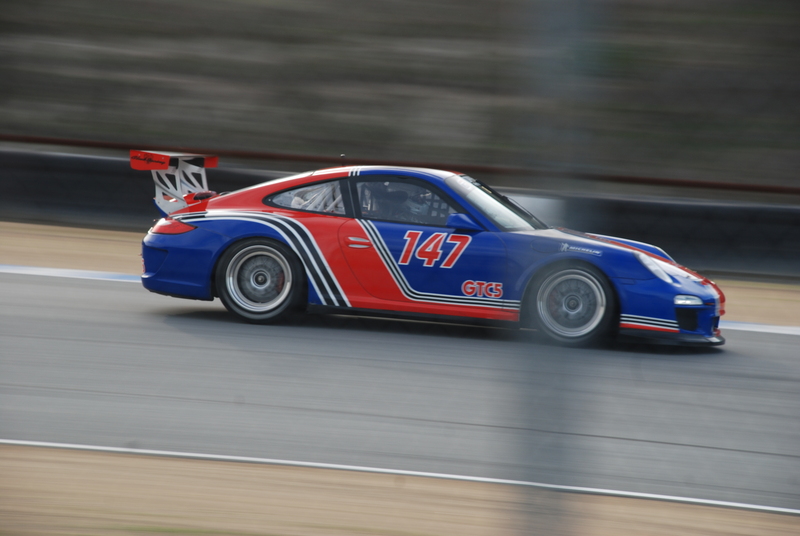 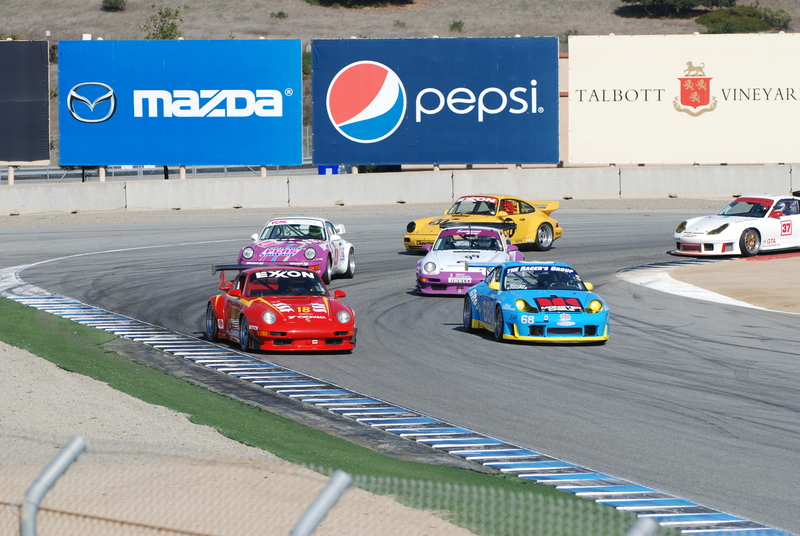 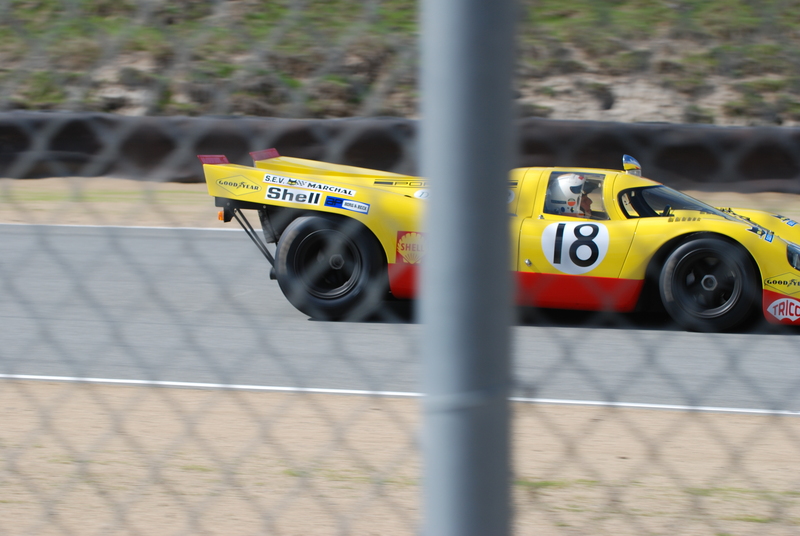 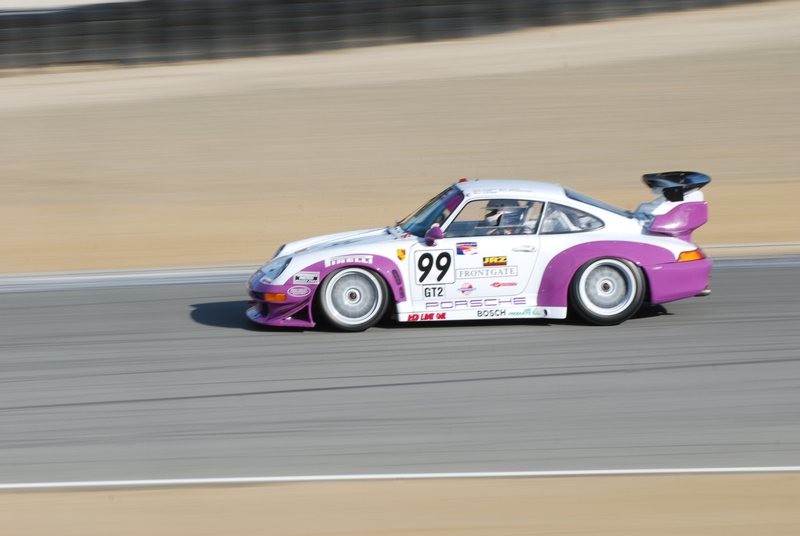 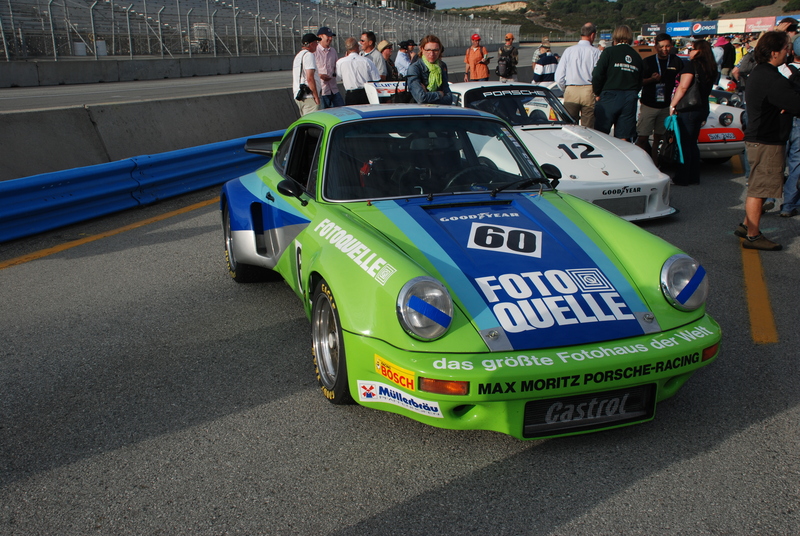 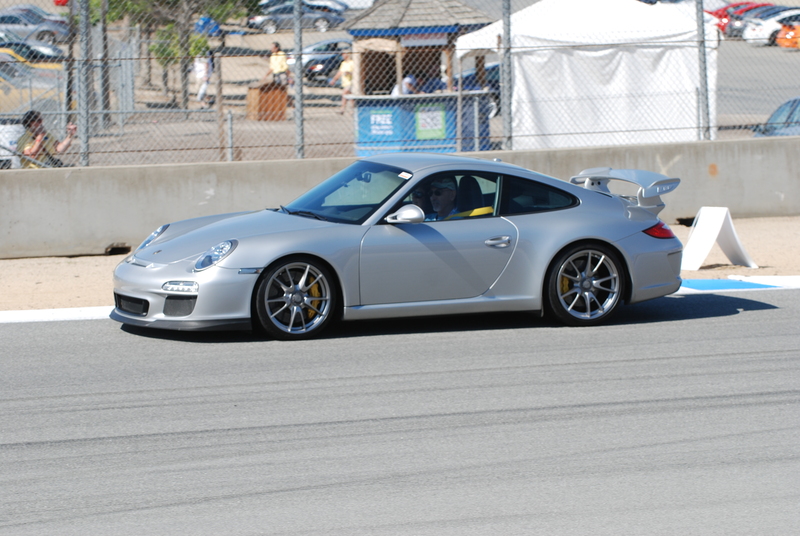 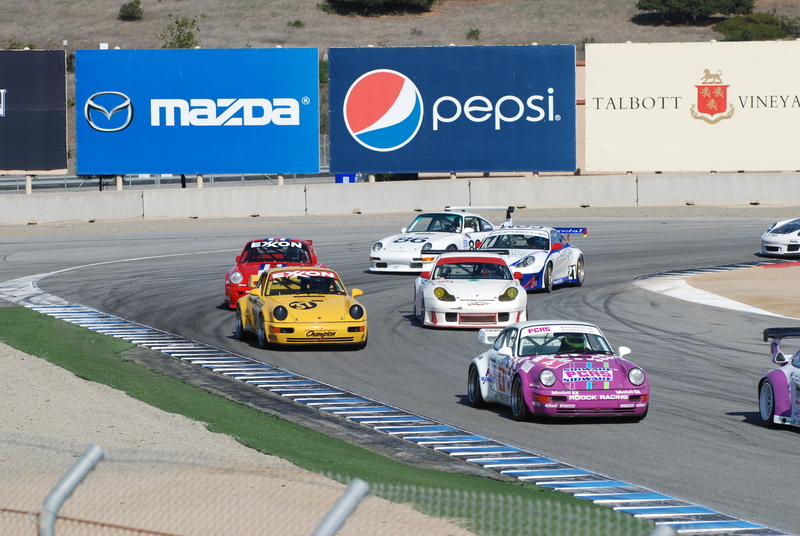 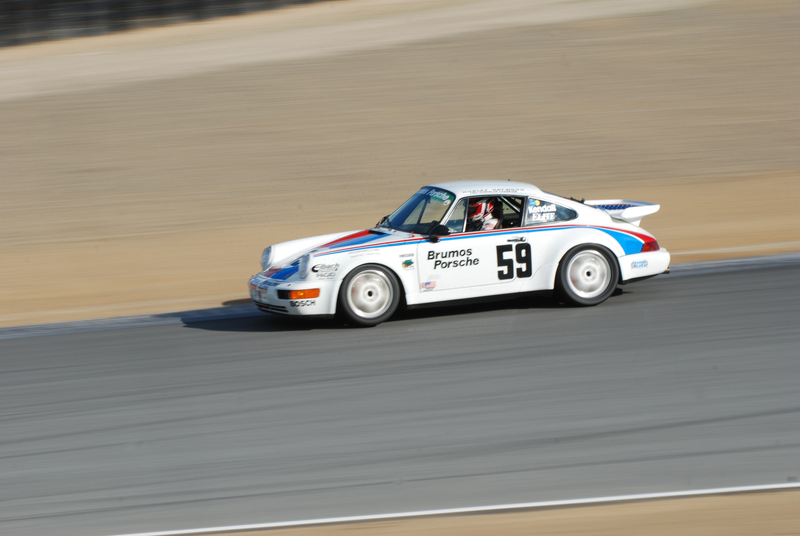 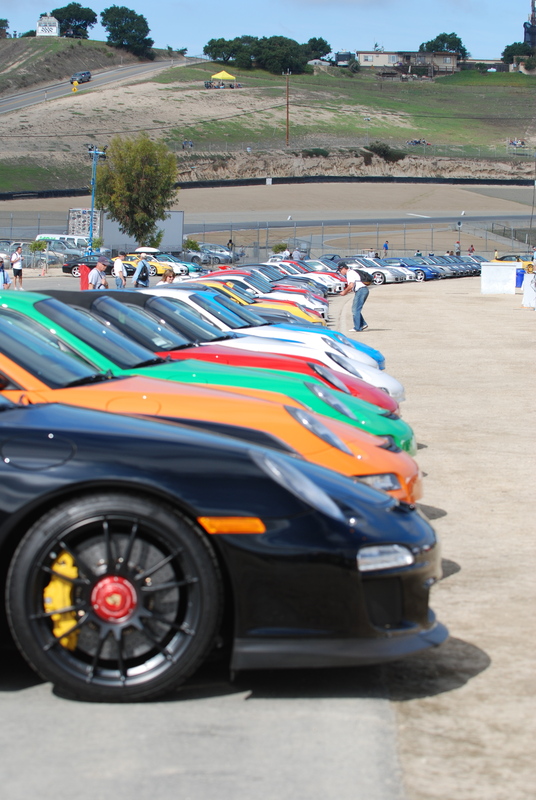 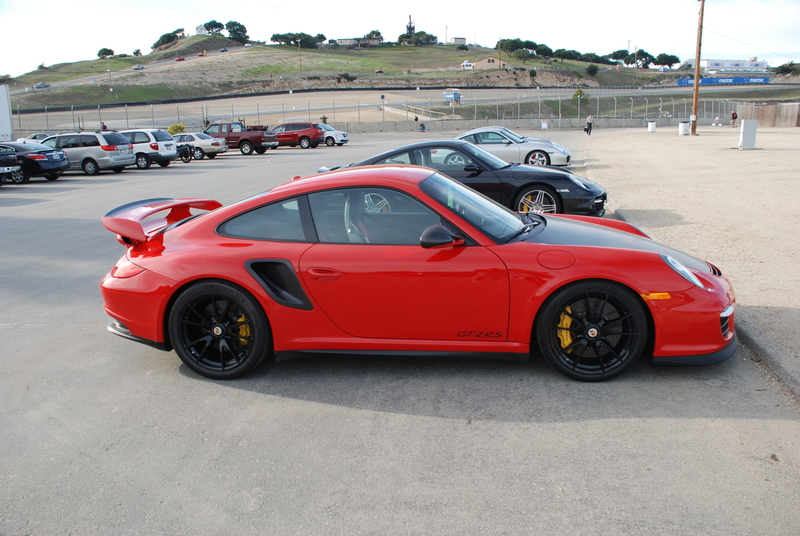 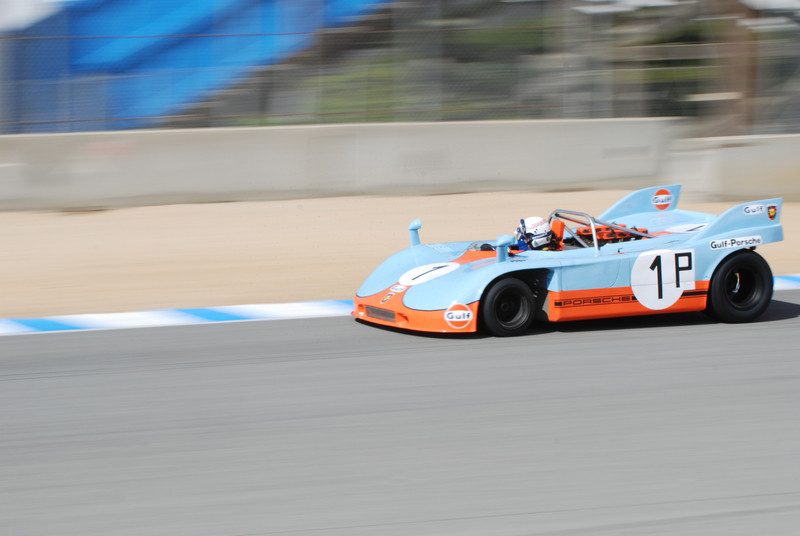 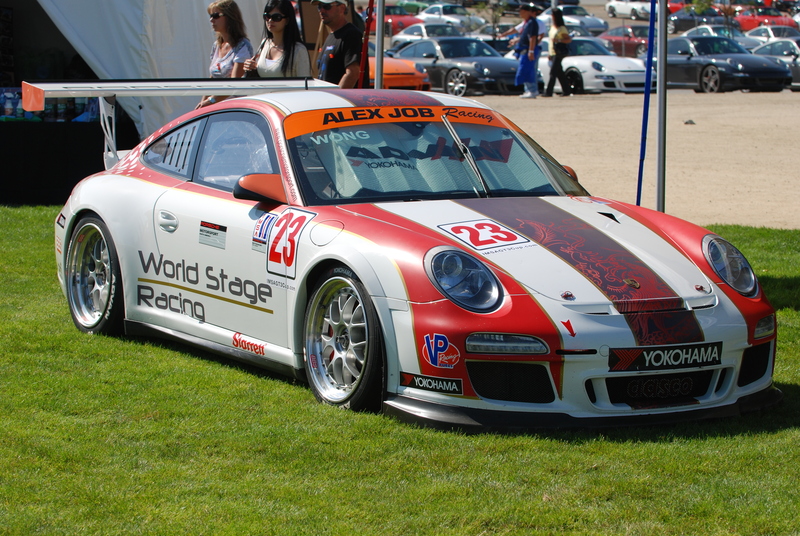 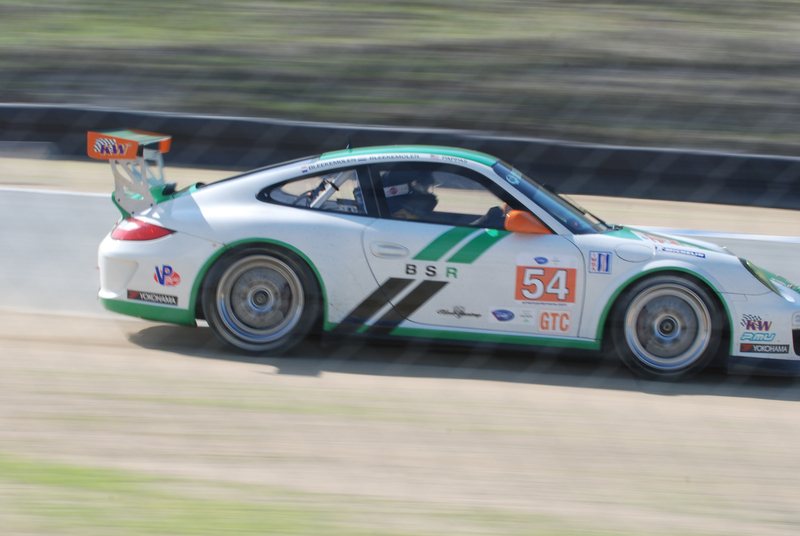 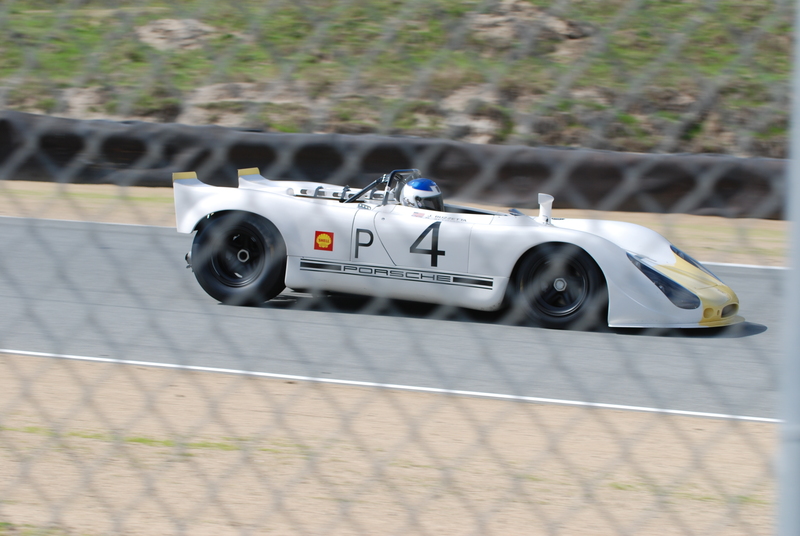 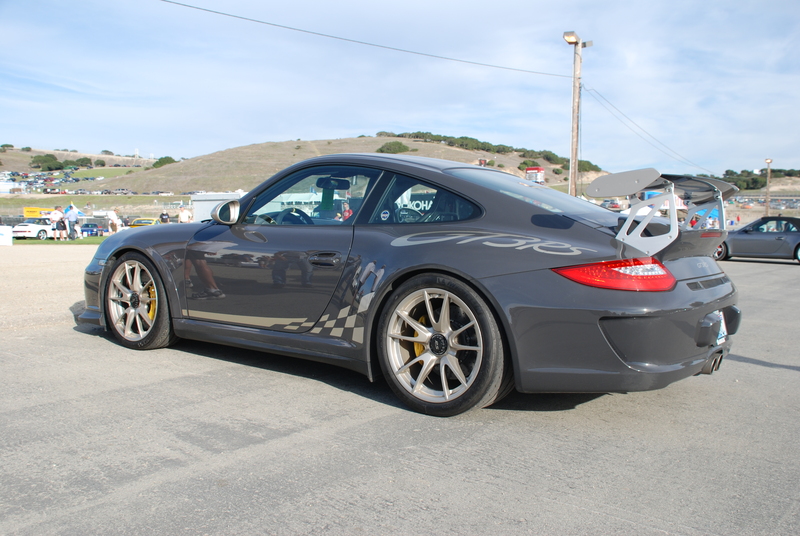 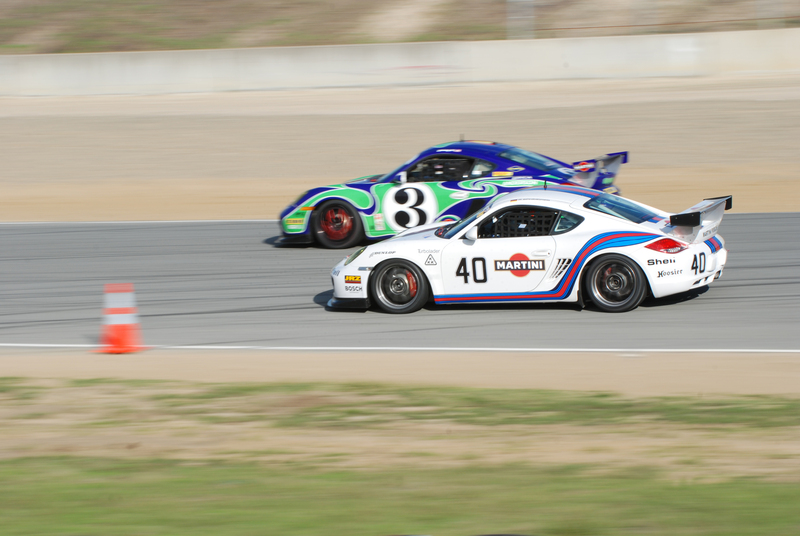 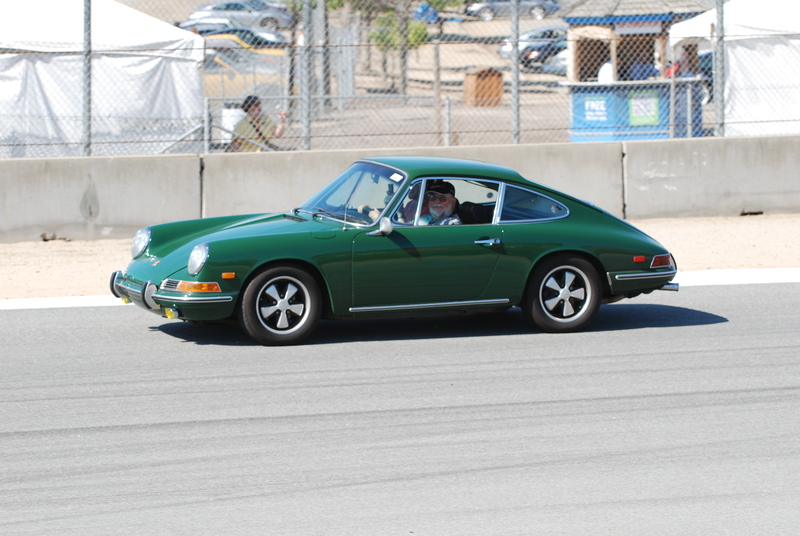 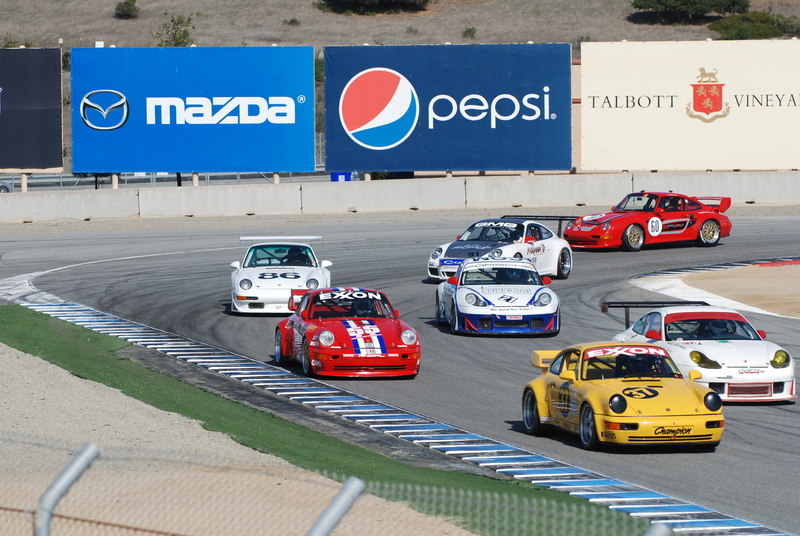 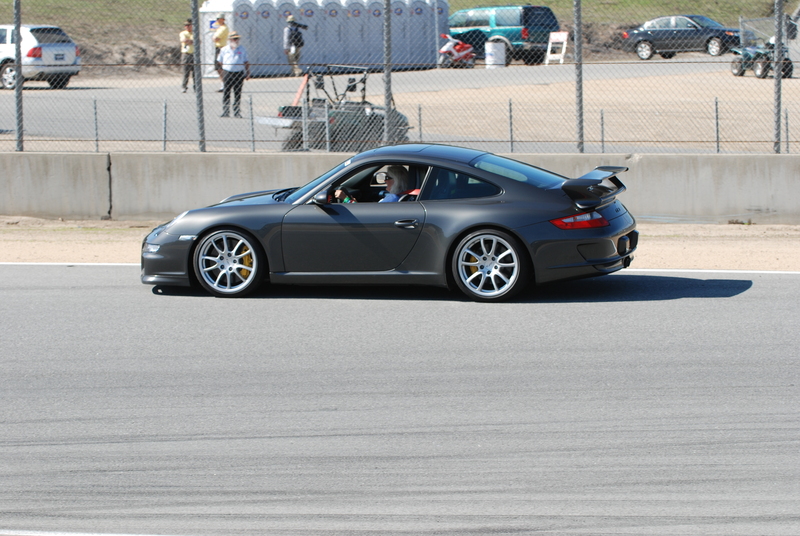 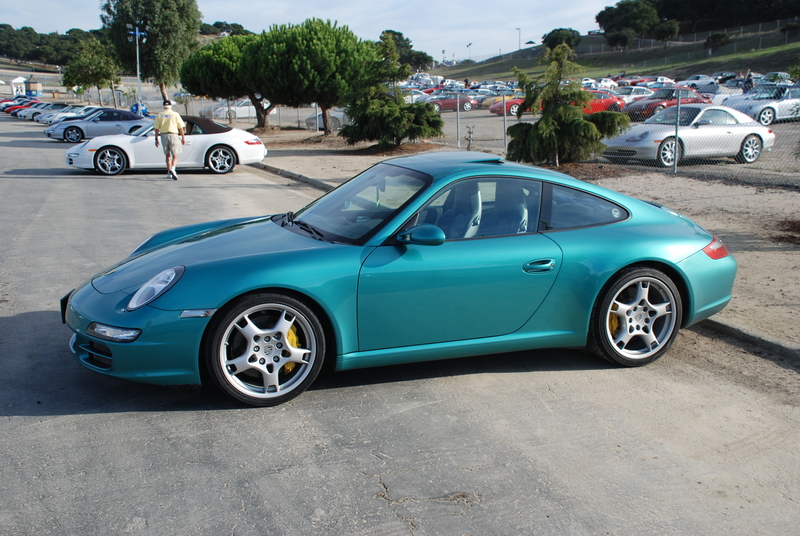 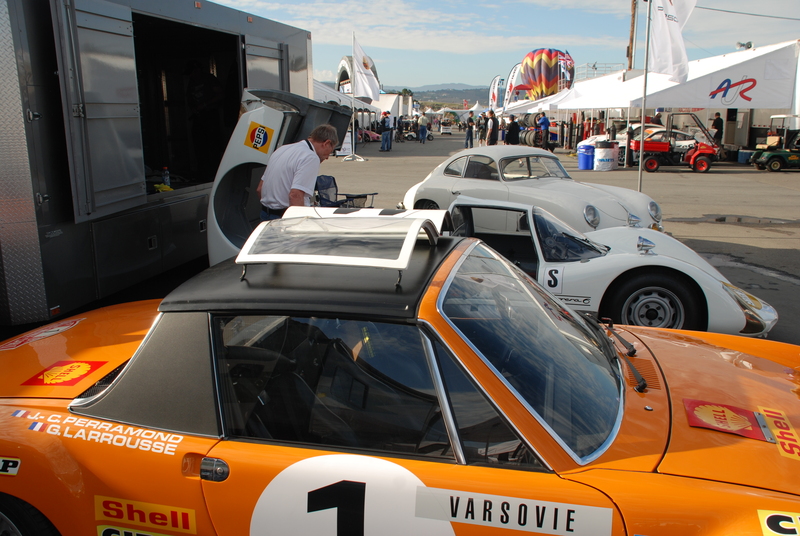 Once inside, the first car we came across was a green and white 911 GT3 Cup car, and one that I happened to see compete at the recent Porsche Rennsport Reunion IV event at Mazda Raceway Laguna Seca back in October. 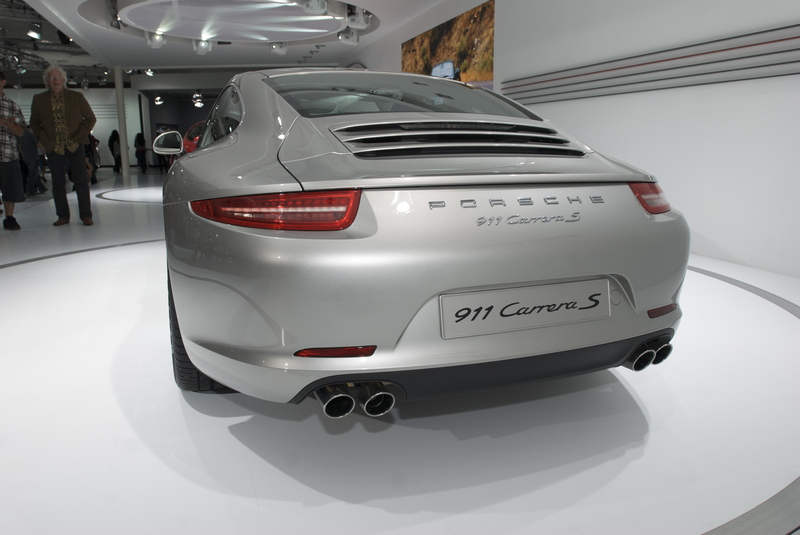 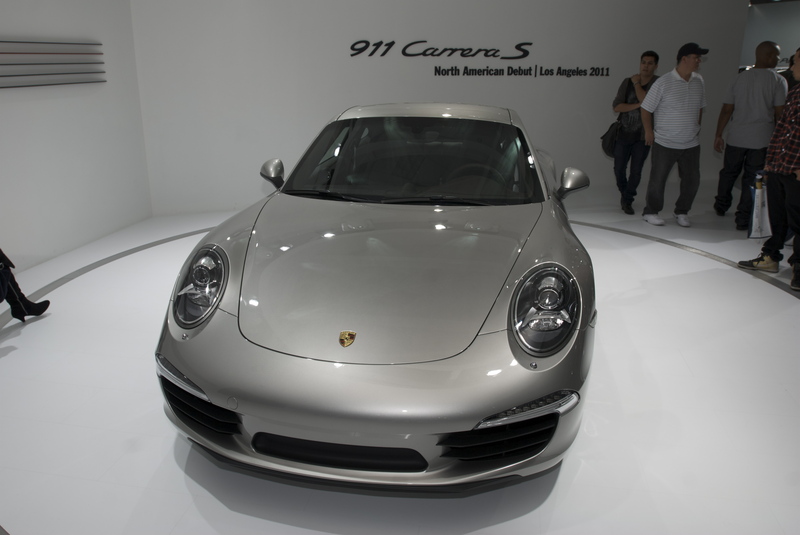 The central focus of the exhibit however was on the two new models making their Los Angeles debut; located to the right was the new 2012 Porsche 911 Carrera S (type 991), 3.6 liter, 400 horsepower, with a 7-speed transmission. 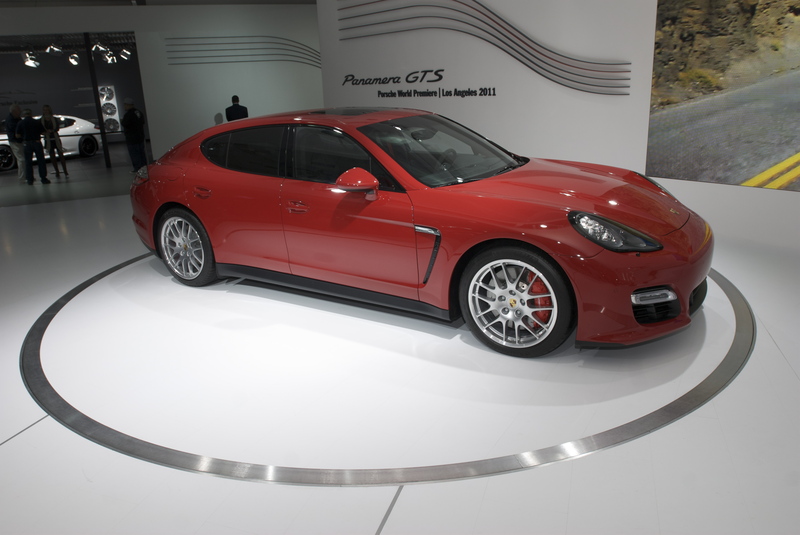 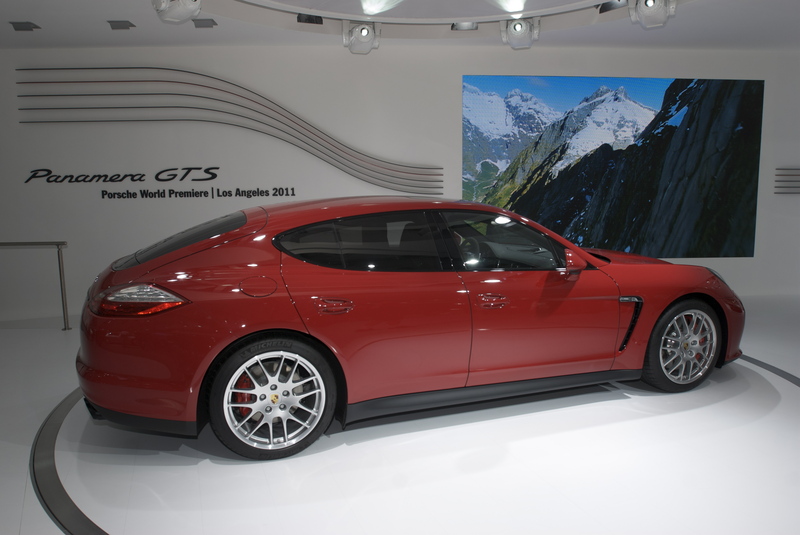 The new Panamera GTS is based upon the Panamera S, and comes equipped with all wheel drive, a 4.8 liter, 430 horsepower motor, upgraded brakes ( with optional PCCB brakes / in yellow), a suspension lowered by 10 mm, and a high performance sport tuned chassis with revised Porsche Active Stability Management (PASM). 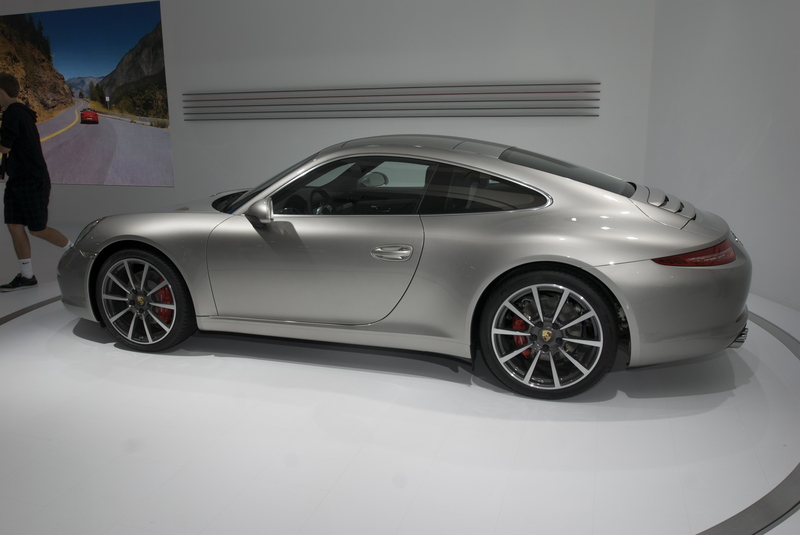 Surprisingly low-key and casually placed against the wall, to the right of the Porsche 911 Carrera S (Type 991), was this display model (see photo below), showcasing the new Porsche Experience Center, having just been announced by Porsche on Thursday, November 17th. 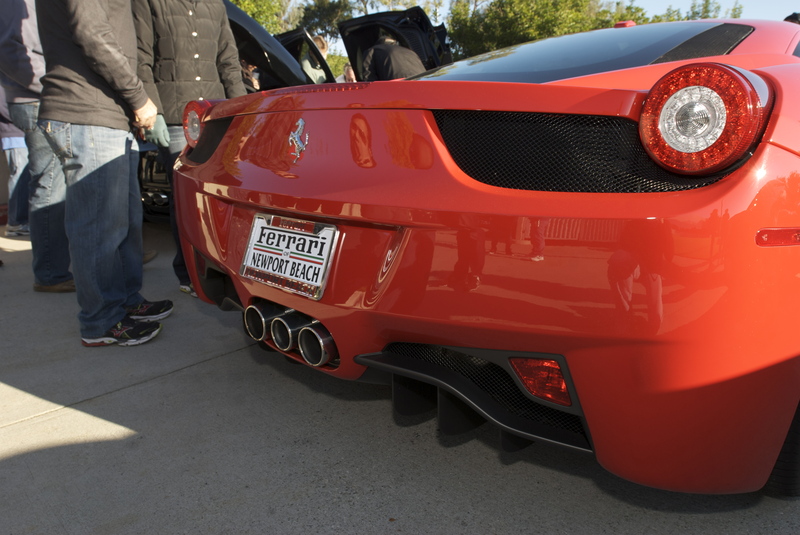 This new facility is to be constructed in Carson, California, near the junction of the 405 & 110 freeways, on a 53+ acre parcel of land. 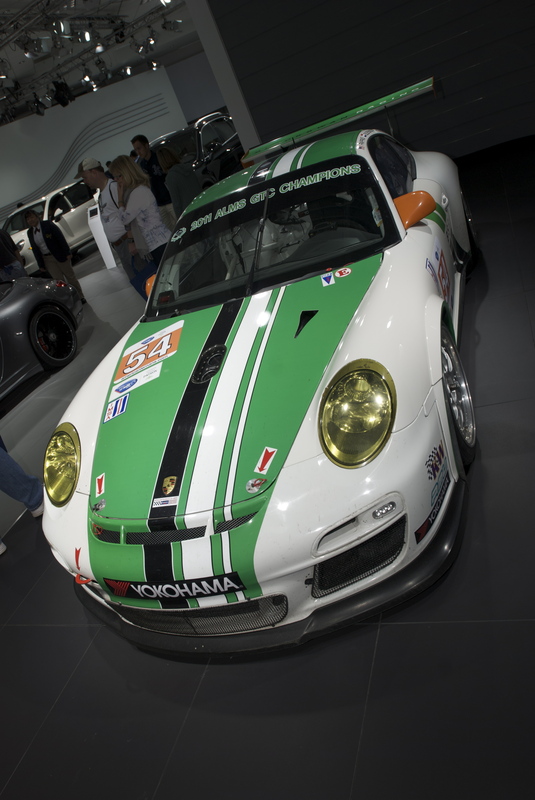 The facility is being modeled after the original Porsche Experience Center that was built at the Silverstone Circuit, in Great Britain. 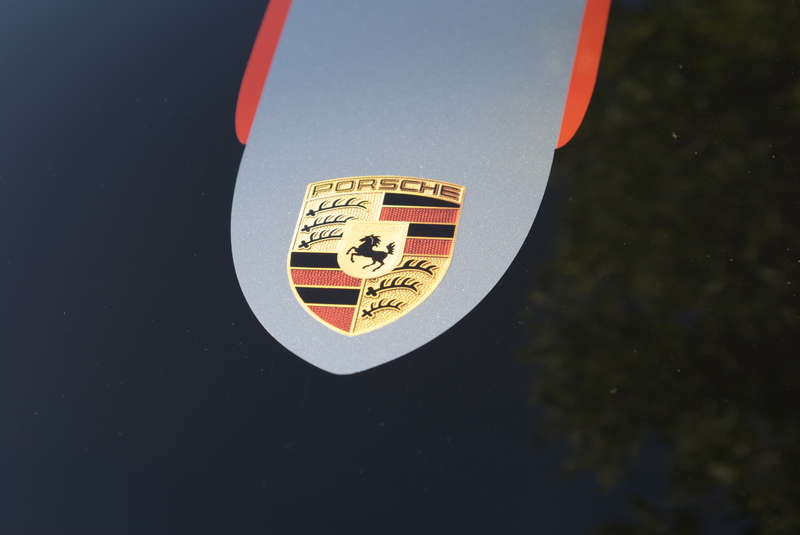 The California Center will be one of only 5 in the world; the remaining Porsche Experience Centers are located in Leipzig, Germany, Shanghai, China, and the first announced for the United States, in Atlanta, Georgia. 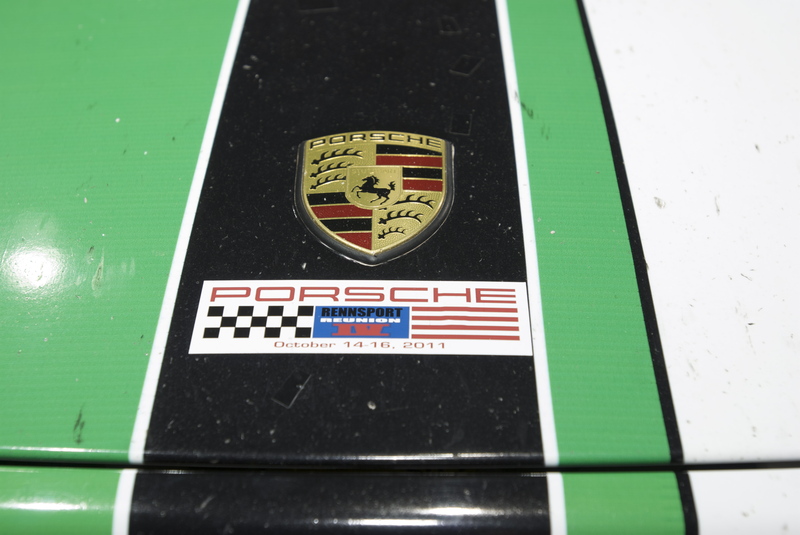 The Porsche Experience Center for Atlanta will be constructed as part of and along with their new U.S. Corporate Headquarters. 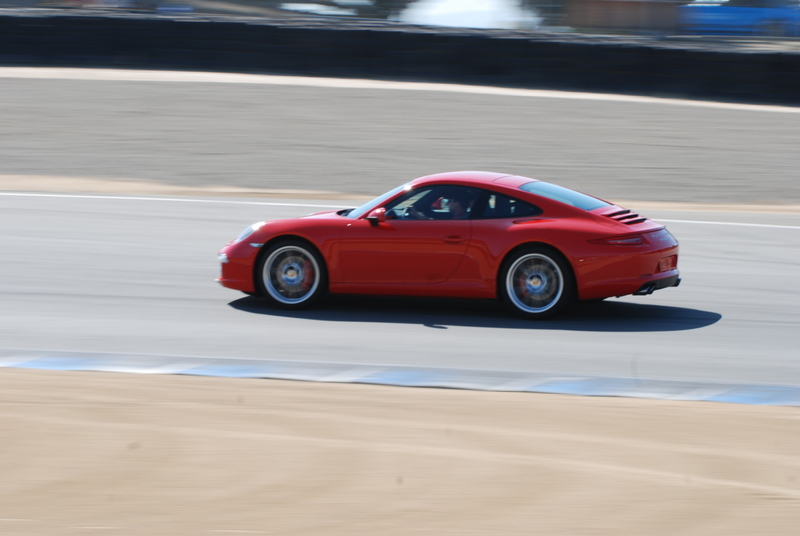 The California-based Porsche Experience Center is being designed to include a test track and handling course, with special areas able to replicate rain, ice and snow handling conditions, as well as a separate off – road course to exploit the attributes of the Porsche Cayenne, a Customer Delivery Center, the Porsche Human Performance Center, a Gift shop and Cafe. 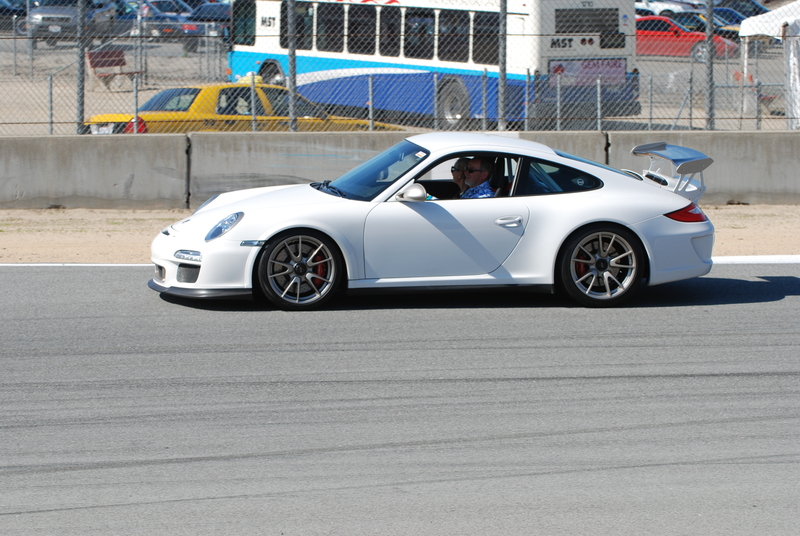 Also available will be performance driving courses, for students of all ages, and even special programs geared towards educating young children. 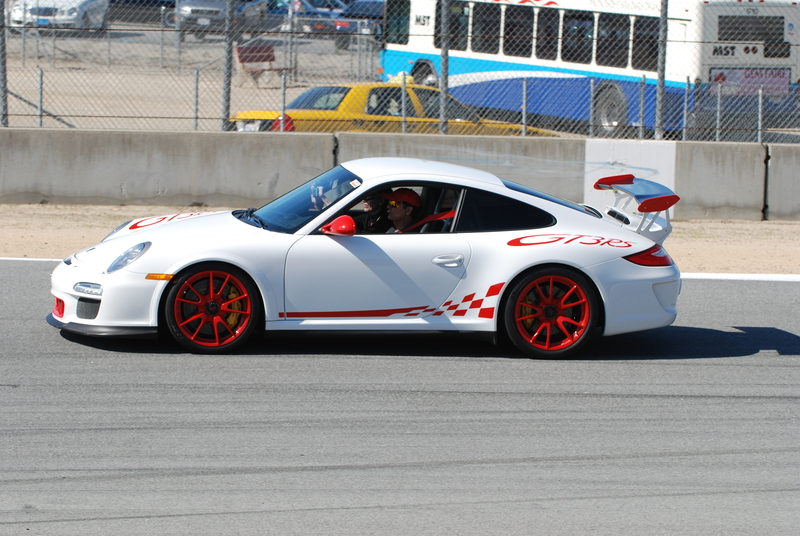 The facility will also provide track access, corporate and conference space, access by car clubs, and support Corporate client based events. 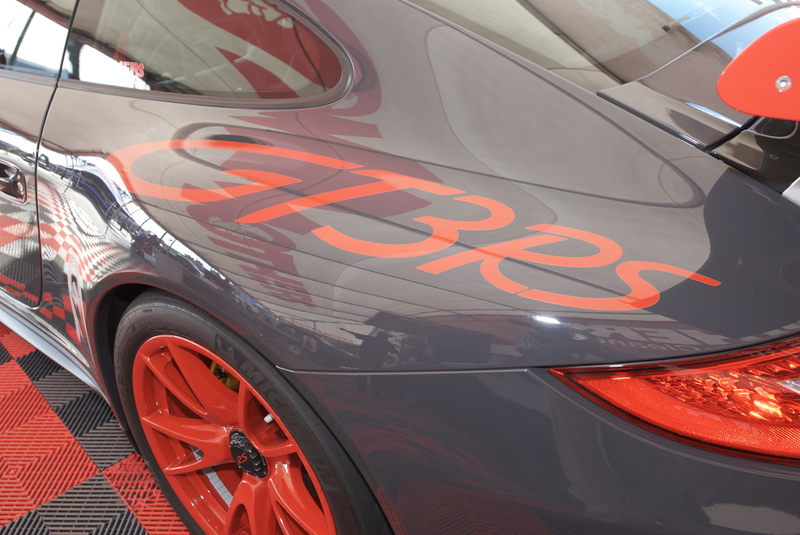 A slightly different aspect to the Porsche Experience Center will be their Porsche Human Performance Center, which will focus on personal fitness, wellness and offer training for drivers interested in serious competition. 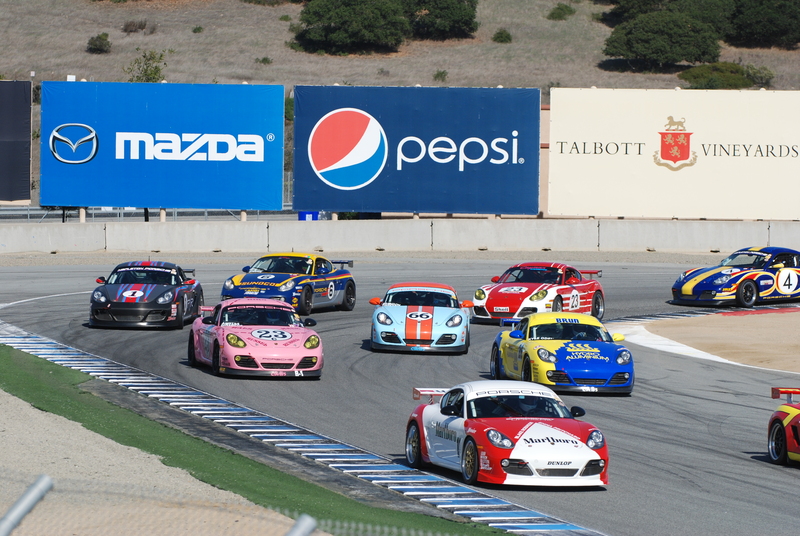 The program will address subjects such as hydration and the importance of heat acclimation. 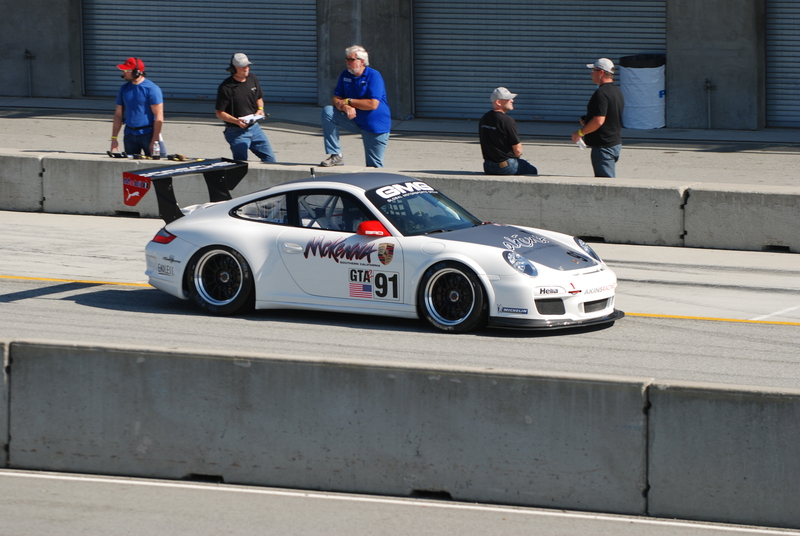 (I recall reading an article in Excellence magazine about Patrick Long , that when not road testing cars for their article, his habit of driving Porsches with the windows up and the heater going full blast in the summer; those comments now make perfect sense given Patrick Long’s success and abilities behind the wheel of a race car). 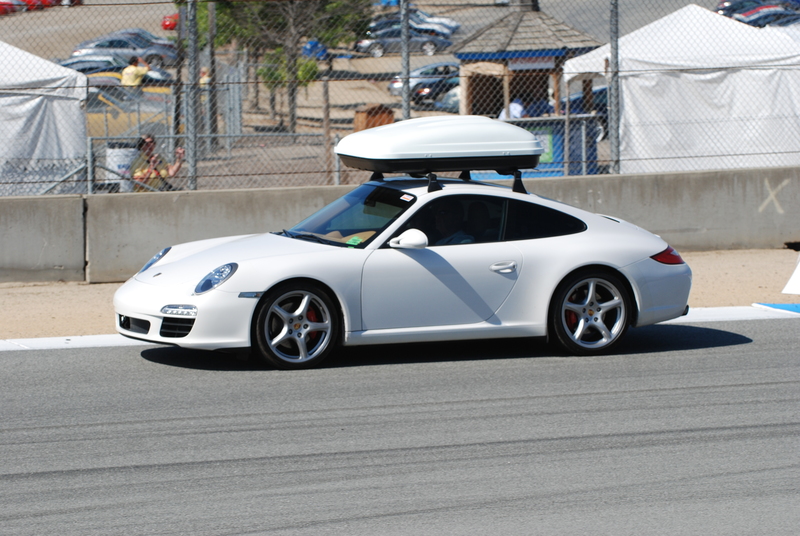 The project architect selected for this project ( buildings and facility) is the firm Cooper Carry, out of Atlanta. 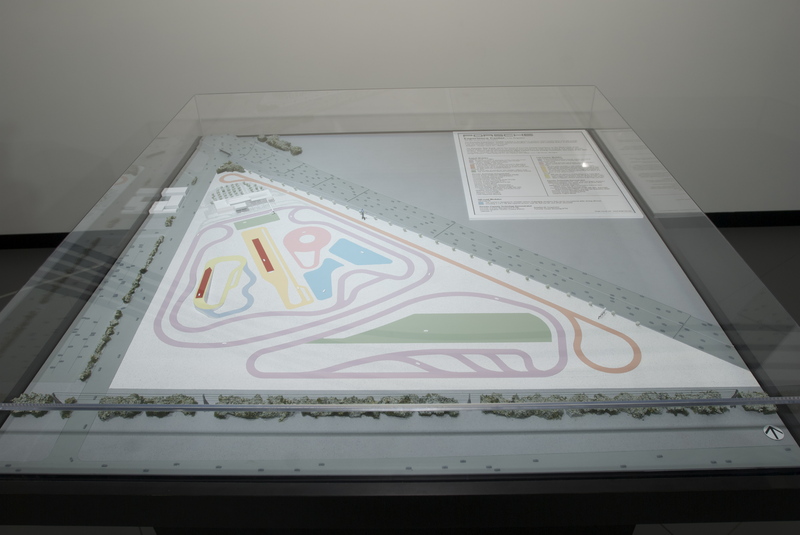 The test track Architects and engineers (for the driving facilities) are the firms Giffels / IBI and Tylke Engineering. 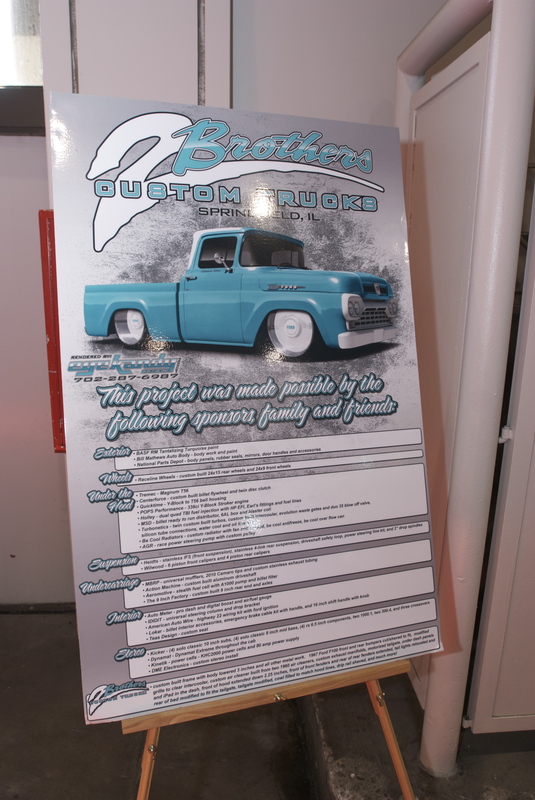 Ground breaking is scheduled for the summer of 2012. 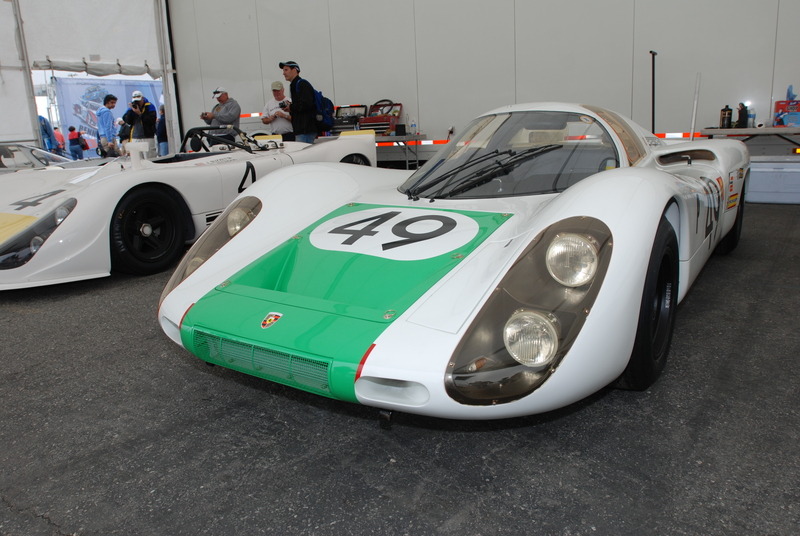 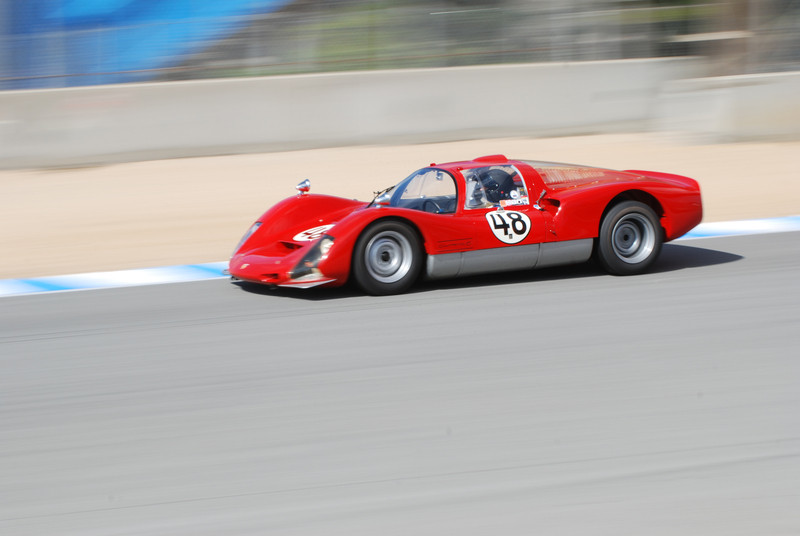 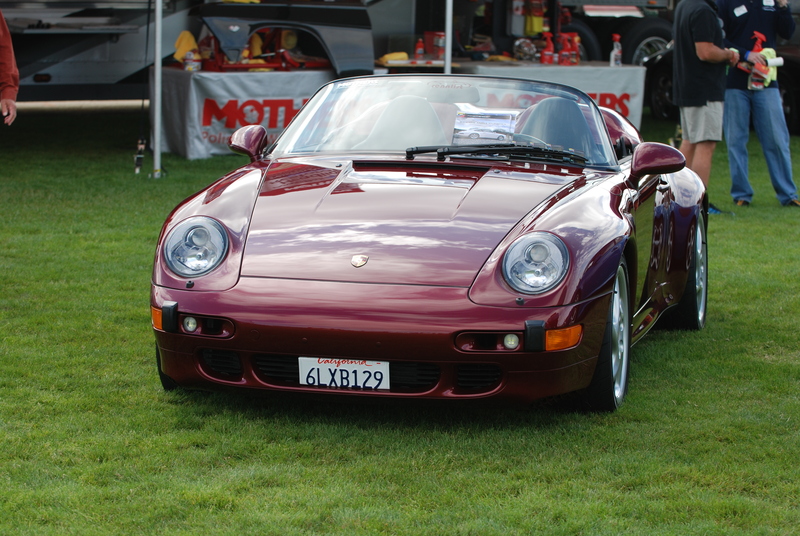 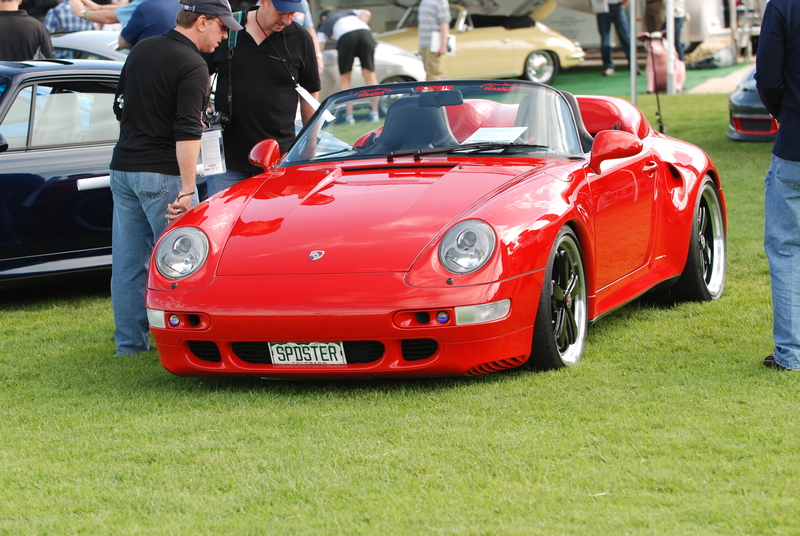 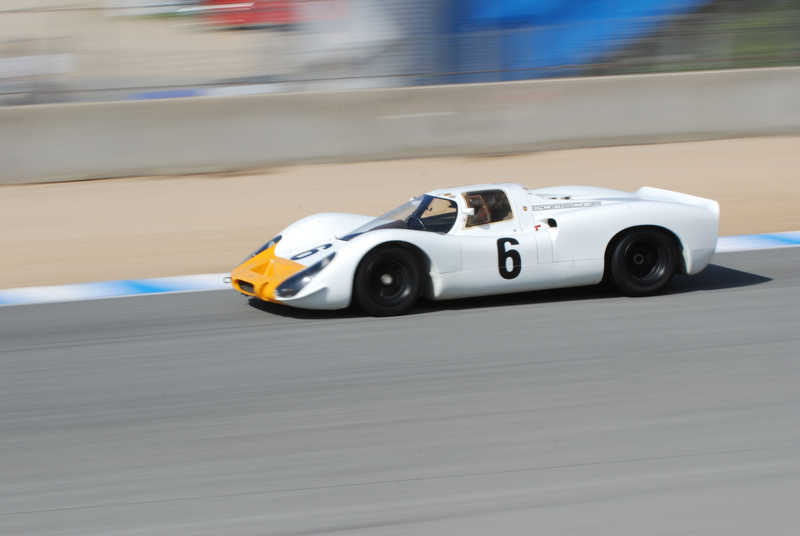 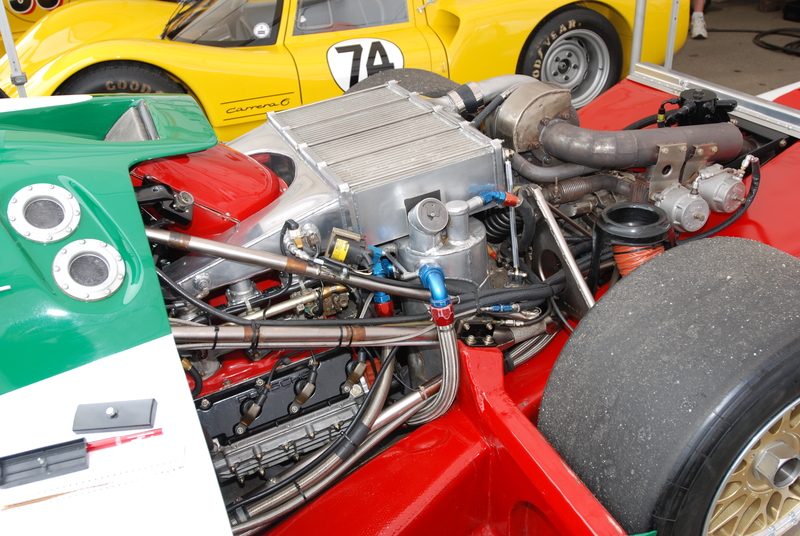 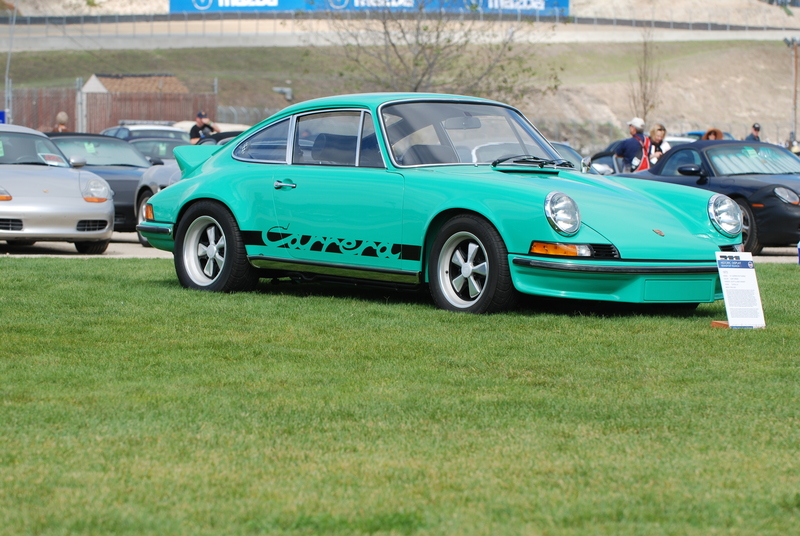 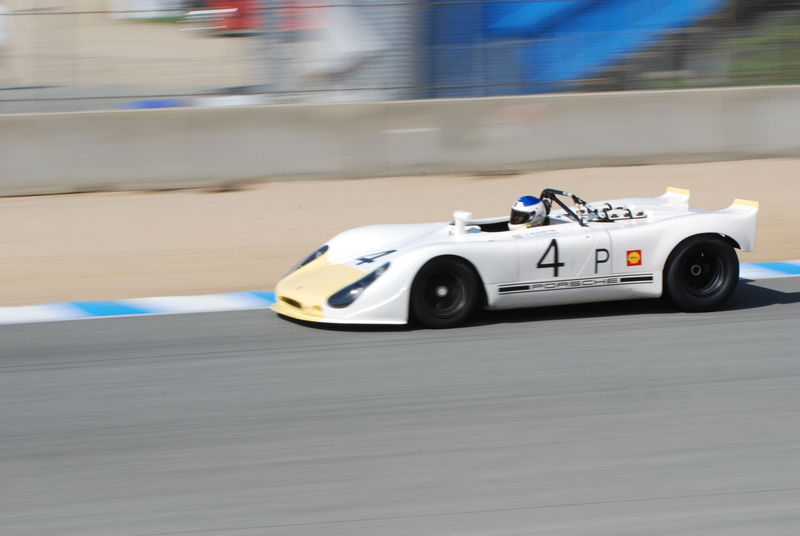 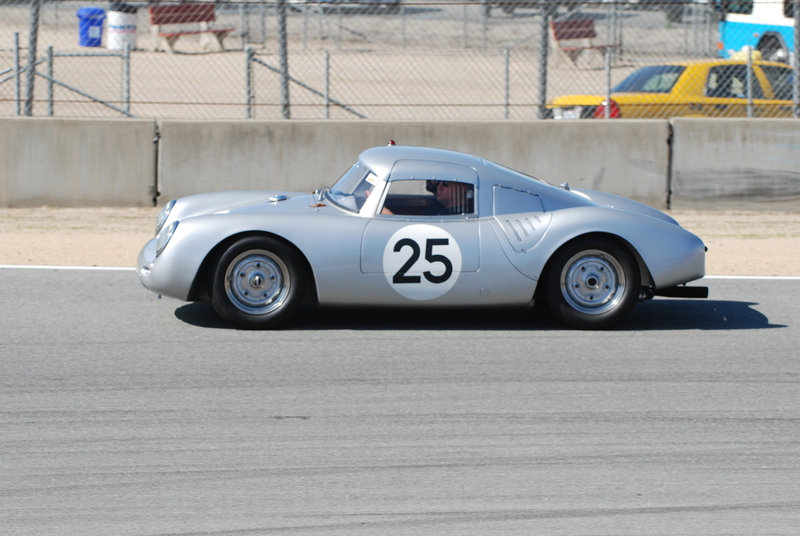 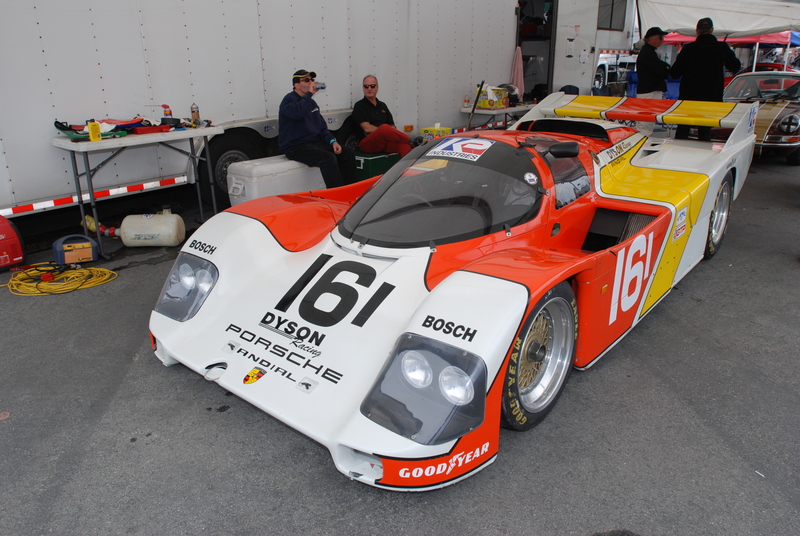 The following photos are a few of the other Porsche models on display throughout Petree Hall. 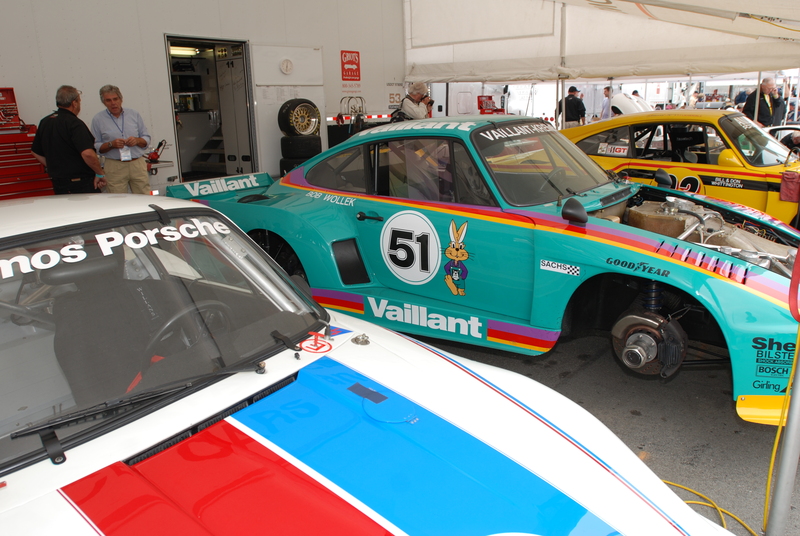 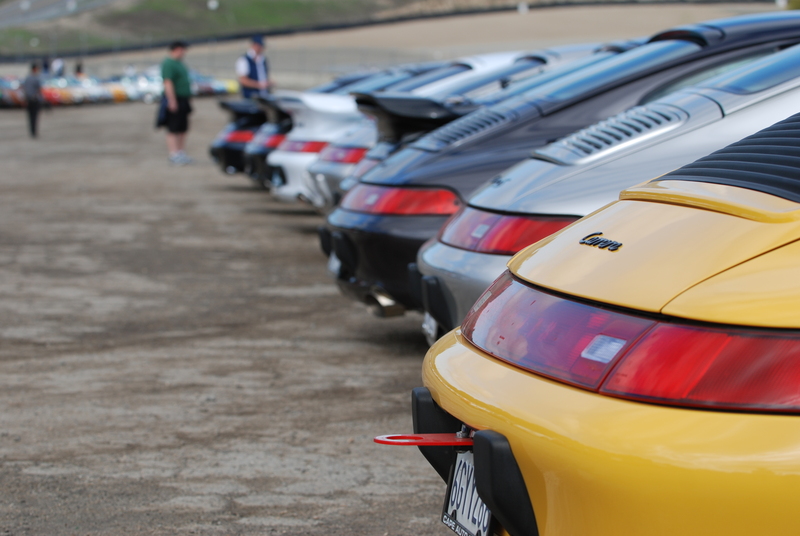 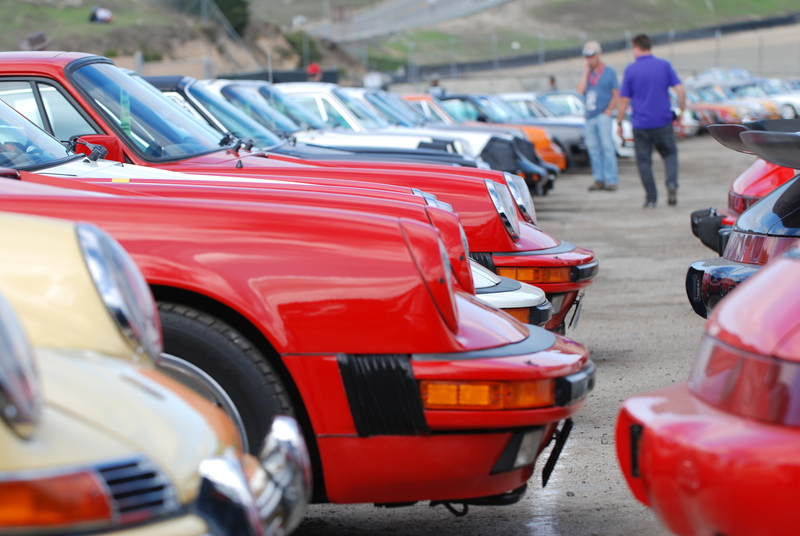 Just like in previous years, some of the Porsches are unlocked and can be sat in, and some remain locked. 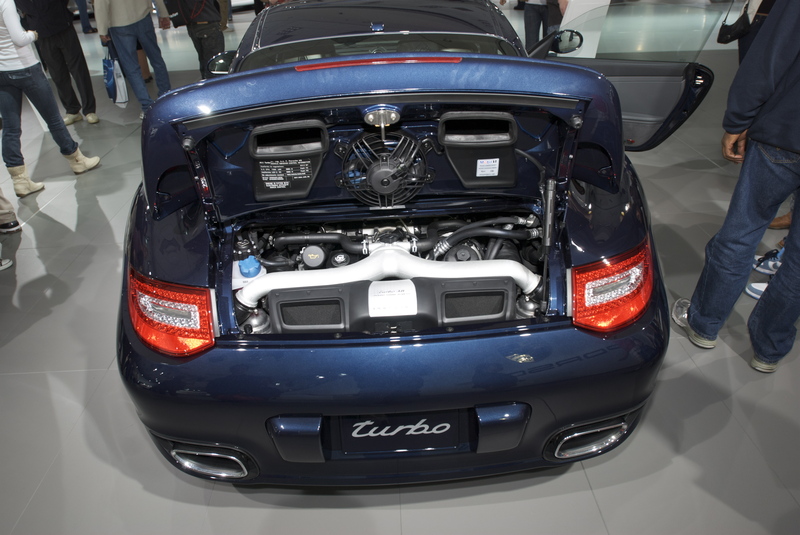 However, this year to my surprise, one of the two 2011 997 Turbos on display was actually unlocked, and as a result, had a huge crowd waiting for their turn to be the next to sit inside. 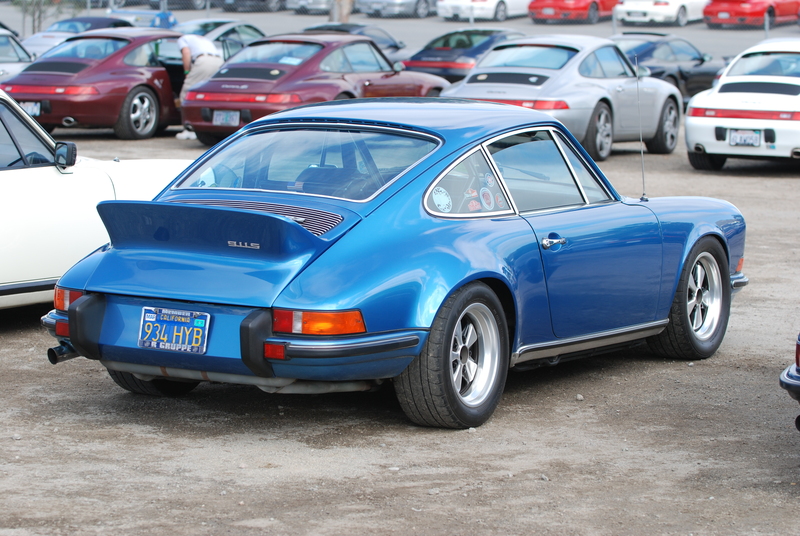 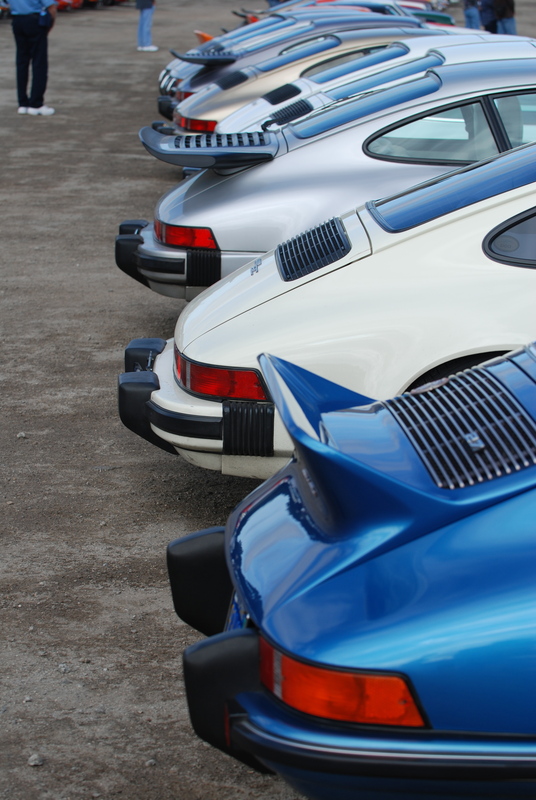 Unfortunately, the blue turbo was getting covered in fingerprints, and I actually saw several small children running across the leather seats… both a Porsche owners nightmare. 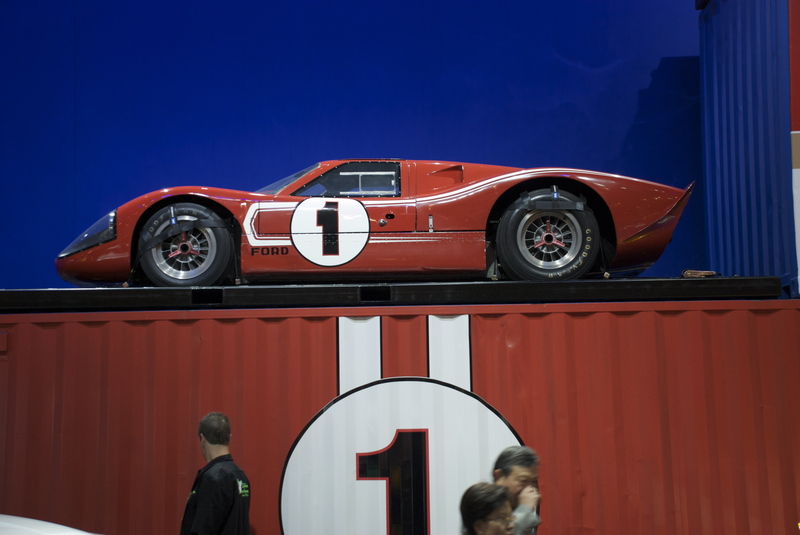 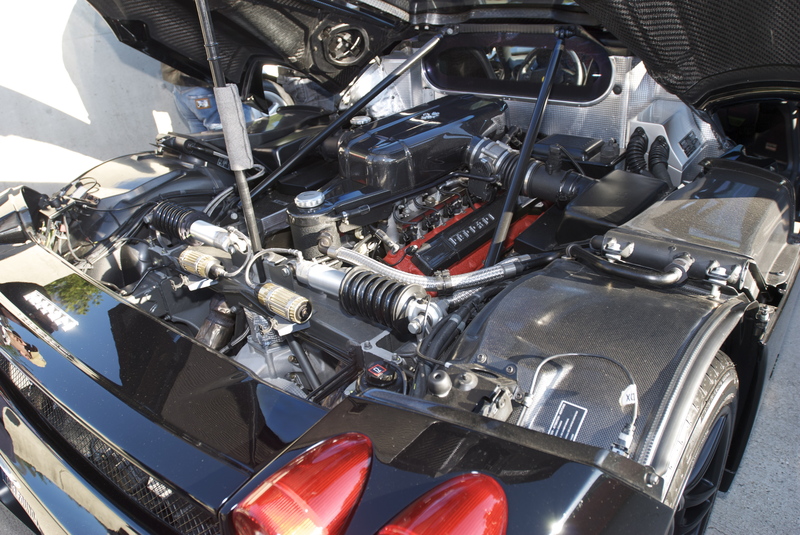 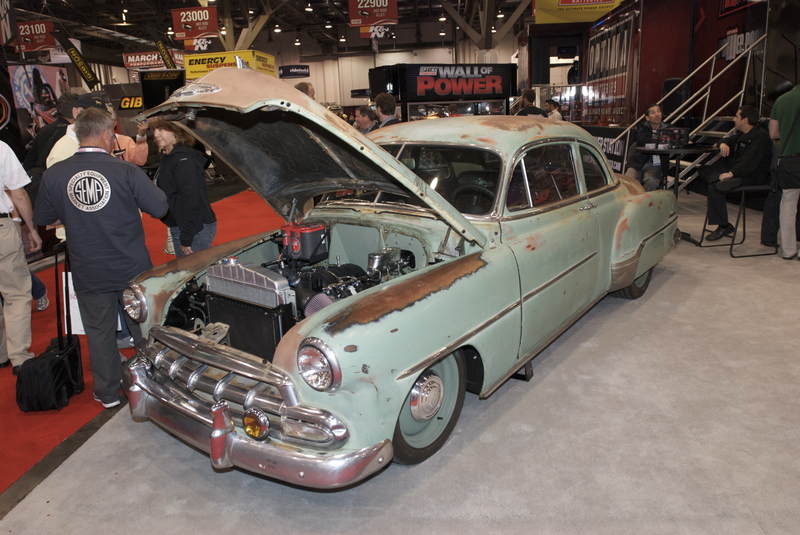 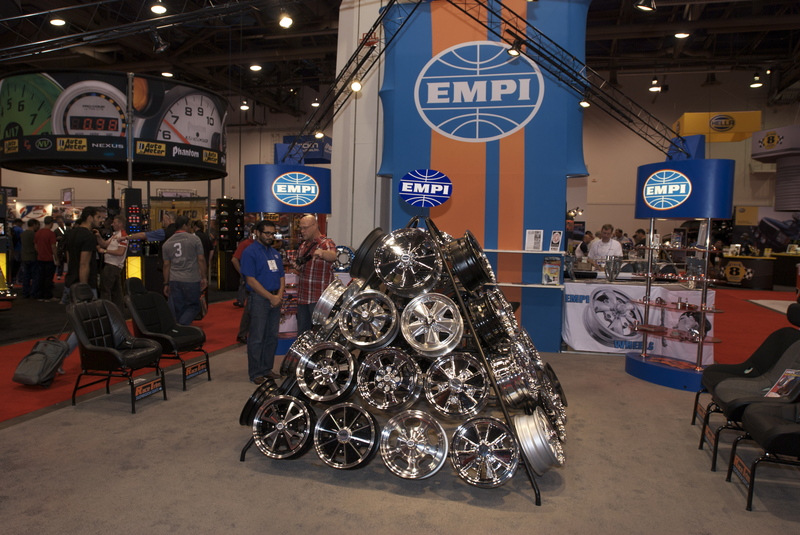 Imagine being a gear head, but never being able to attend the grand-daddy of all automotive trade shows – the SEMA Show (Speciality Equipment Market Association), held yearly in Las Vegas. 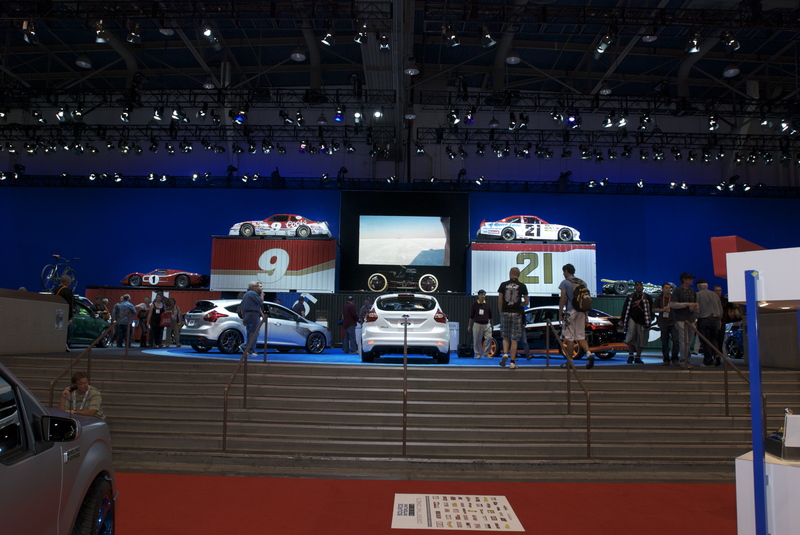 Now imagine being given the opportunity by SEMA to participate in a special program for non automotive industry individuals, and by participating having the chance to attend the actual show for two days. 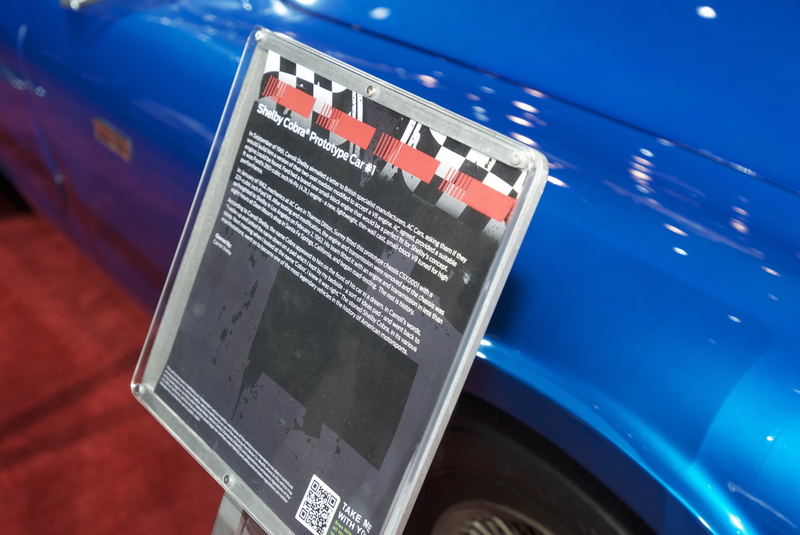 This is exactly the situation that I recently found myself in, a result of responding to a survey prepared by SEMA and sent to select Autoweek magazine subscribers. 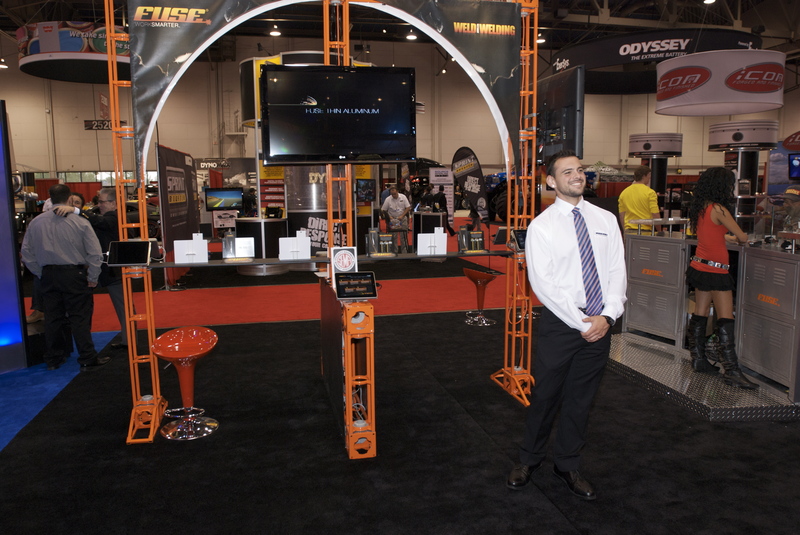 So imagine my surprise when I received an email from the SEMA organization, notifying me that I had been selected to participate in their Opinion Leaders program, to be held on November 3rd & 4th, 2011 in Las Vegas. 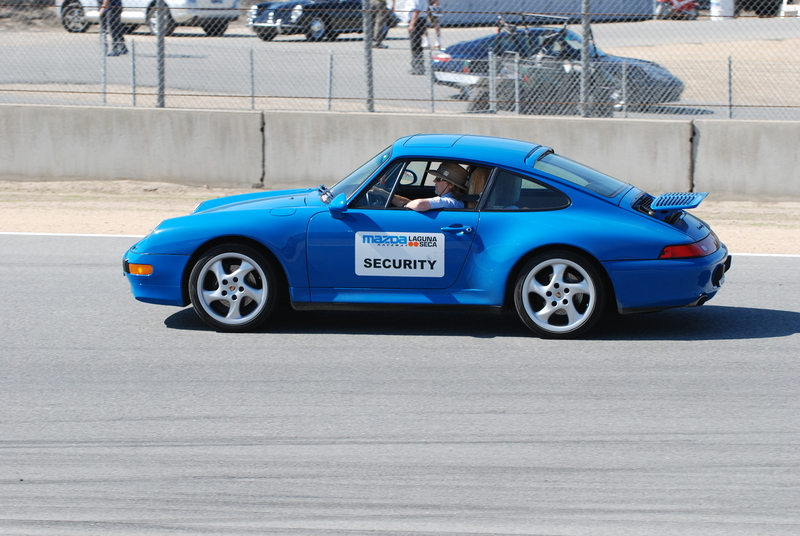 I would also be able to bring one guest, and my son quickly volunteered to be the one to accompany me. 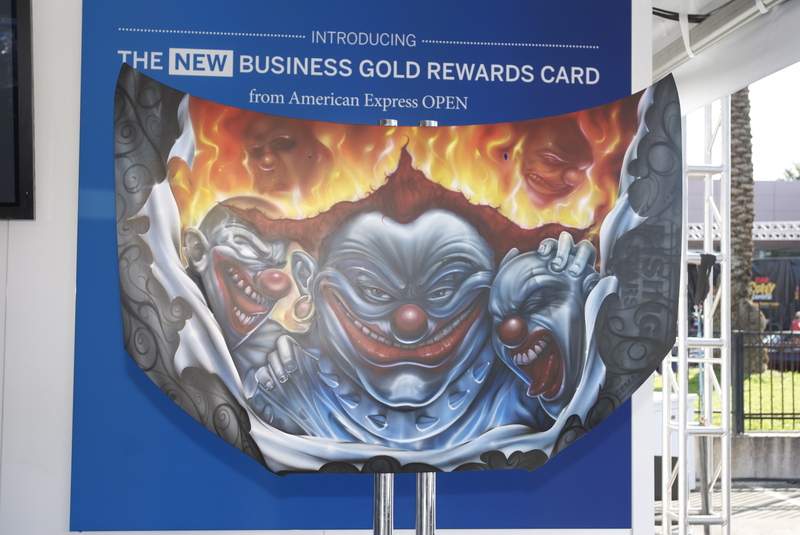 We responded with a confirmation of our availability and intent to attend, and shortly after received our passes in the mail, along with an outline of the activities required by the participants of the Opinion Leaders program. 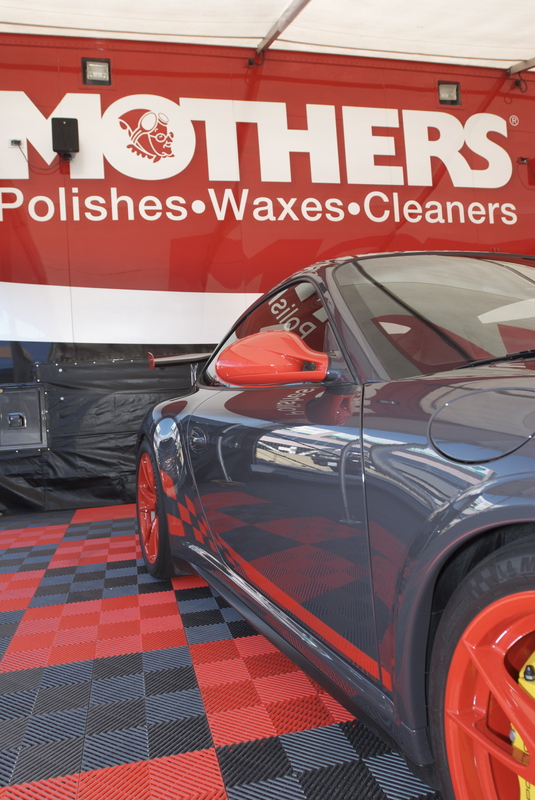 Description: This is the first clay bar that I have seen on the market that will not only remove the surface particulate from your paint , but during the removal process, also deposits a co-polymer coating to your paint, adding a level of protection to your finish that none of the competition offers. 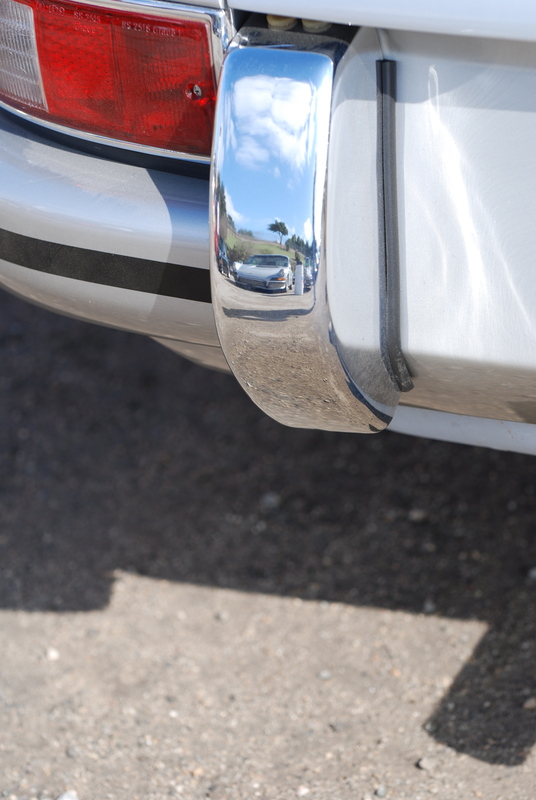 (And I found out after talking with one of their marketing reps on Friday, that after completing the clay bar process, a simply coat of their wax is all that is needed to deliver maximum finish protection). 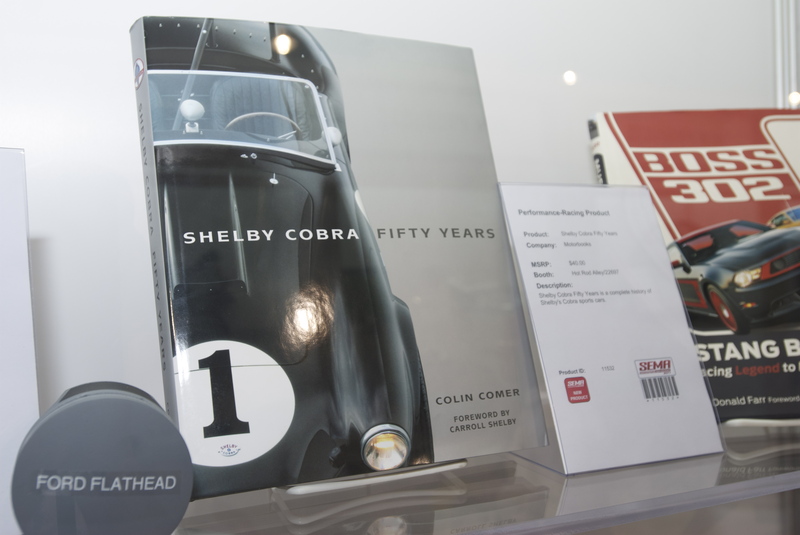 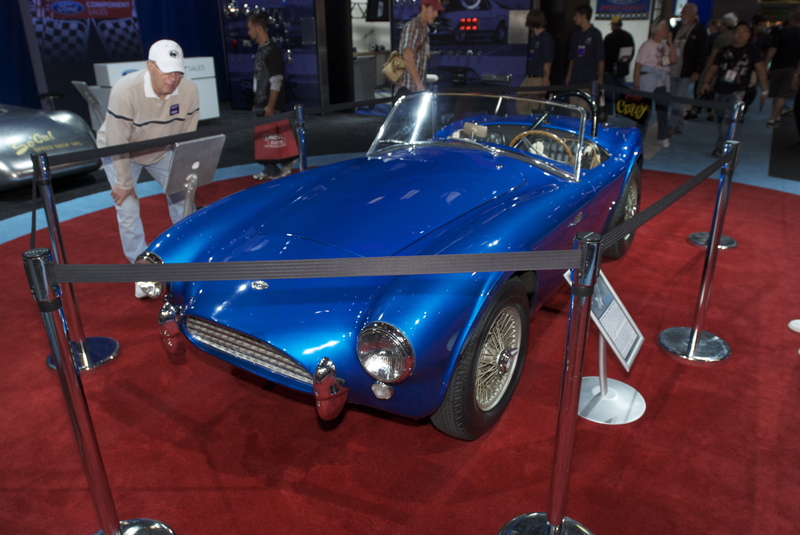 Description: A new coffee table sized book on the Shelby Cobra. 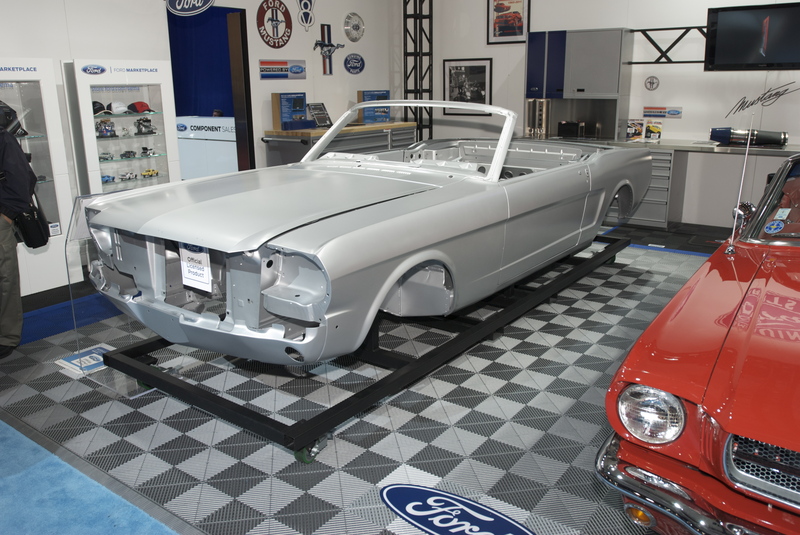 For a fan, can we ever get enough information or photos of this amazing car and it’s creator, Carrol Shelby? 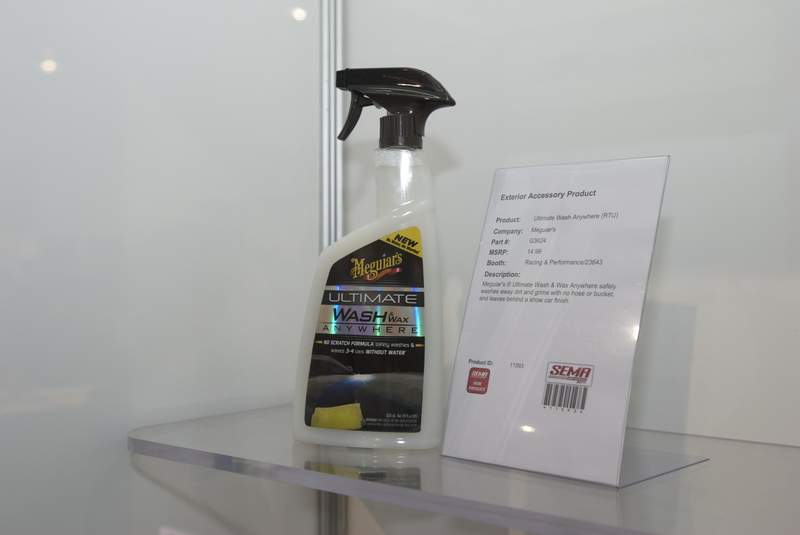 Description: A new spray-on car wash product by Meguiar’s, that allows for the dirtiest of cars to be cleaned without water, and without scratching the paint finish. 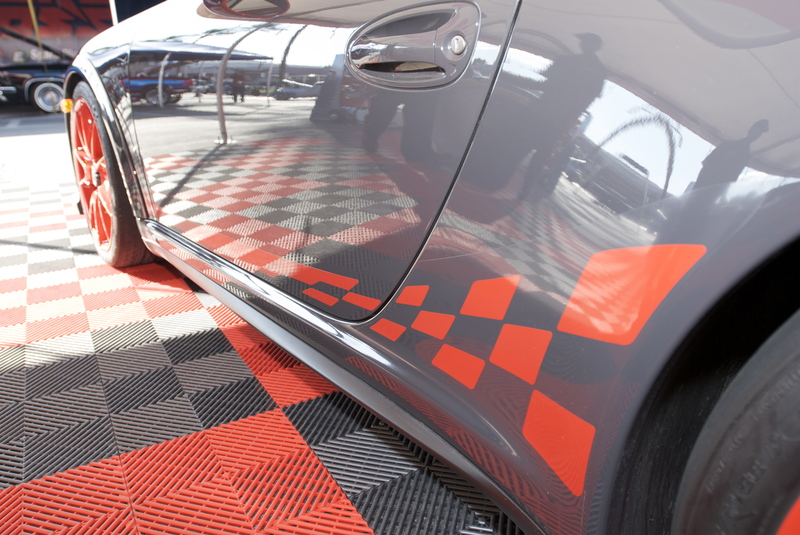 All you need is the car wash spray and a clean microfiber towel. 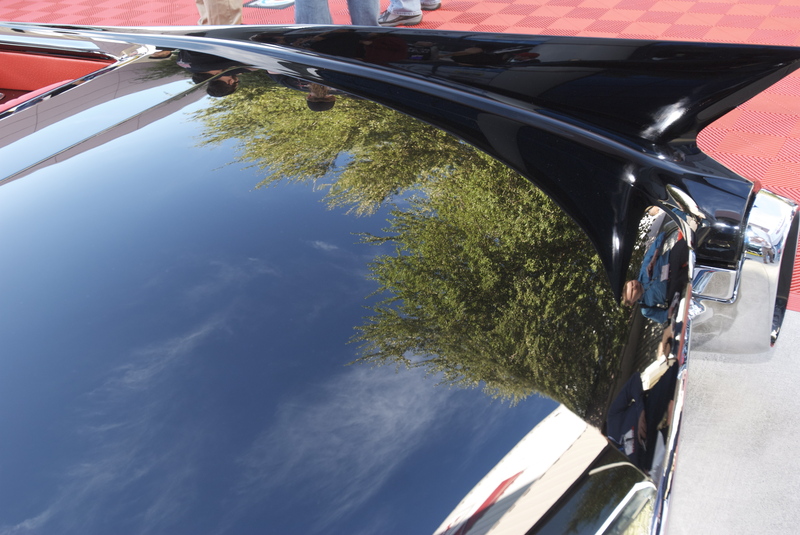 (I can’t wait to try this, since the current product I use leaves very fine scratches, which then have to be polished out). 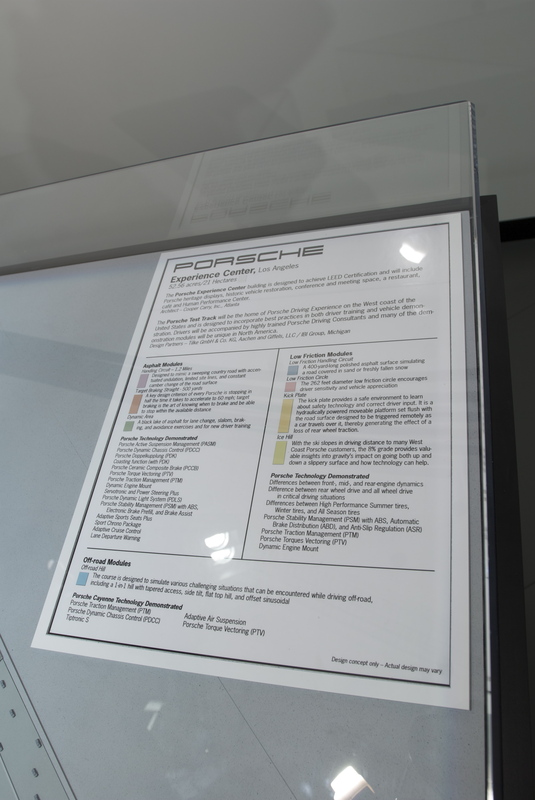 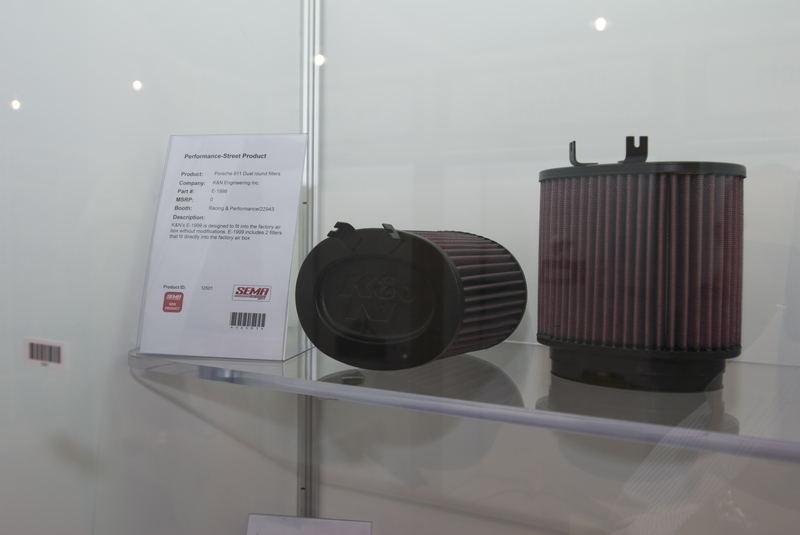 Description: New air filter elements for another Porsche 911 model. 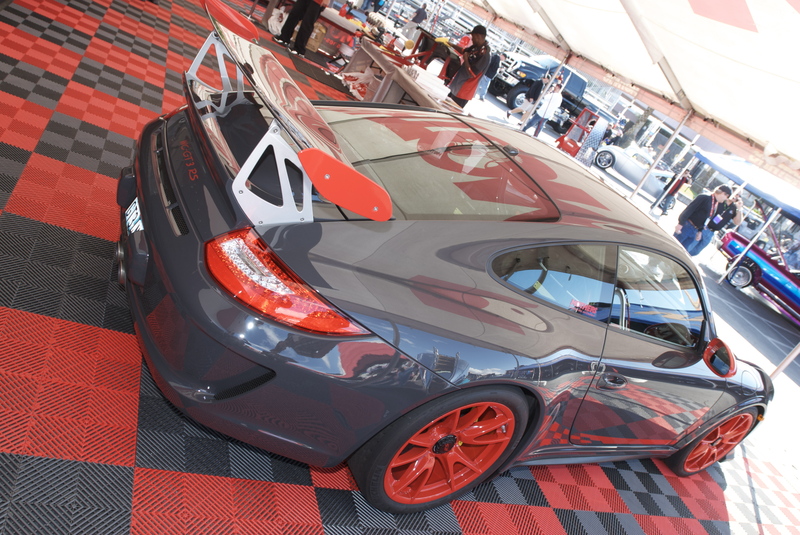 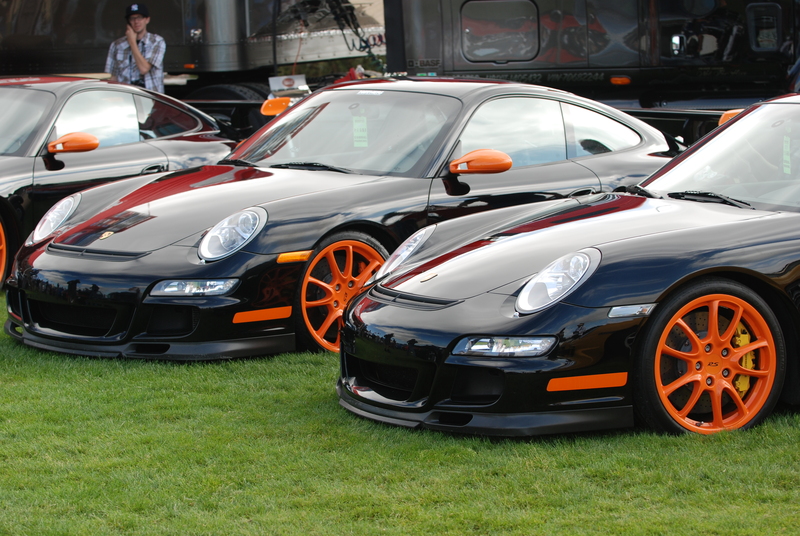 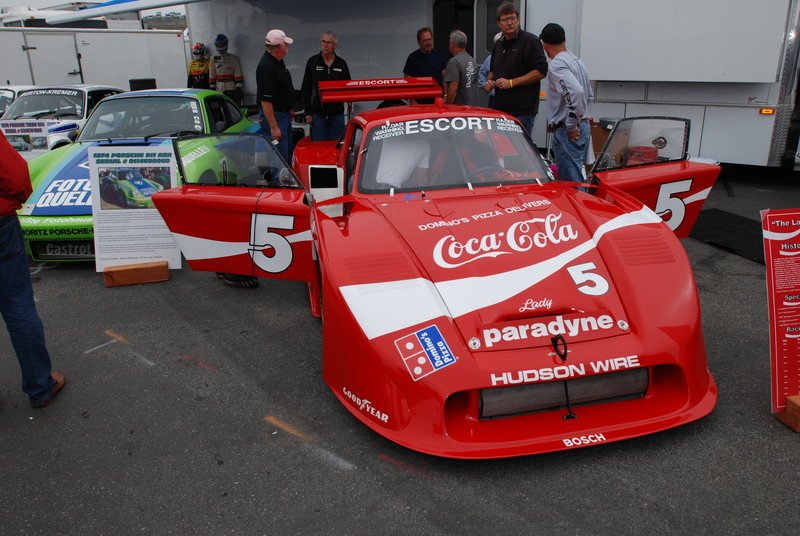 Always nice to see K&N expanding their product line by adding additional product for more of the Porsche models. 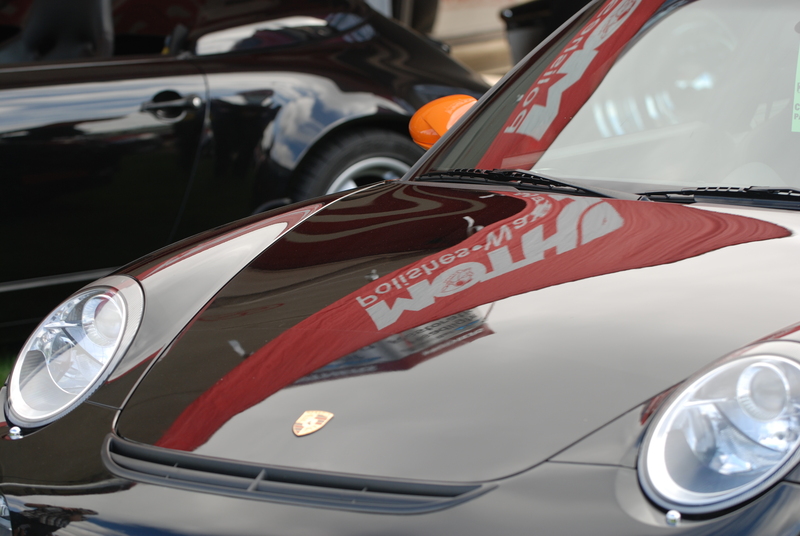 (I have run a K&N air filter on my Porsche 911 since 2000, and with a simple cleaning and re-oiling it’s as good as new). 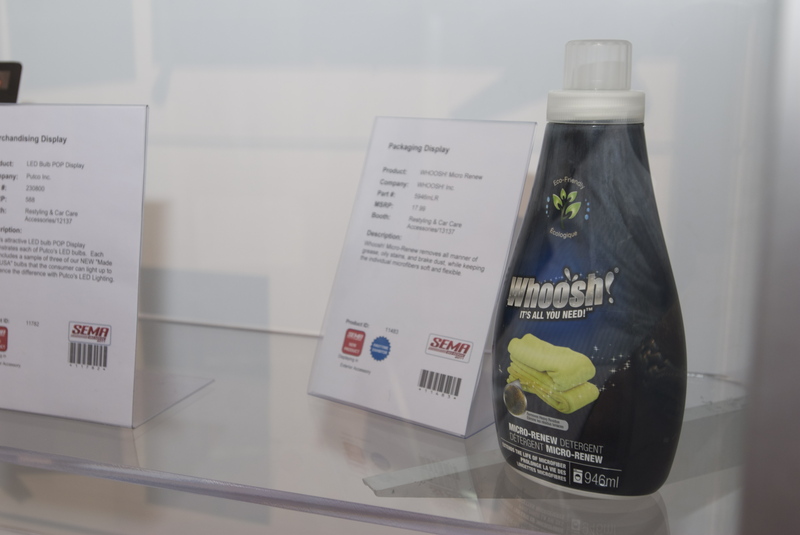 Description: A laundry additive for the cleaning of microfiber towels. 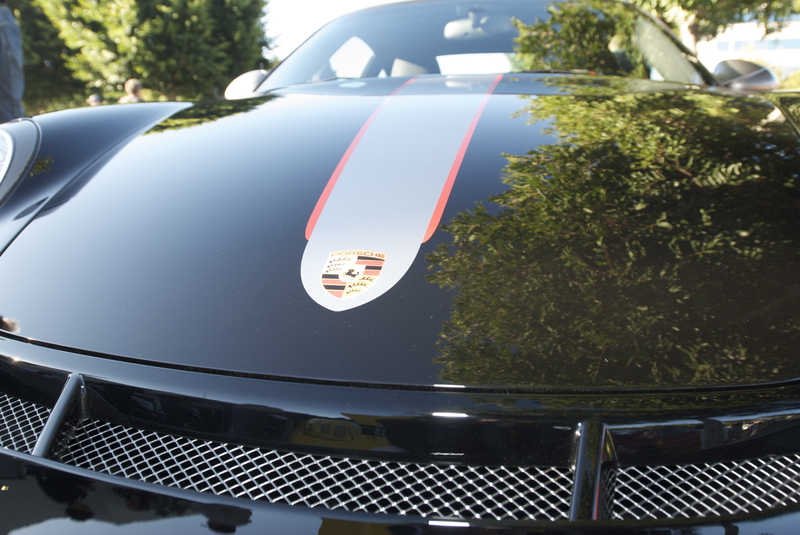 It’s advertised as being able to remove the dirt and oils from the microfiber, yet also conditions the towels, which helps to restore the cleaning and absorption properties of the microfiber, which should help to prolong the usefulness of the towels. 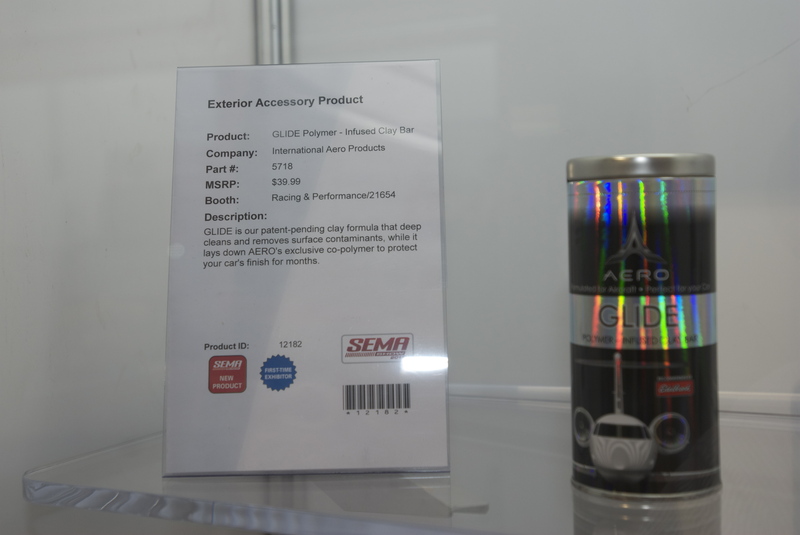 (Another product I will be eager to try, given that all I use for detailing our families cars are microfibers). 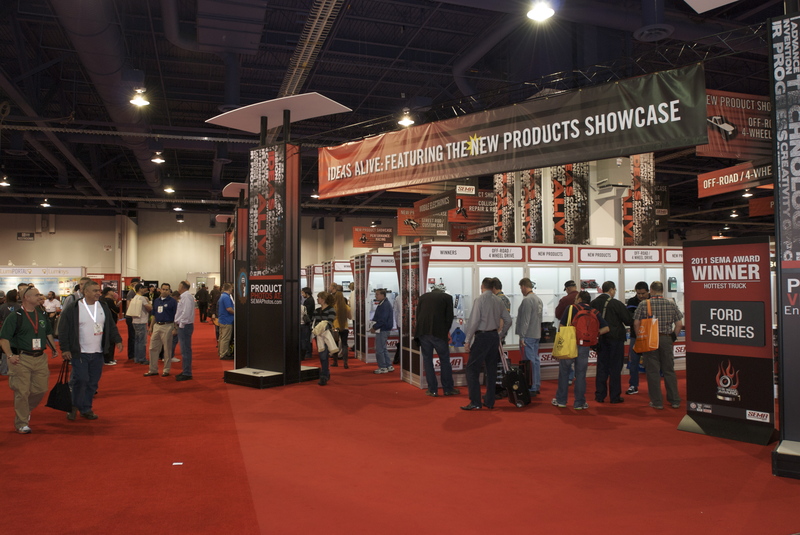 After completing my new product picks, and recording my selections at the computer station, we were free to go off and explore the rest of the show. 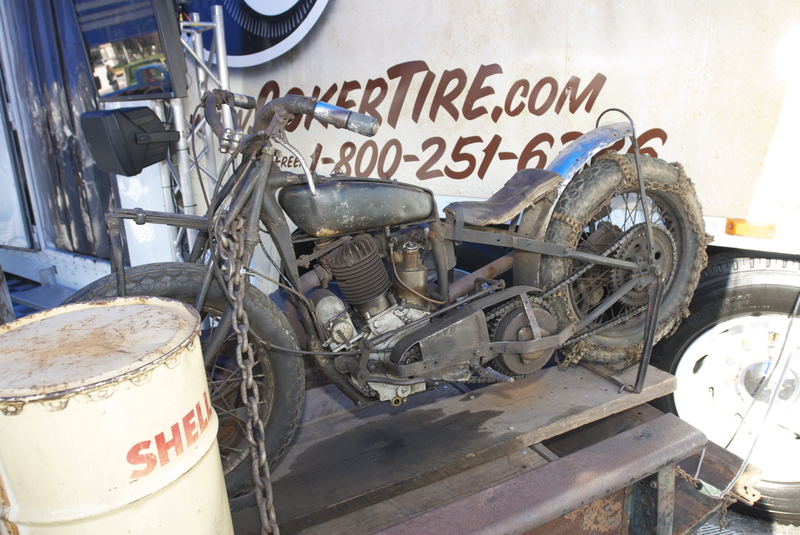 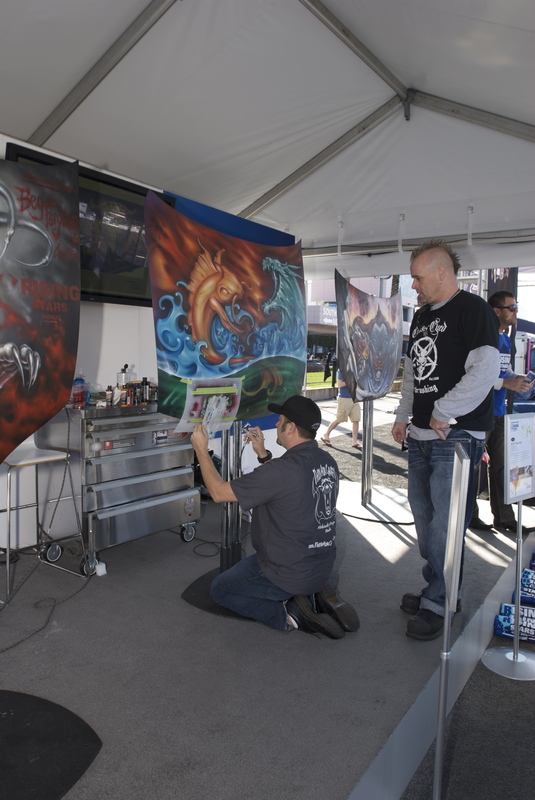 Our first stop would be at the West Coast Customs display. 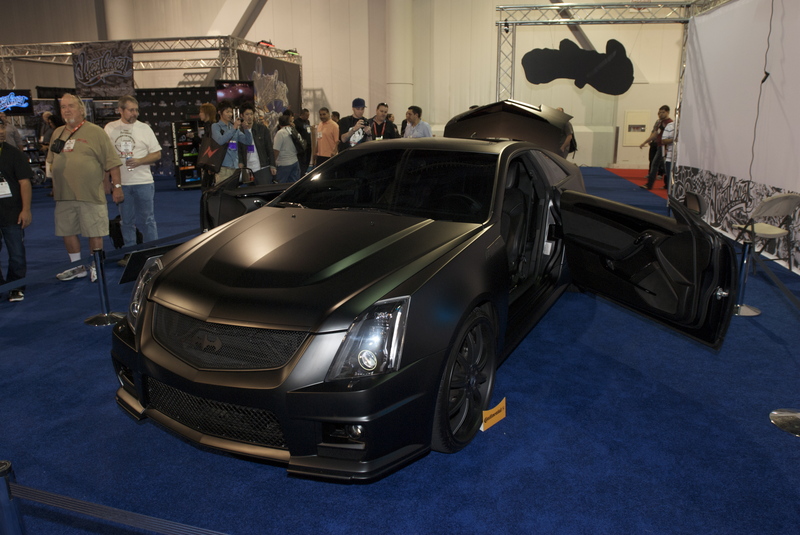 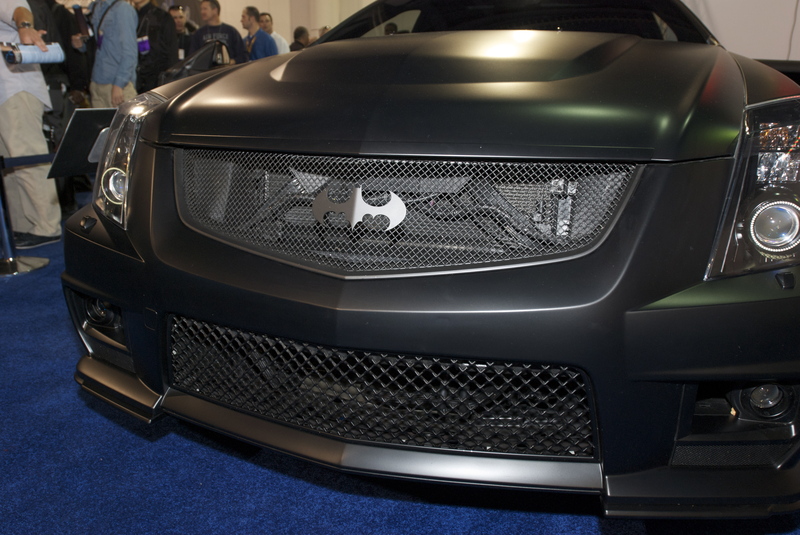 The first car on display was a fully customized, satin black Cadillac CTS / V. It turns out that this is Justin Bieber’s car (his “batmobile”), and the one he had described to Jay Leno on the Tonight Show, earlier that week. 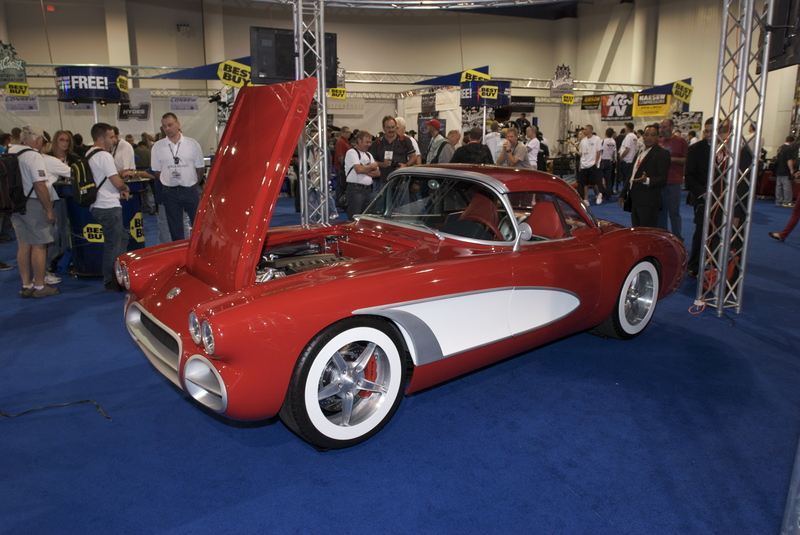 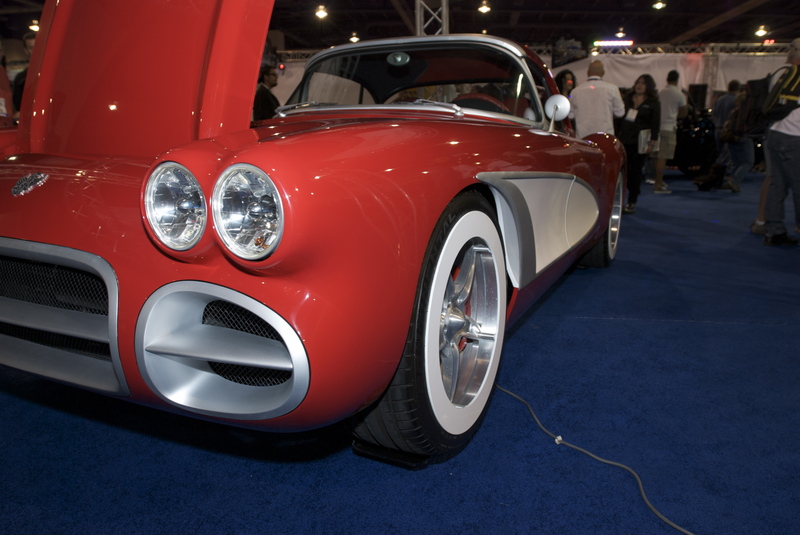 The centerpiece of the West Coast Customs display however was a striking, late 50’s vintage looking red Corvette. 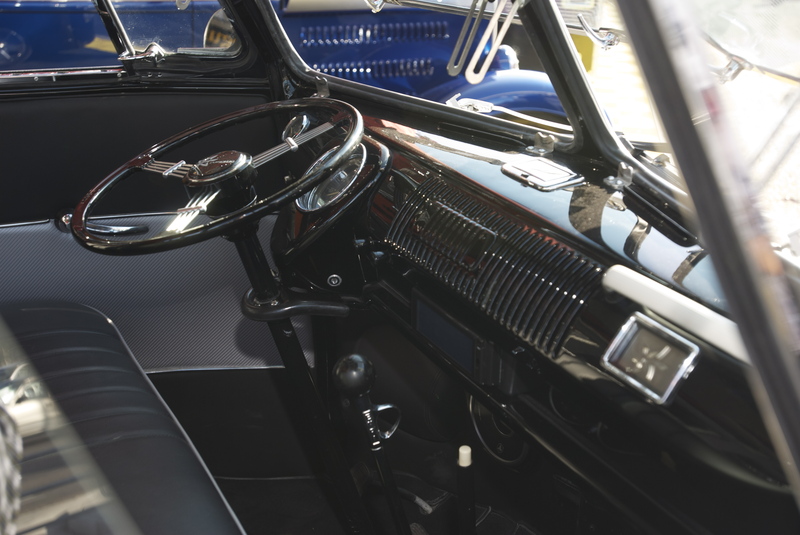 Although upon closer inspection, it appeared to be a modern re-creation, with a lot of modern details and current running gear. 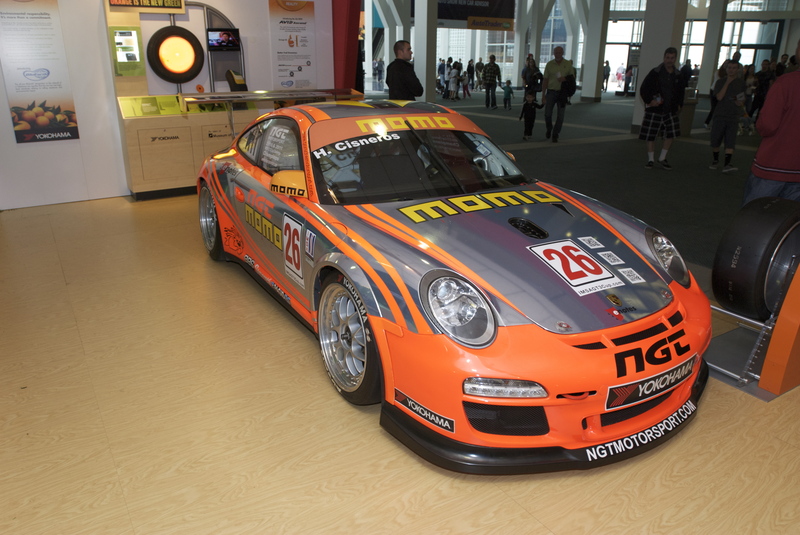 From here, we were off to the ground floor at the South Hall, to check out the Global Tire Expo. 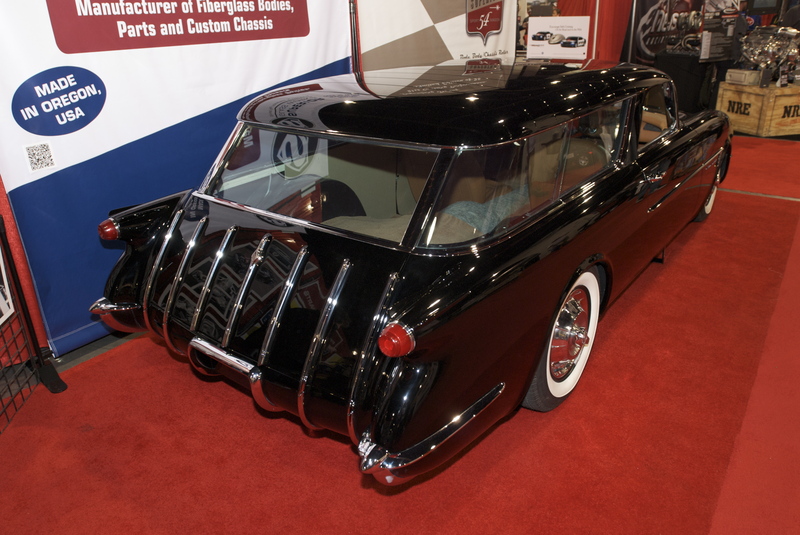 However on our way out, my son and I came across this beautiful fiberglass, retro Chevrolet wagon (looking like a cross between a late 50’s vintage Corvette at the front and a 1955 Nomad wagon at the back. 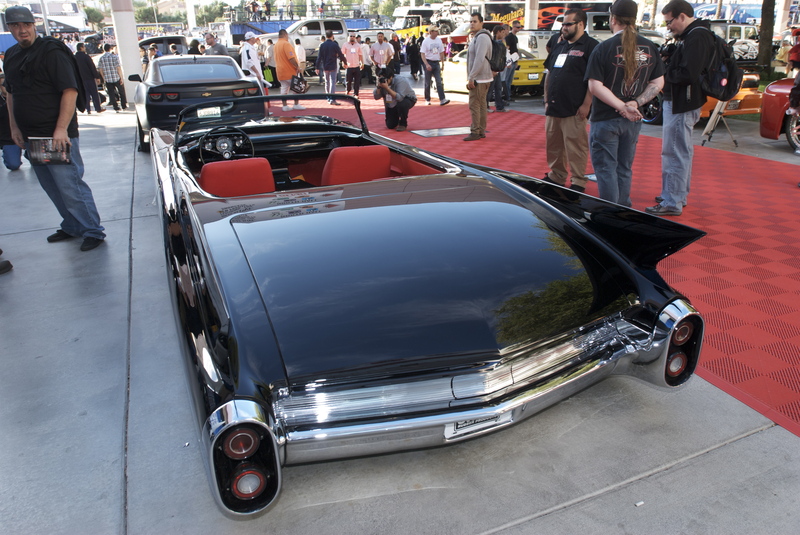 The paint job was spectacular, like looking into a black mirror, and was one of the best black paint jobs I think I have ever seen. 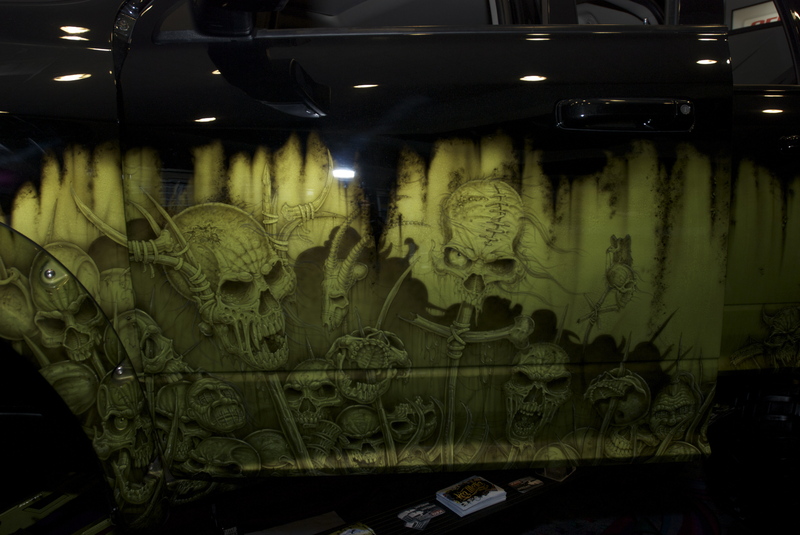 Then setting near the top of the escalator, we came across another custom paint job and graphics, but this time on a fully tricked-out, black 4X4 truck. 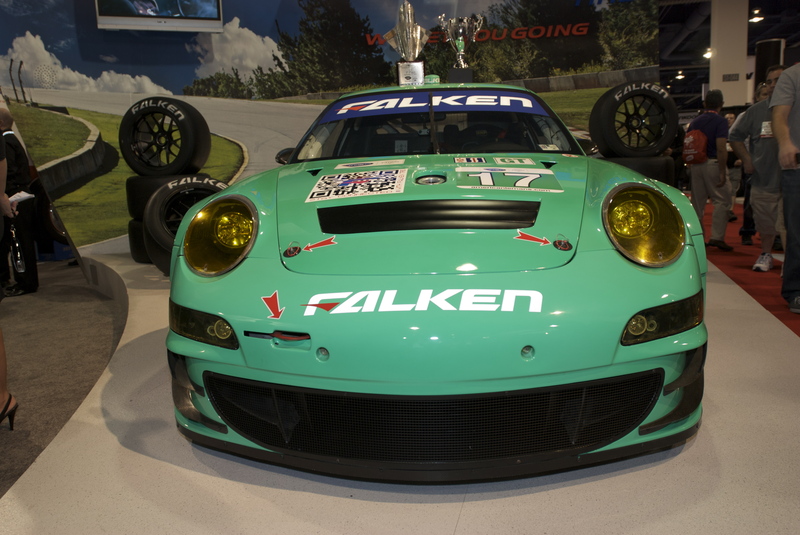 Once we made our way downstairs, the Falken tire display was the first we encountered. 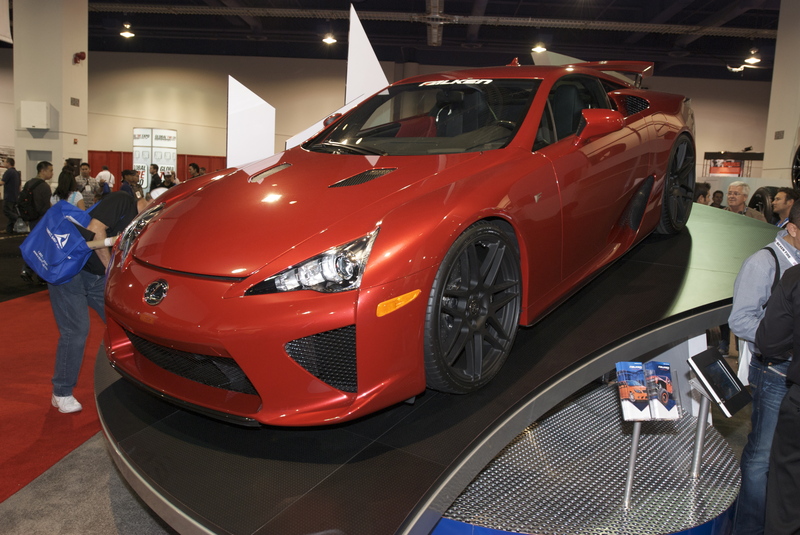 On display was a Lexus LFA supercar, along with two Porsches; one the Falken Tire Porsche GT3RSR race car, and the other a custom (one of only two U.S. built), RAUH-WELT Porsche 964. 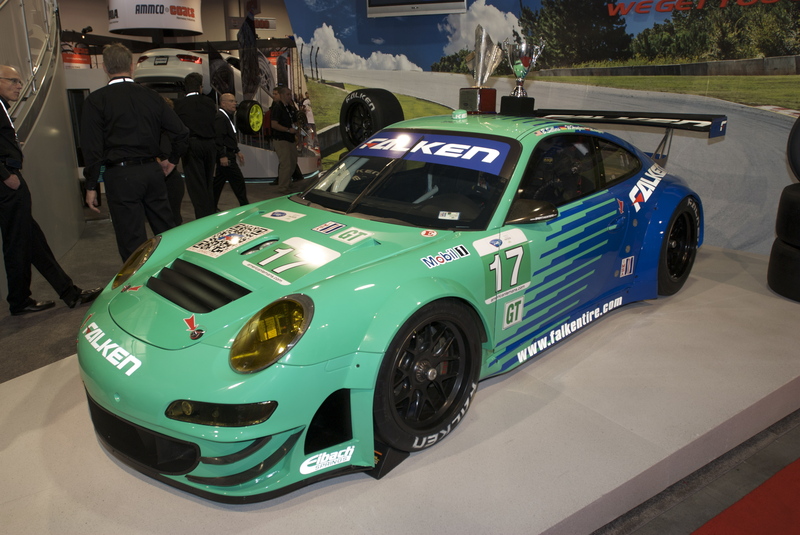 Around the corner from the Falken display, was Pirelli tire. 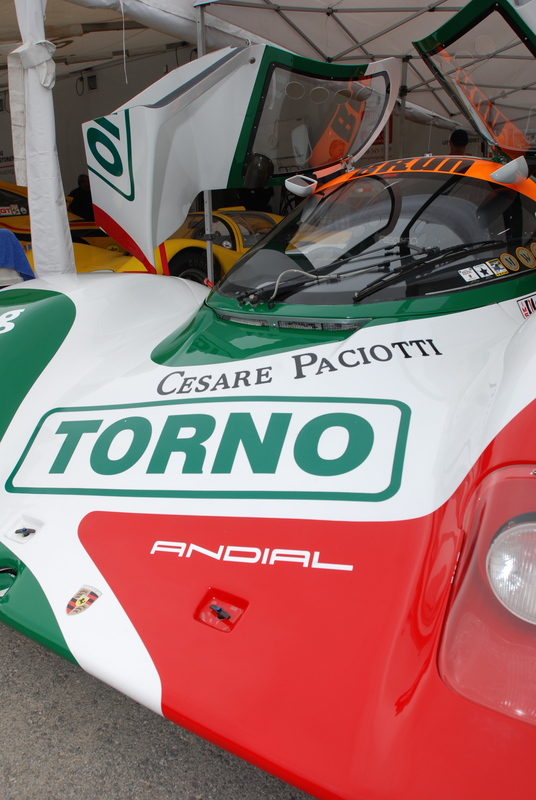 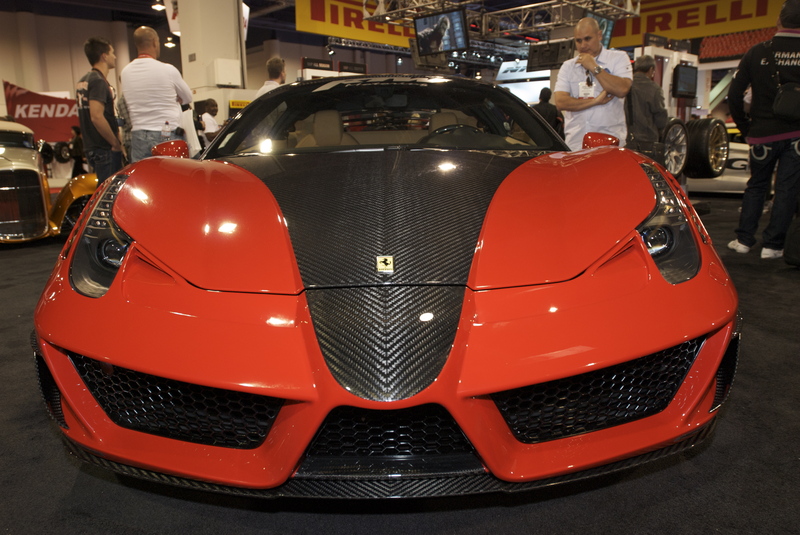 Pirelli’s exhibit consisted of several Lamborghini’s, (the orange one from http://www.Undergroundracing.com), one Ferrari and one very custom, soft top roadster. 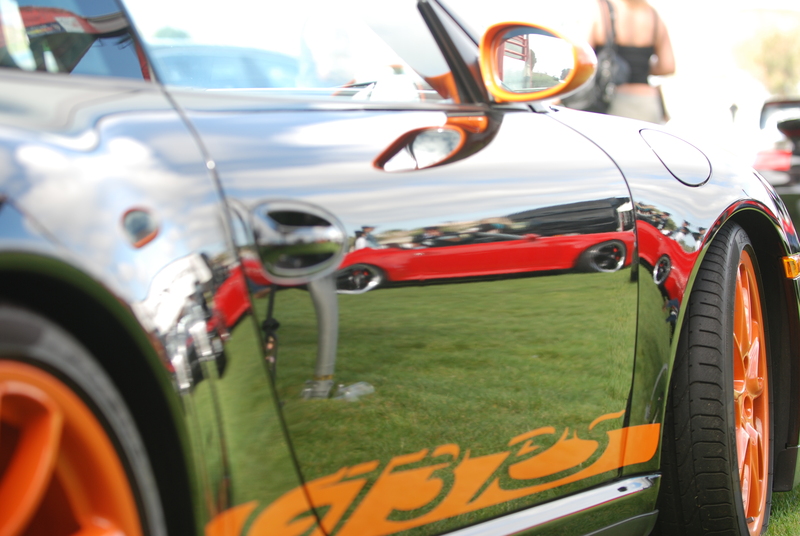 Over at the CEC display, the new Fisker automobile was being highlighted, and also served as CEC’s primary photo backdrop. 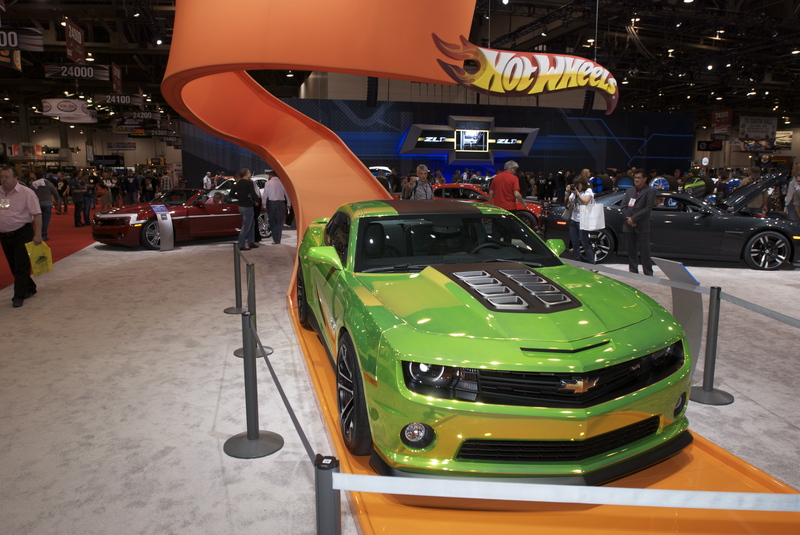 Located on the opposite side of the exhibit hall was the Forgiato wheel display, which featured a Mercedes Vision SLR, a lime green Lamborghini and a pumpkin orange Mercedes Benz S class ( a vinyl wrap with cut out logos, revealing the black body color underneath). 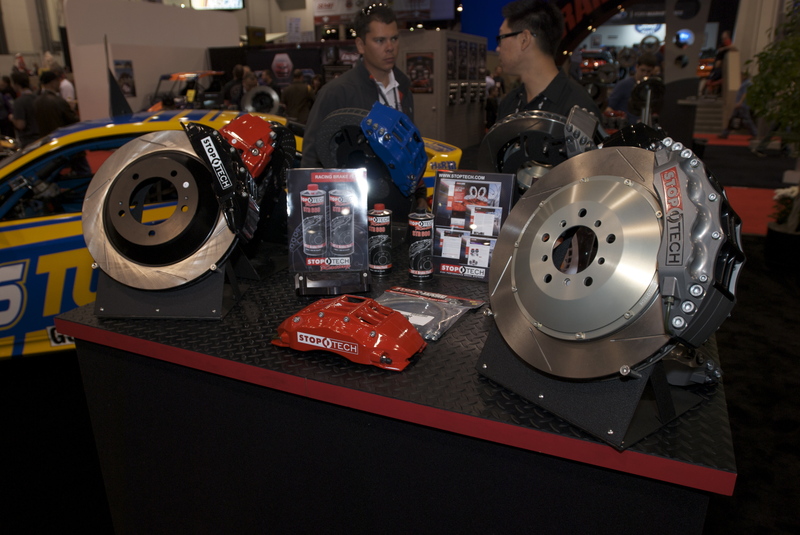 Just across the aisle, was another wheel manufacturer, with a display tracing the various production steps, starting with the forged blank and ending with the finished wheel. 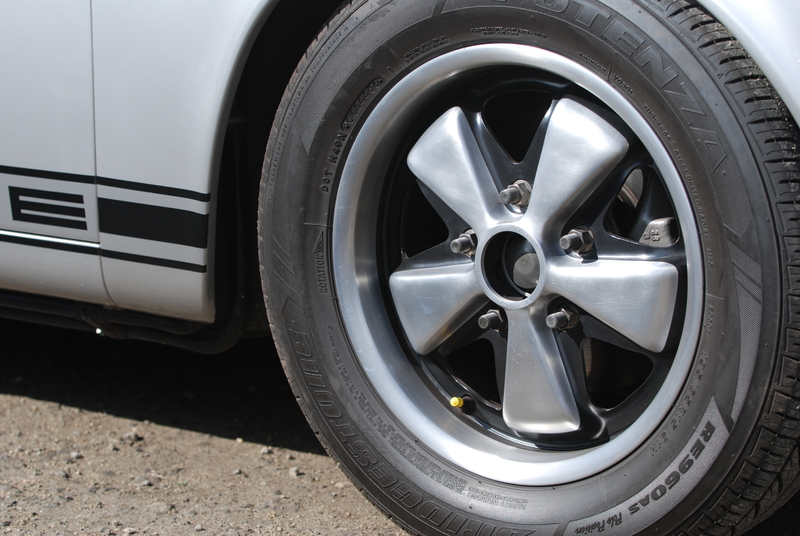 I was able to pick up and compare the weight differences between the forged blank and their finished wheel. 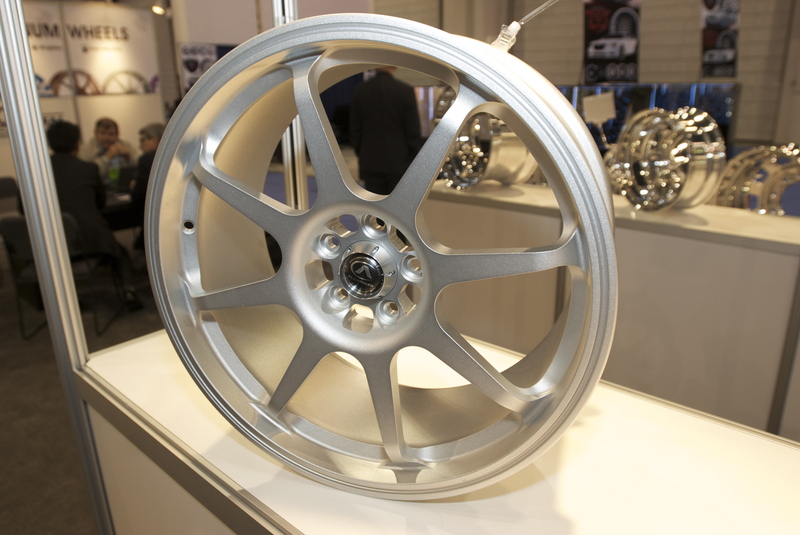 Amazing to see how strong yet lightweight these wheels are, even with all of the machining and finishing processes required. 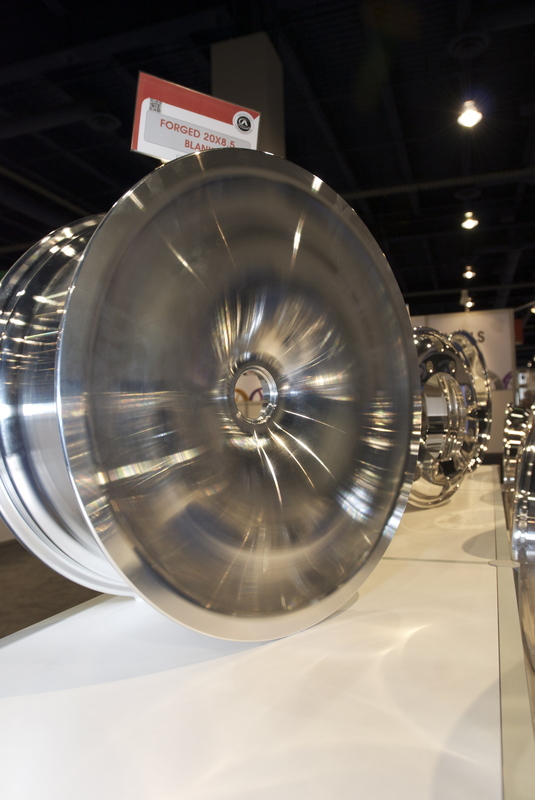 This is especially true of forged wheels, due to the compressive forces applied during the forging processes. 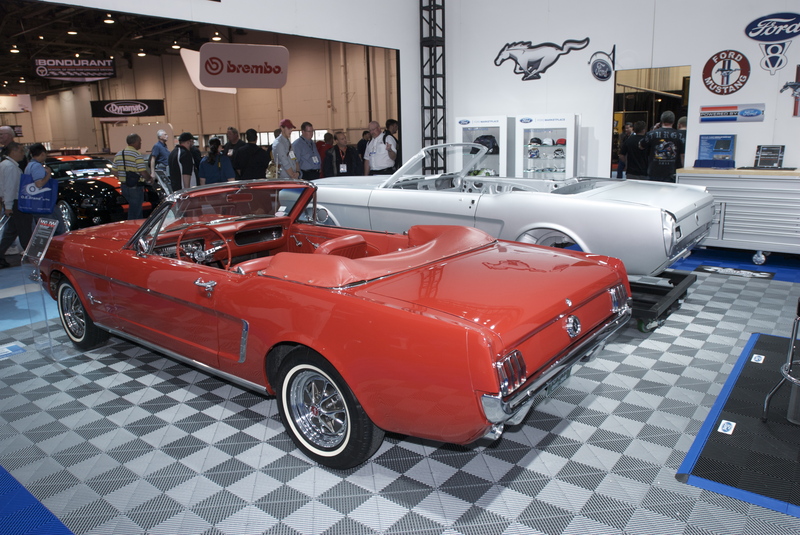 After checking out the rest of the Continental exhibit, we decided to head over to the Central hall exhibit space. 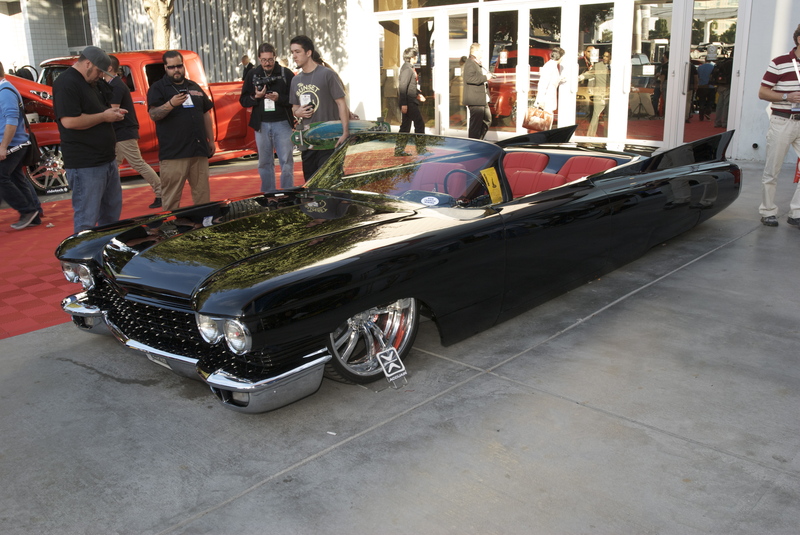 The black, custom Cadillac (see photos below) was on display at the entrance into Central hall, and another example of meticulous detail, body work, and flawless paint. 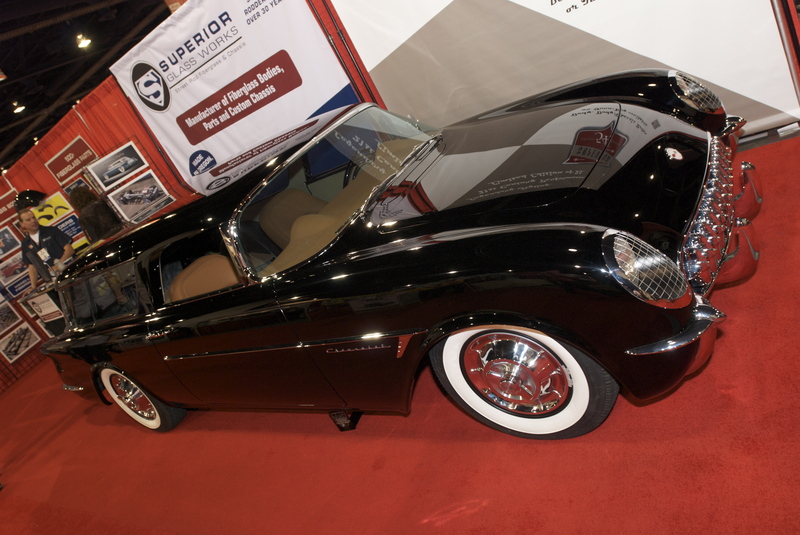 Obviously countless hours were spent block sanding the body, to get the body panels as smooth and straight as they did, which with the black paint rendered a flawless finish. 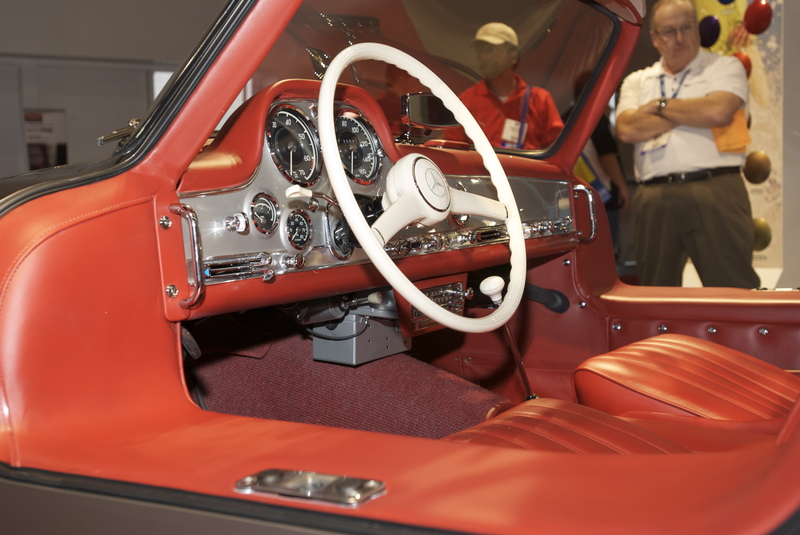 And the red leather interior was just as beautifully detailed and finished as the exterior. 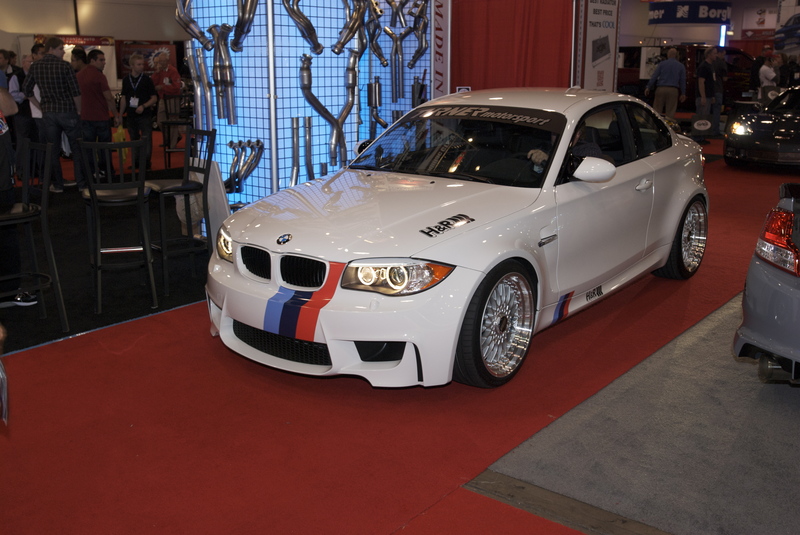 Once inside Central hall,the first exhibit we encountered was the H&R suspension display, with a BMW M3 from the Rahal Letterman Lanigan Racing team prominently displayed. 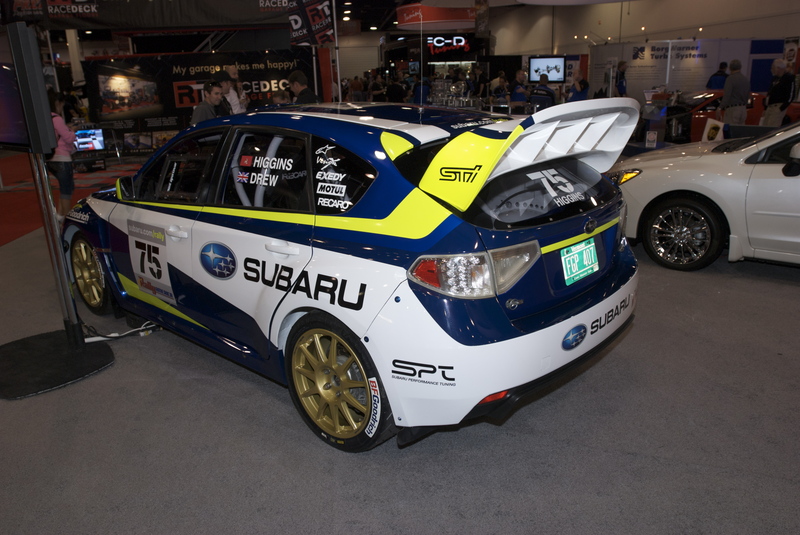 Just across the aisle from H&R, was the Subaru exhibit. 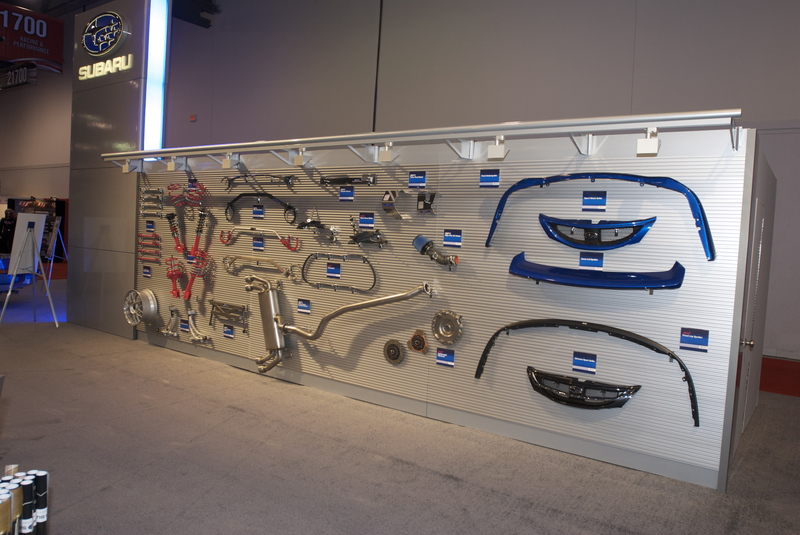 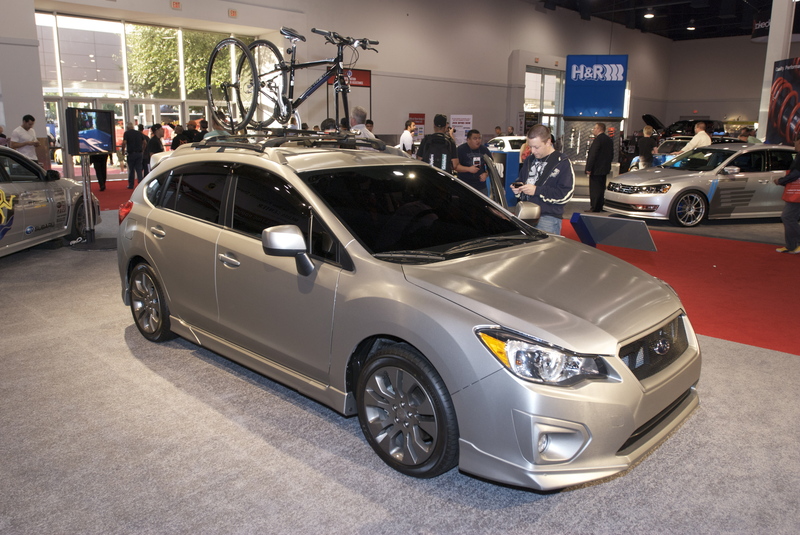 Prominently displayed as a backdrop to the Subaru models on display out front, was their “parts wall”, a showcase of the latest performance upgrade parts now available through Subaru dealerships. 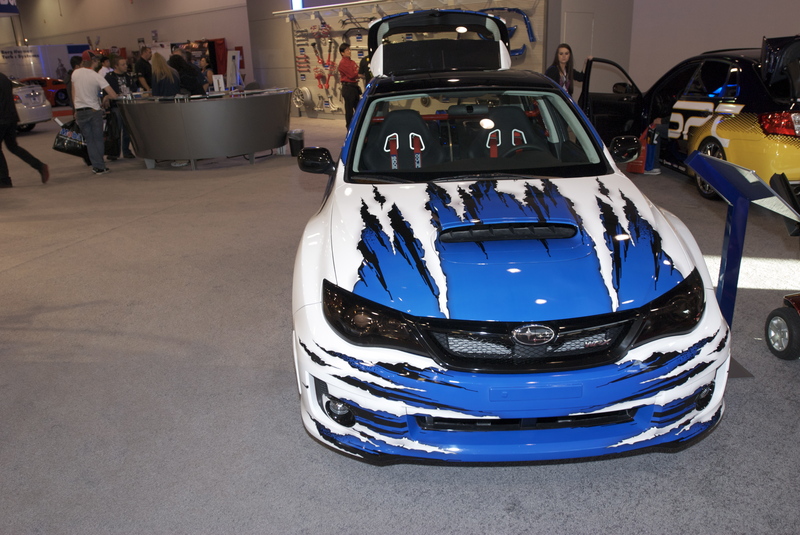 Their vehicle display consisted of a variety of modified street cars, alongside several of their latest competition models. 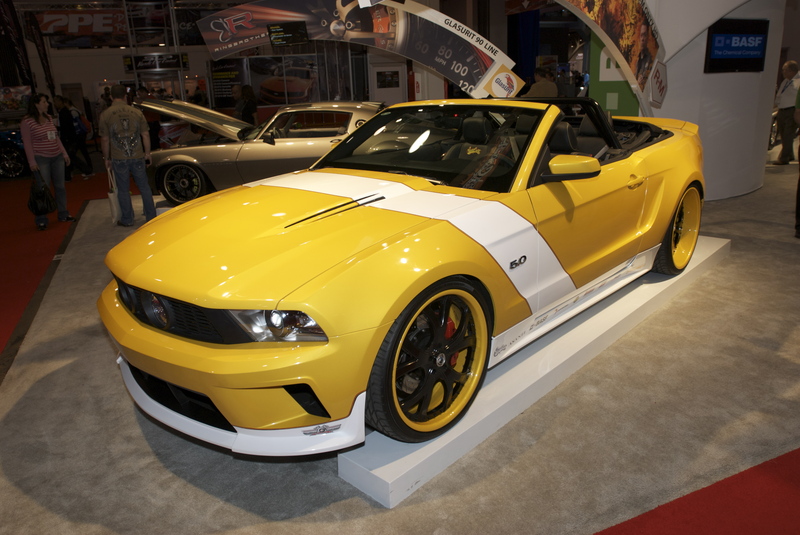 As we headed towards the back of the exhibit hall, we came across the BASF paint display, which featured four different cars, each prepared by a different builder; The yellow mustang convertible from West Coast Customs, while the tri- toned blue/black/white mustang fastback was from Richard Petty Enterprises. 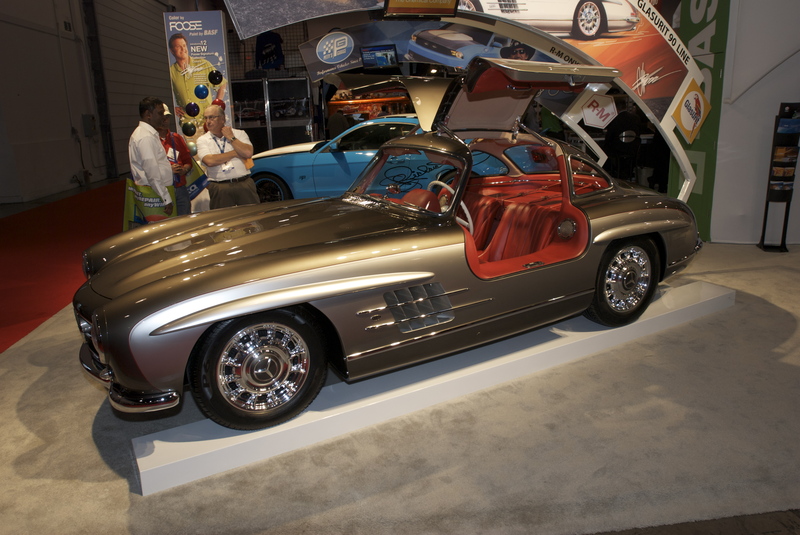 Opposite these two cars was the next pairing; the warm platinum / taupe hued, RingBrothers custom 70’s vintage Camaro, and rounding out this quartet, was the Chip Foose styled, two-toned 1957 Mercedes-Benz 300SL gullwing. 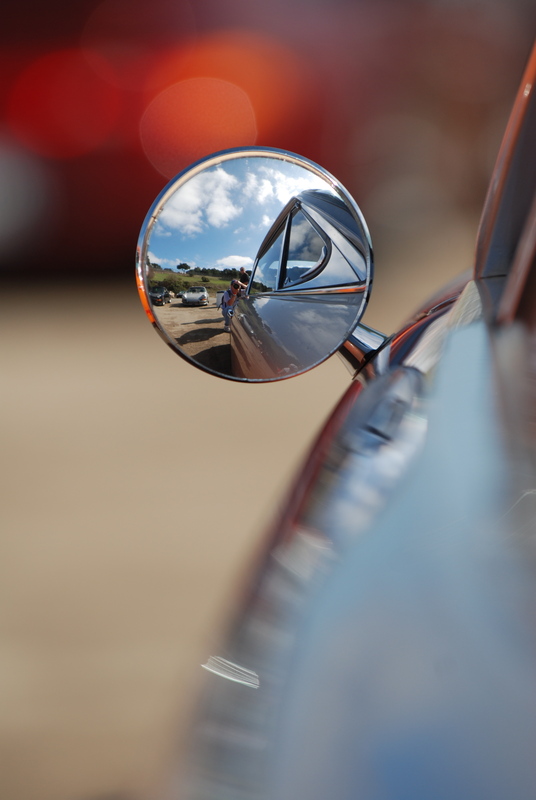 It was during my photographing of the 300SL, that a gentleman from BASF (responsible for the care and handling of this car over its next 6 months of show car touring), struck up a conversation with my son and I, and was kind enough to share some of the back story regarding this particular car. 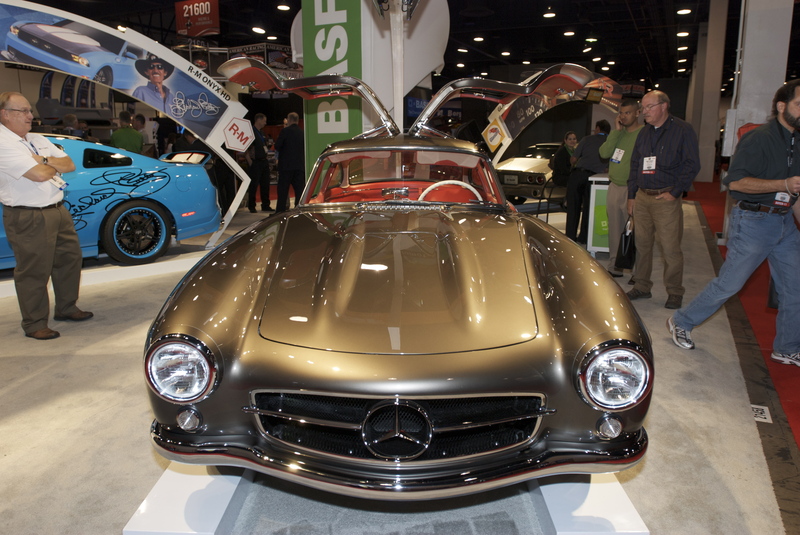 We came to learn that this Mercedes 300SL had previously been a fully restored,100 point concours level vehicle at the time of purchase by Chip Foose. 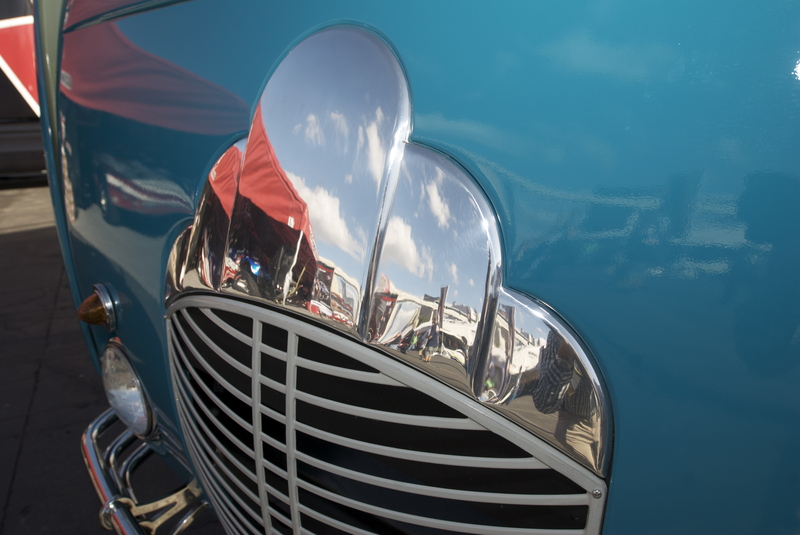 Then over the next two years, Chip and his team began a thorough disassembly, restyling and re-assembly process that wrapped up on Sunday, October 30. 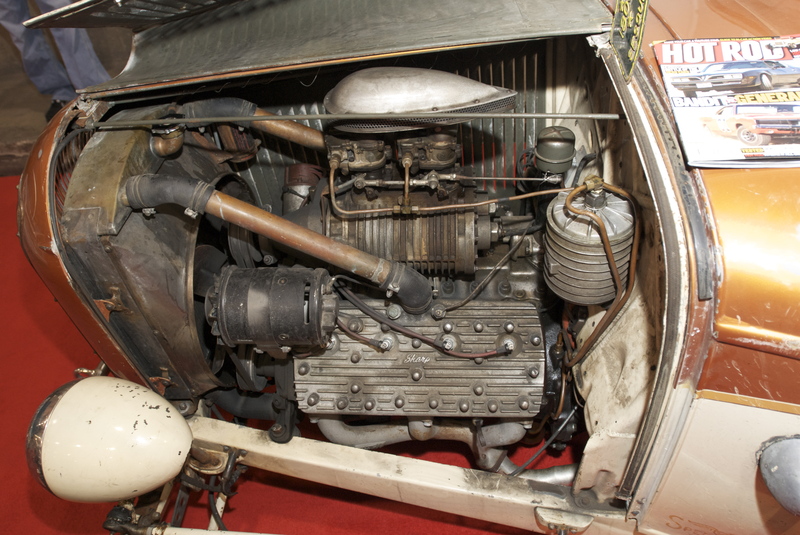 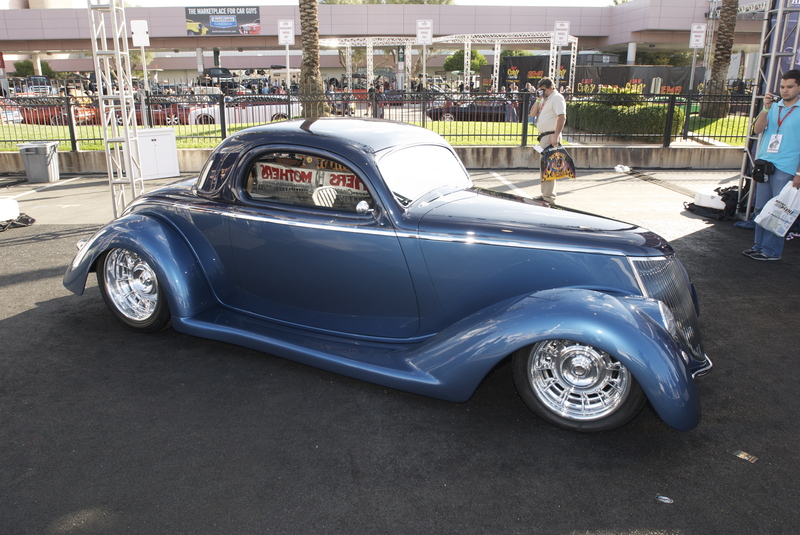 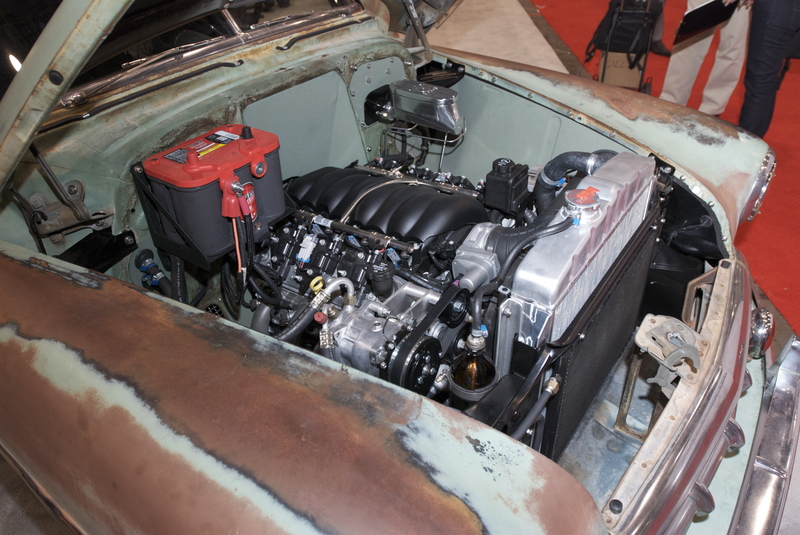 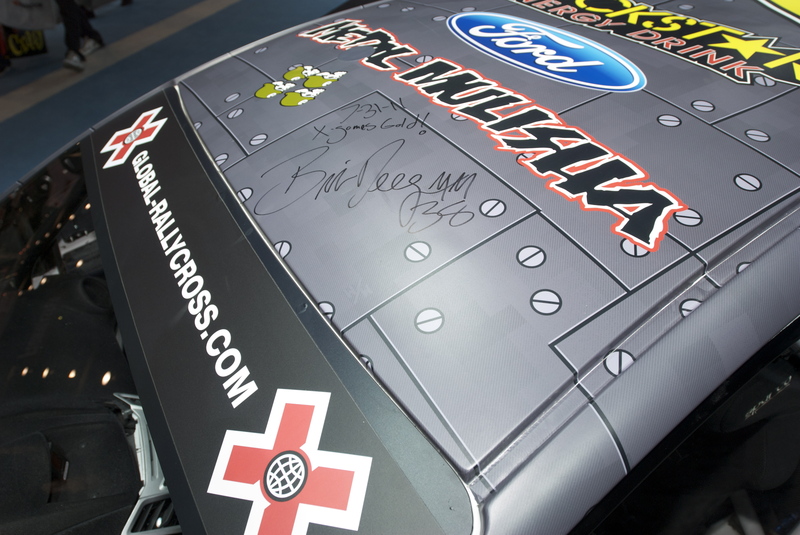 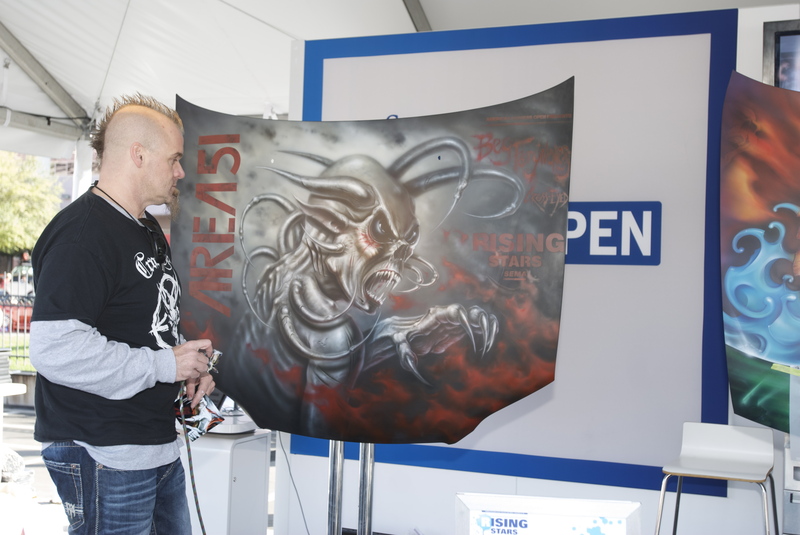 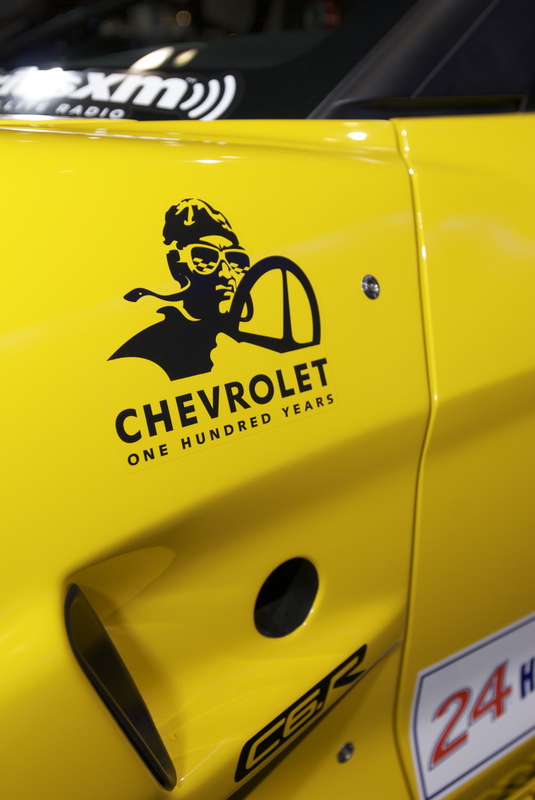 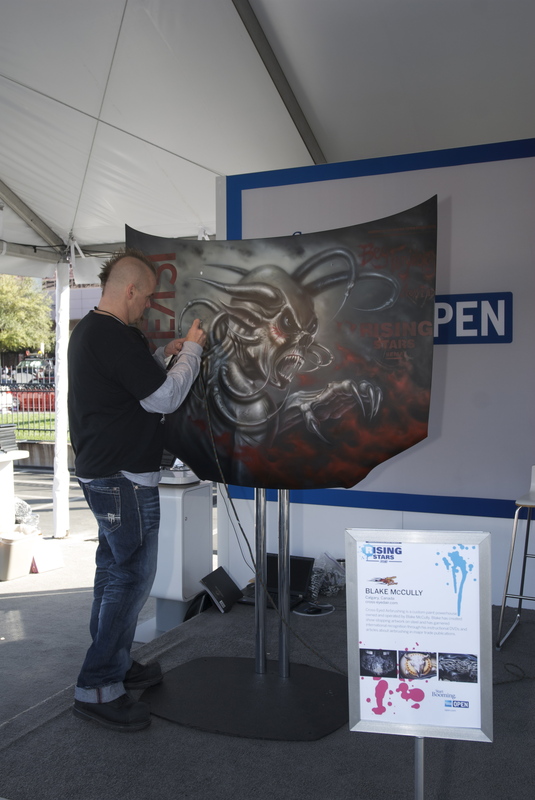 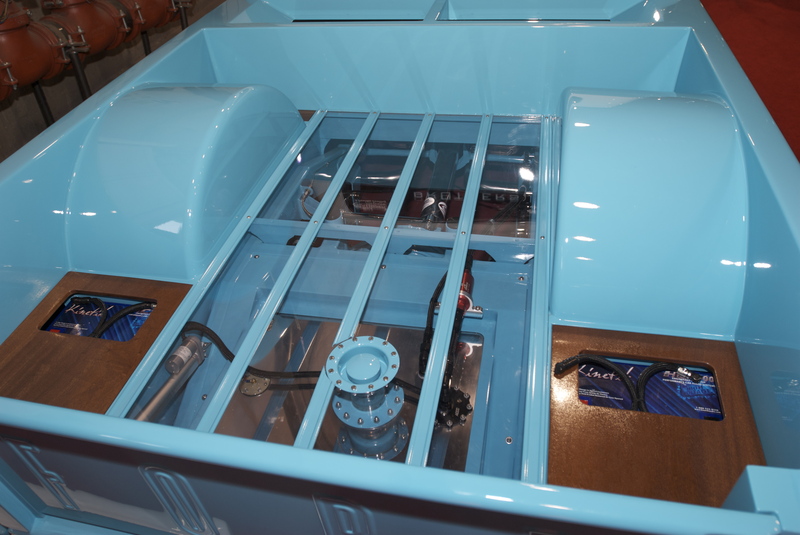 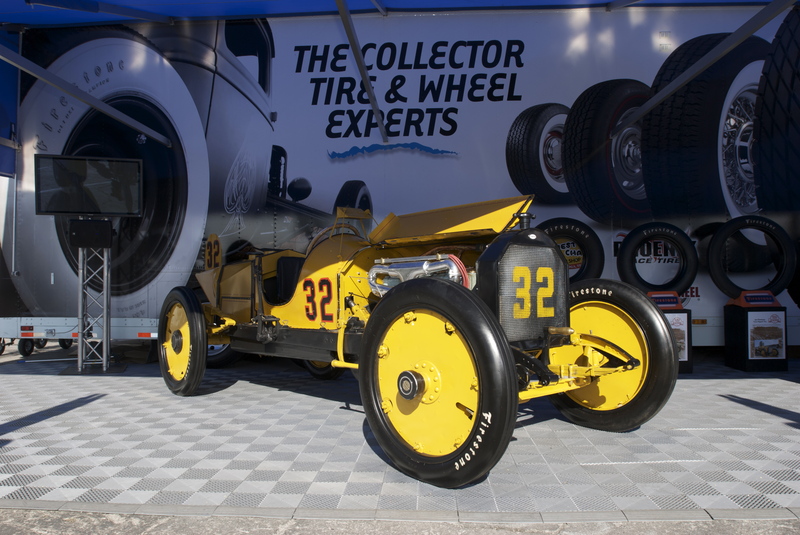 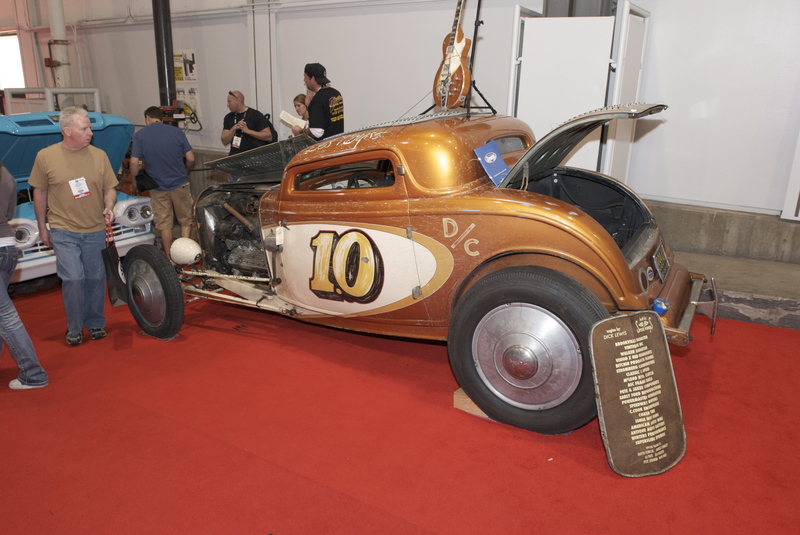 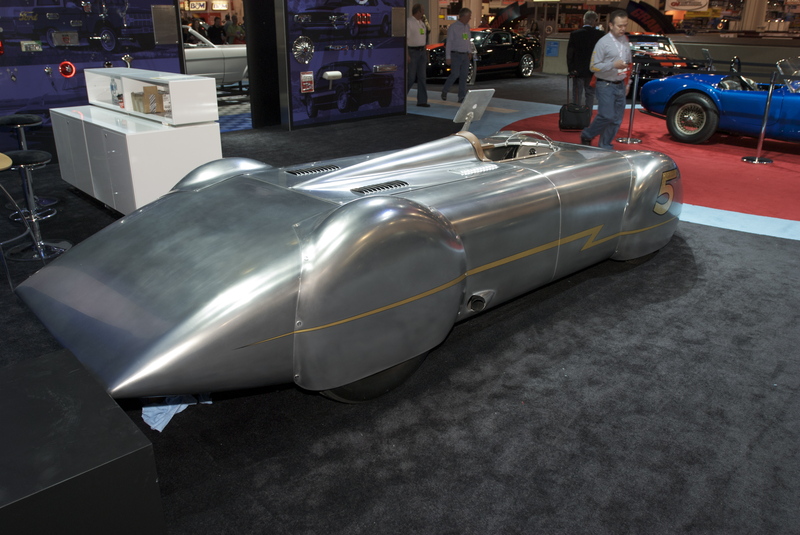 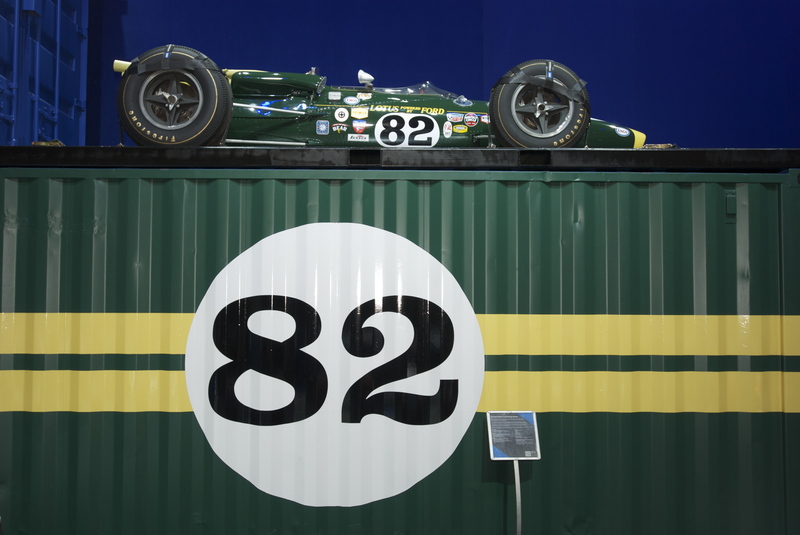 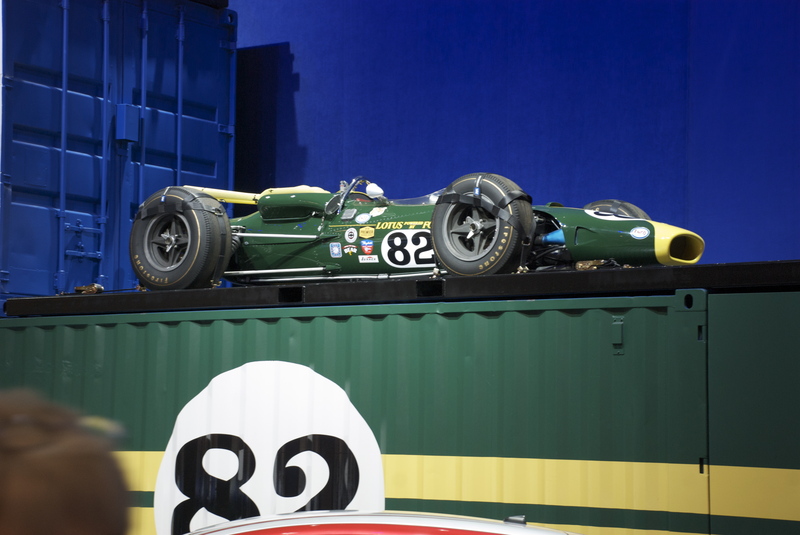 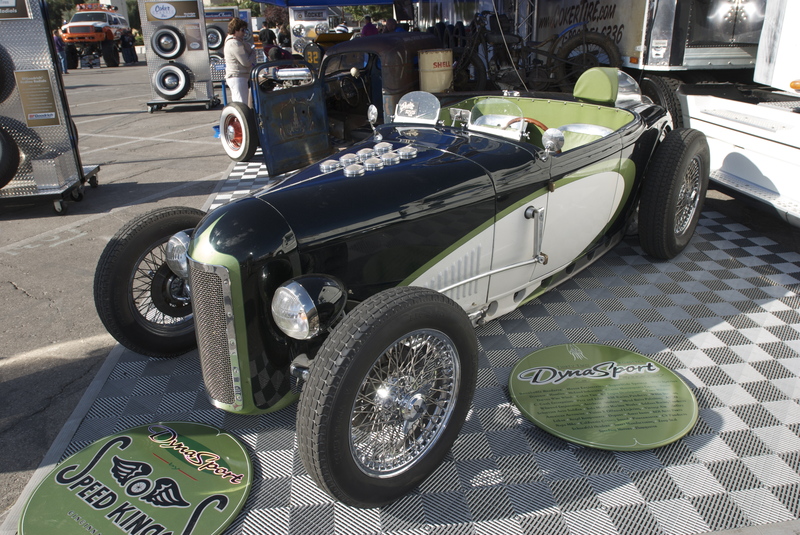 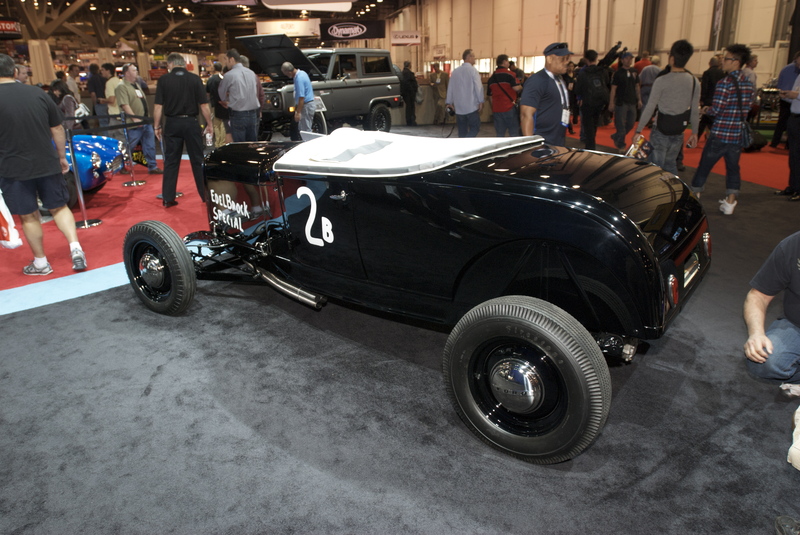 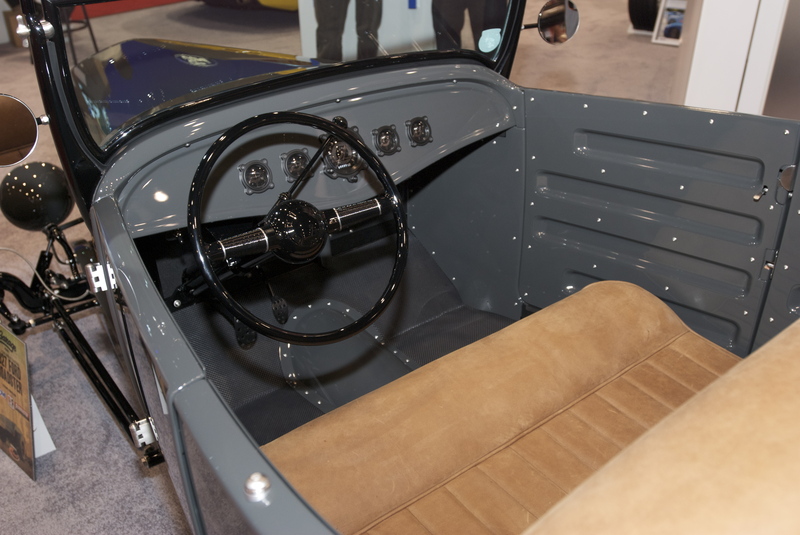 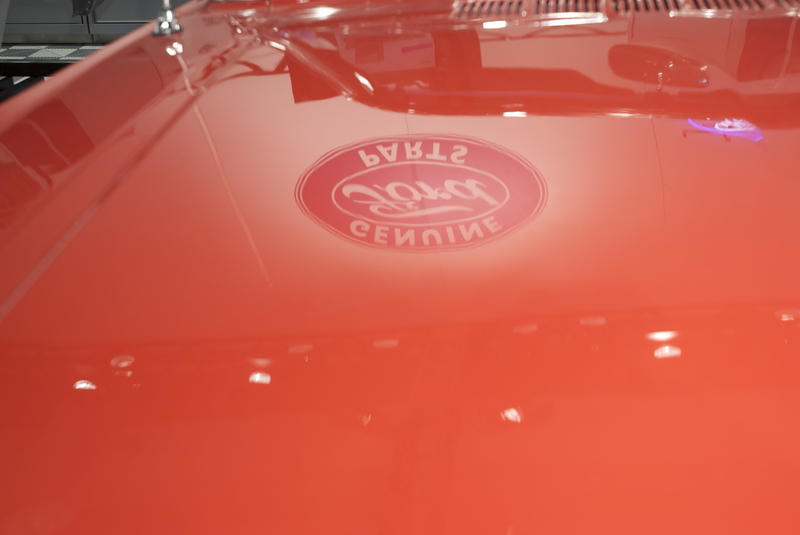 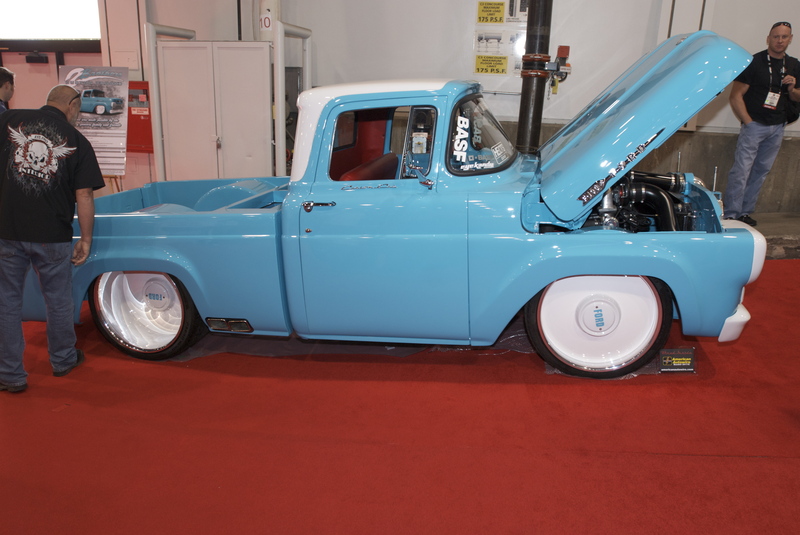 By Monday the 31st, the car was delivered to the BASF display for placement, and by early afternoon Chip Foose came through, and stopped to take another look at the car. 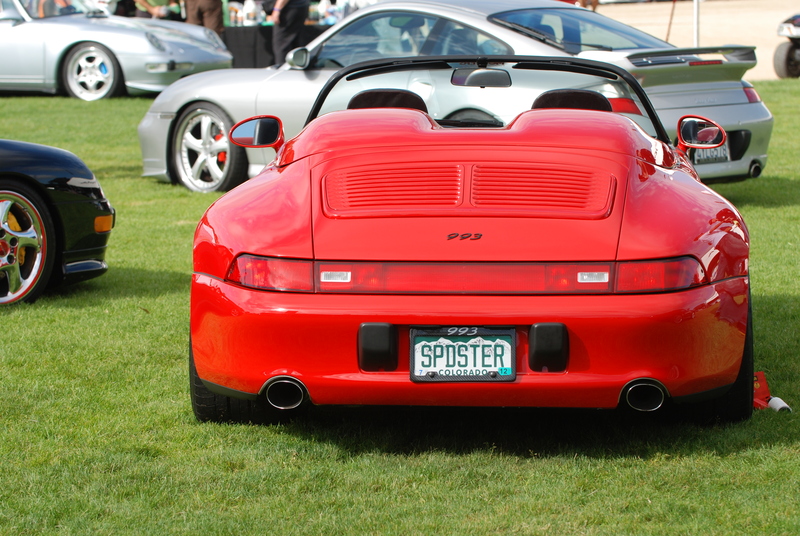 Apparently, he was not happy with what he observed, and suddenly left. 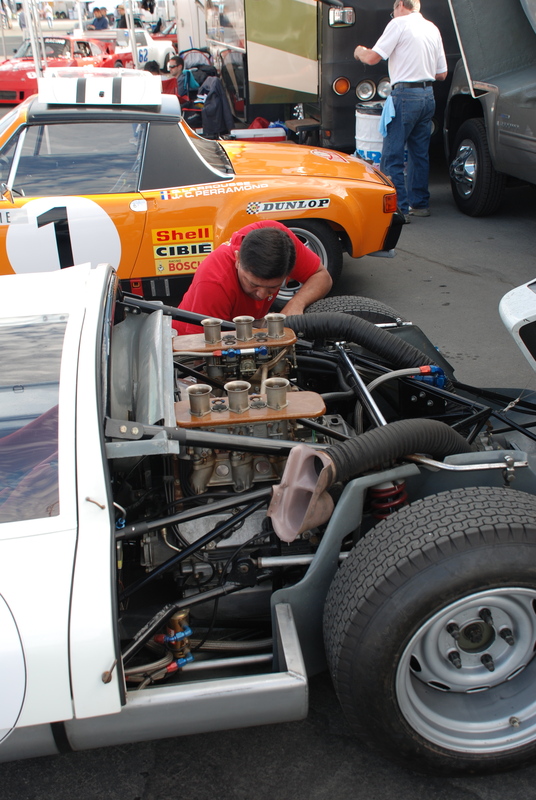 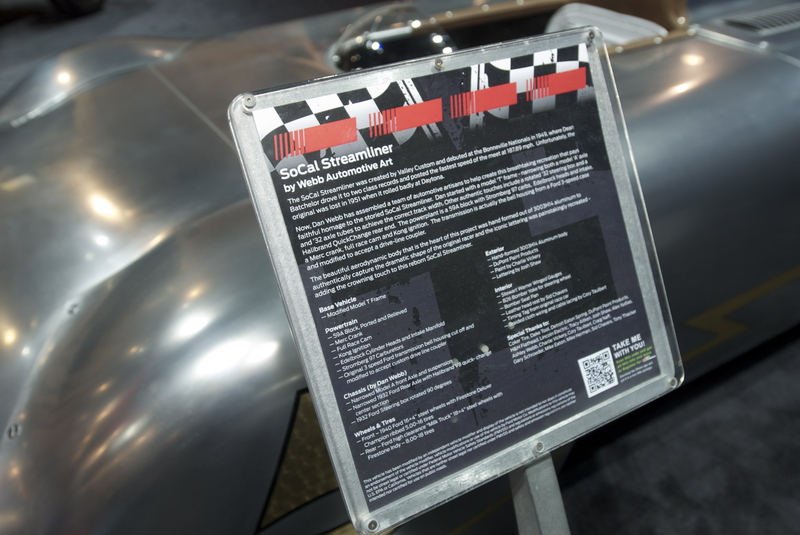 However, he returned a short time later, with 5 members of the Meguiar’s detailing team (at around 3 PM), and for the next 9 hours, Chip and the team worked on the interior and exterior of the car to bring it up to his show quality standards. 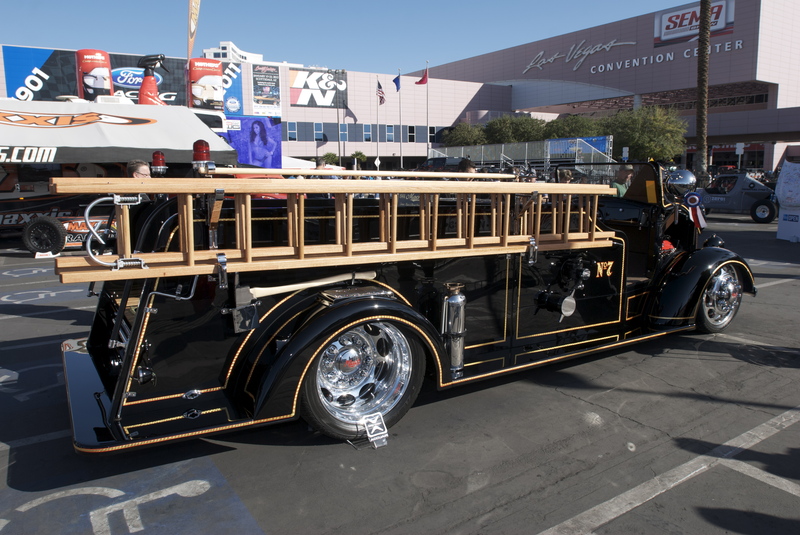 With Chip finally satisfied, at midnight he took the entire team out to dinner. 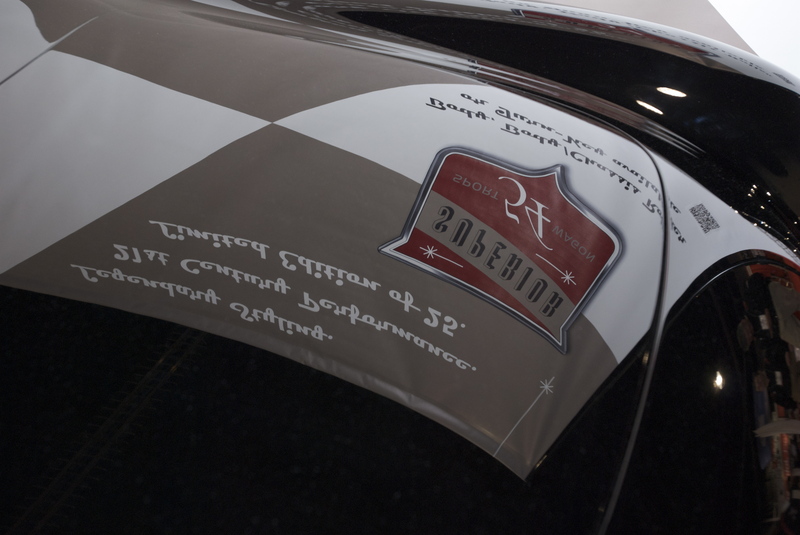 It was apparent that all of their hard work had paid off, as the car was absolutely stunning. 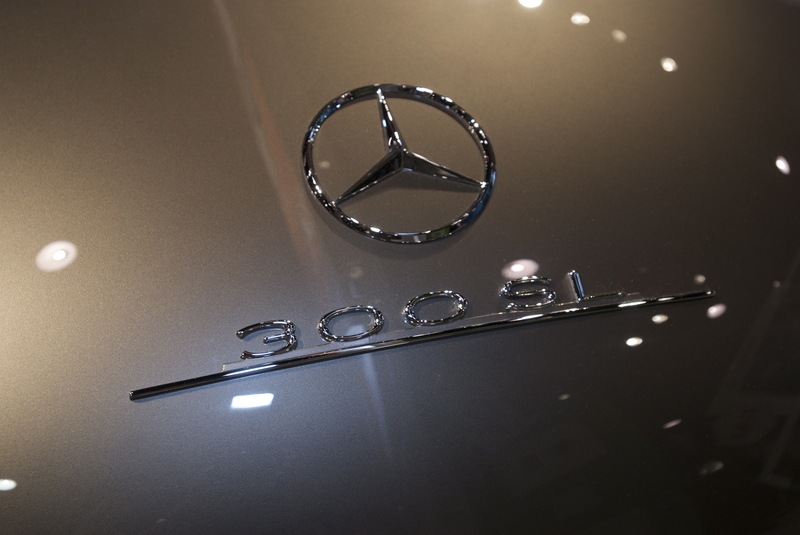 The fit and finish, door gaps and all of the subtle details made for a beautifully turned out 300SL. 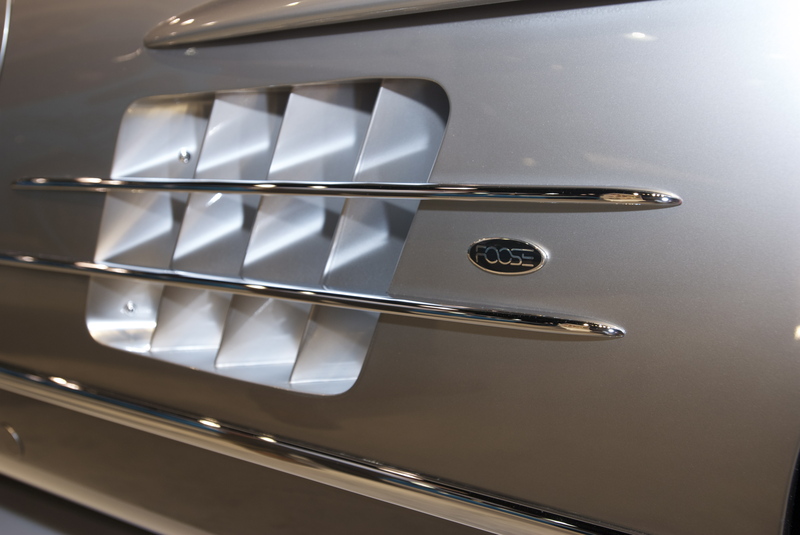 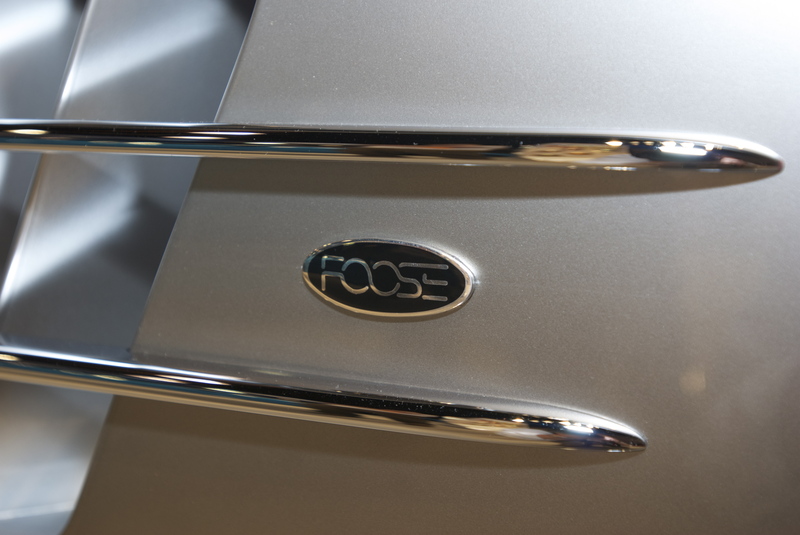 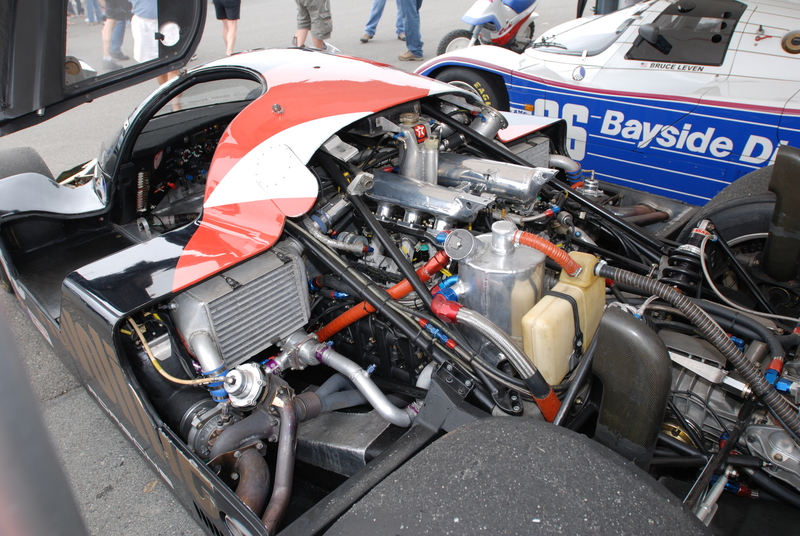 In typical Foose fashion, the changes made were very subtle, but if you knew what to look for, they became obvious. 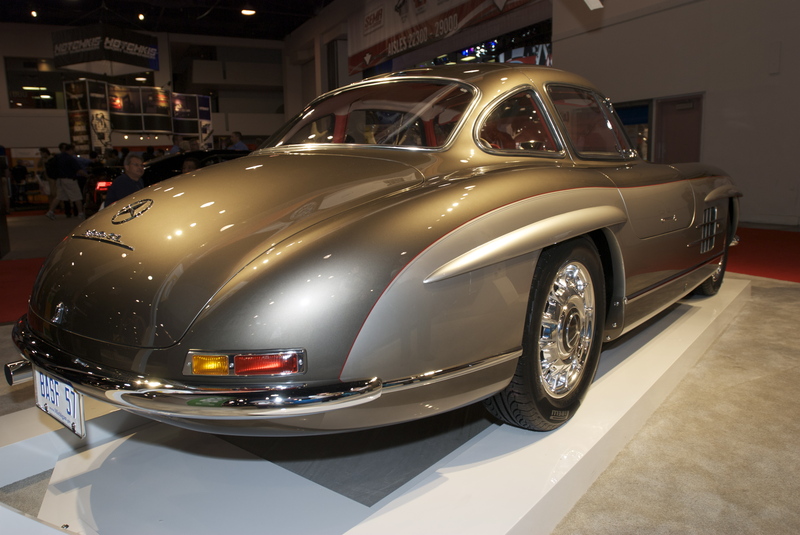 And according to its BASF caretaker, the front and rear bumper had each been modified to tuck in tighter to the body eliminating the original gaps, the front headlight trim / bezels had been reworked, the front grill had been massaged, and the original wheels were replaced by a new billet design, yet still incorporated the Mercedes-Benz three-point star as a center cap detail. 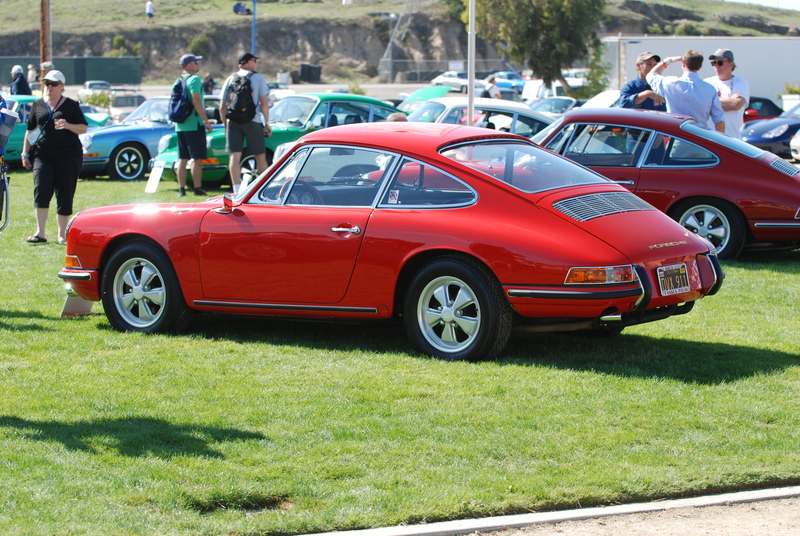 The two-tone, water based BASF paint job was flawless, right down to the applied red pinstripe that separated the two colors. 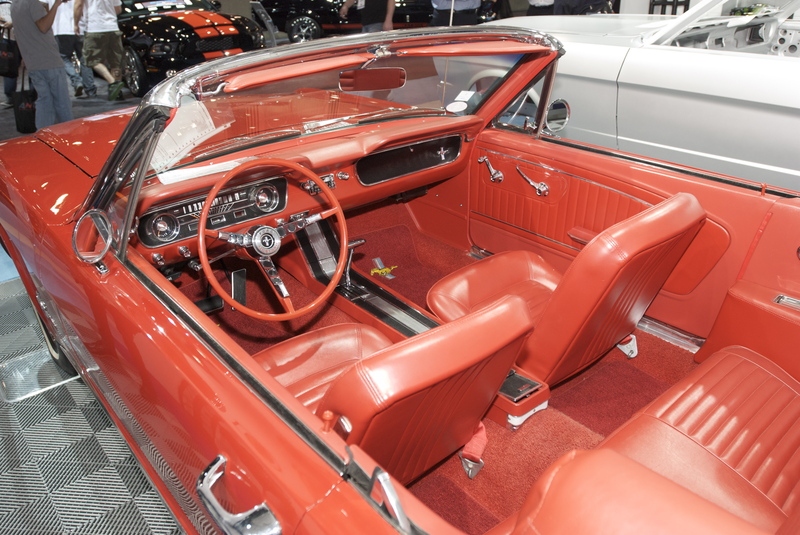 The red pinstripe was a very subtle design detail, and most likely influenced by the red leather interior. 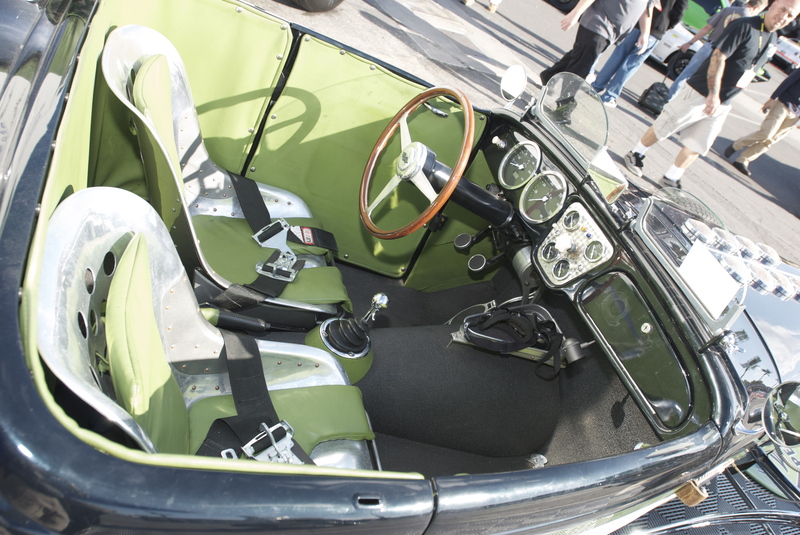 The interior appeared to have had a sympathetic restoration; a thorough cleaning and refurbishing, rather than total replacement. 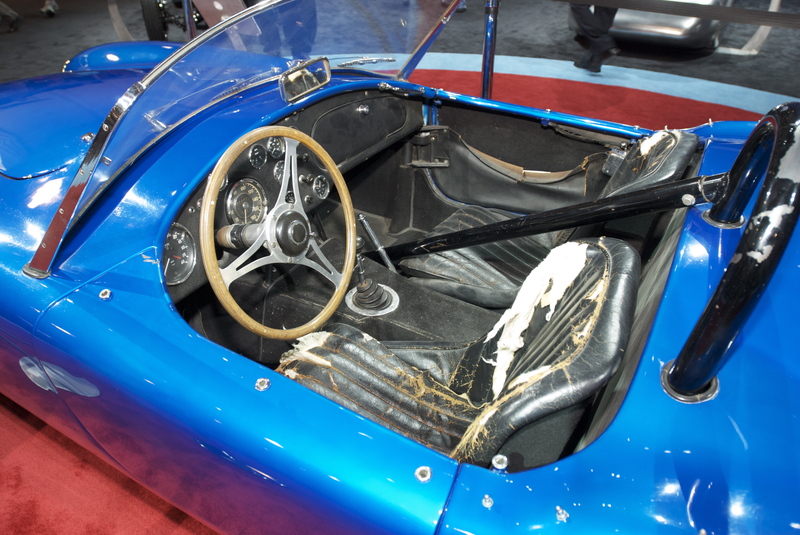 The red leather seats looked like new, but appeared to have the slight patina of original wear. 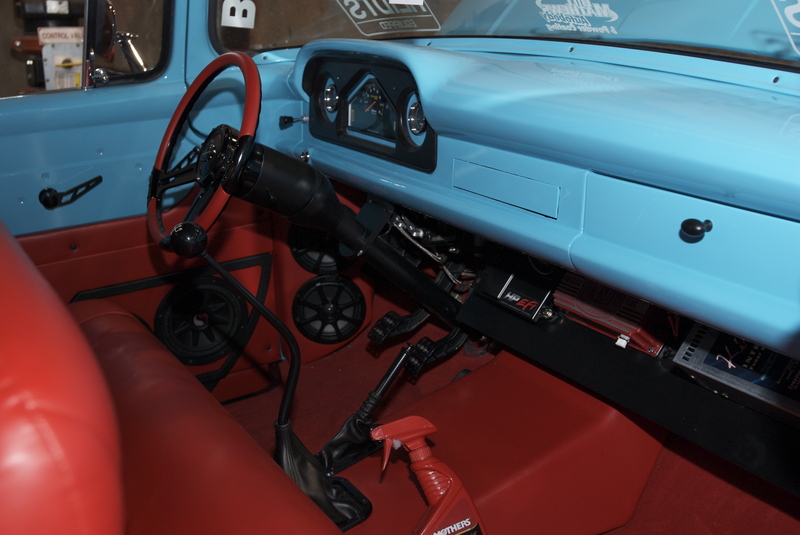 There was even a single piece of red, factory fitted luggage with red leather hold down straps included, and secured in place just behind the front seats. 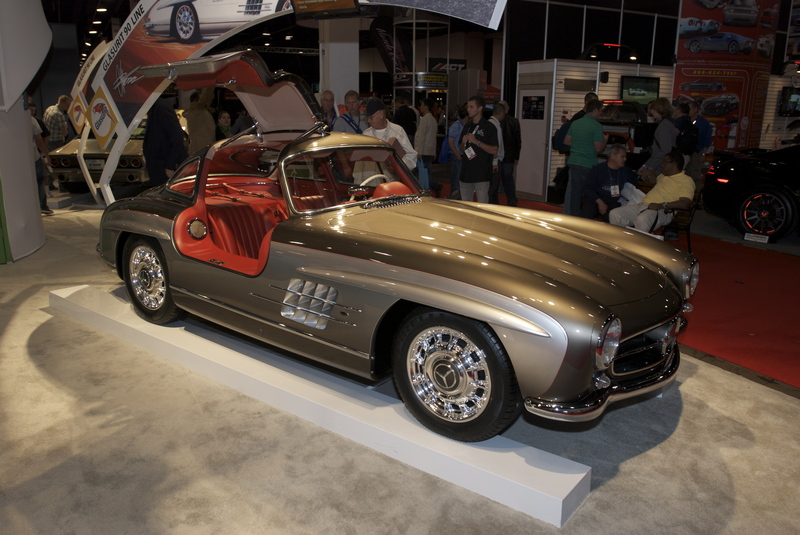 Then, just as I finished taking my last photo of the 300SL, an announcement was made over the PA system, stating that the show was now closing for the day, so our further explorations would have to wait for the following day. 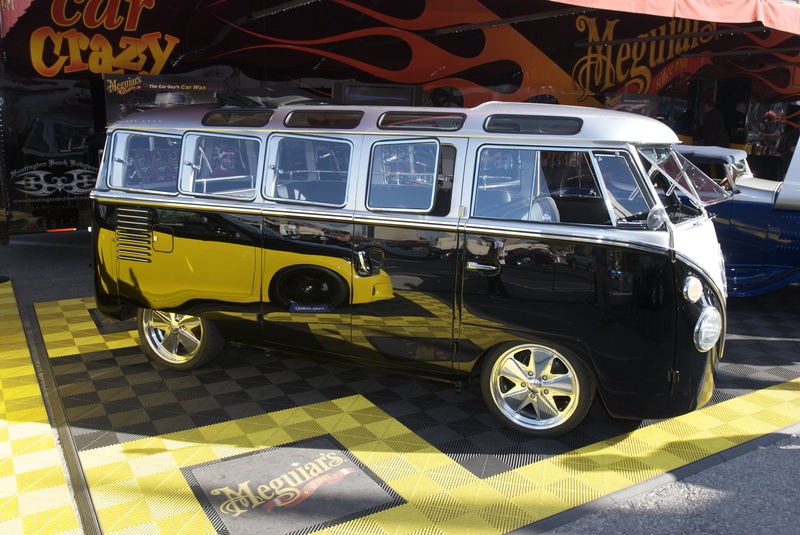 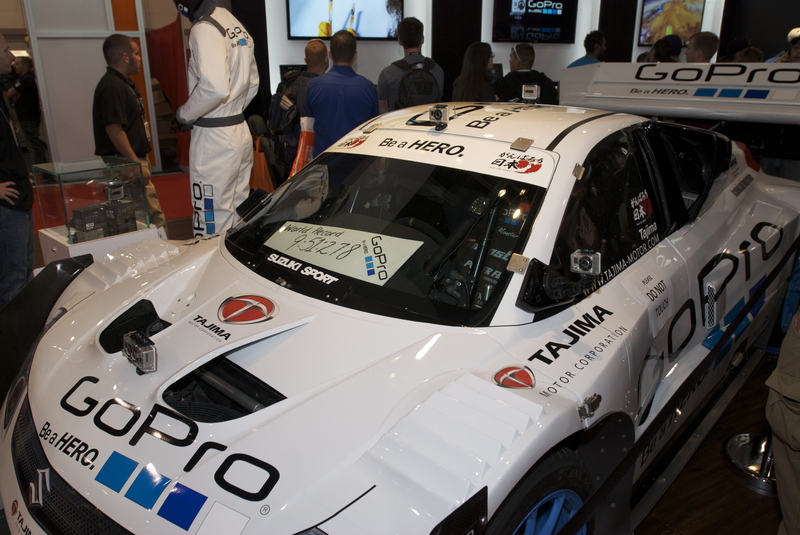 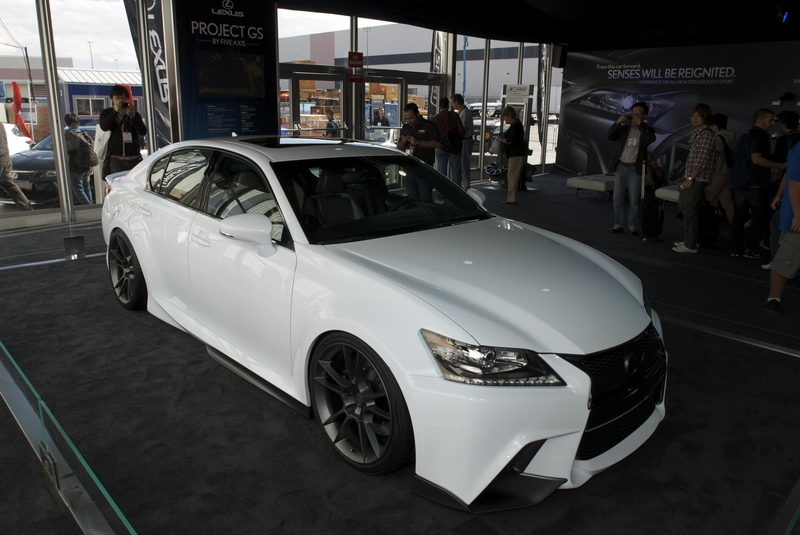 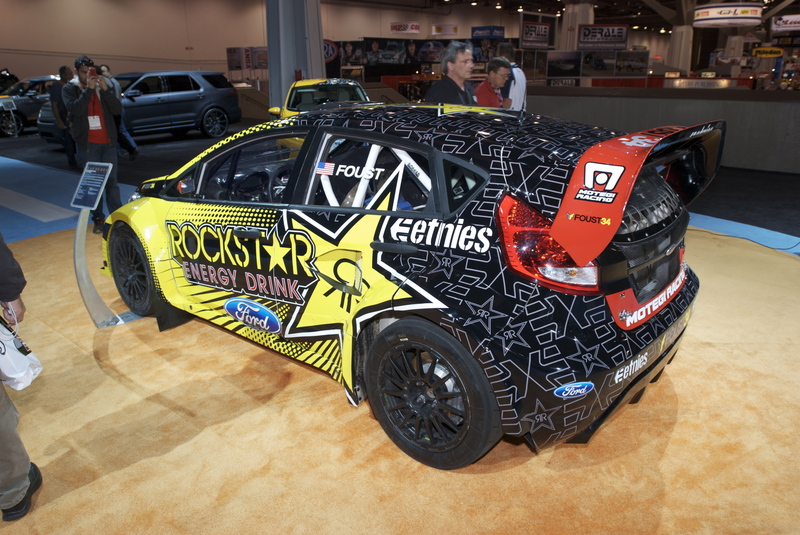 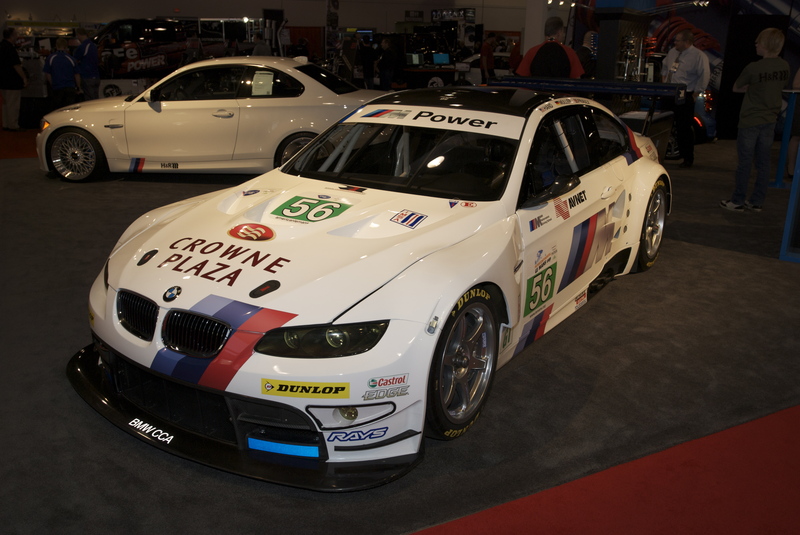 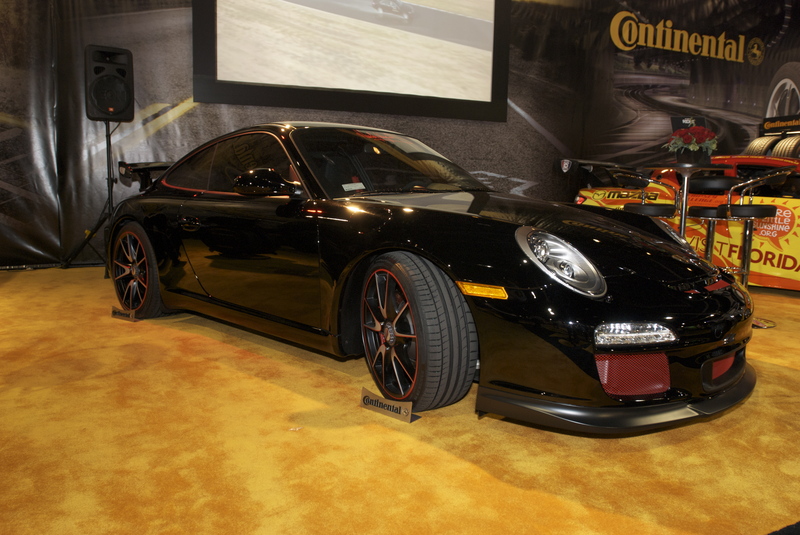 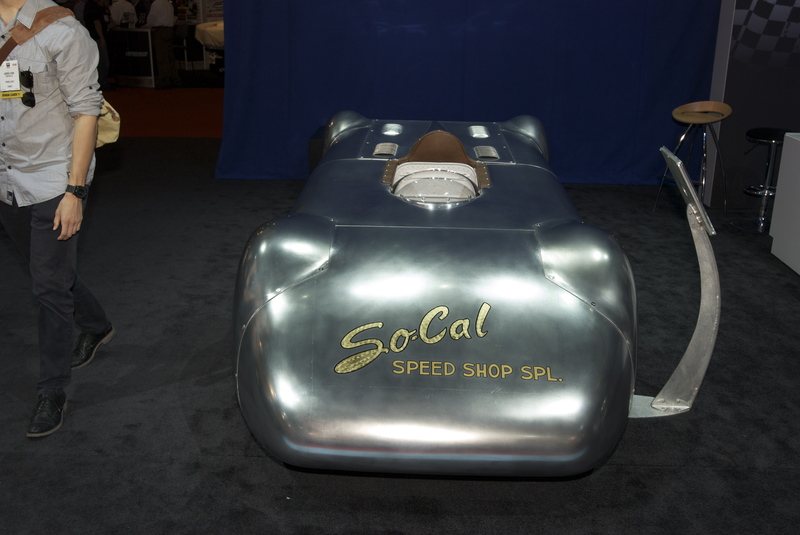 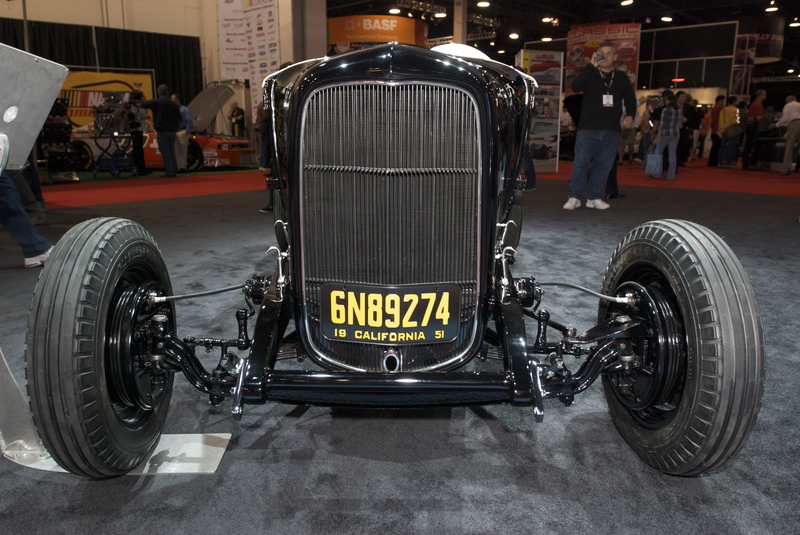 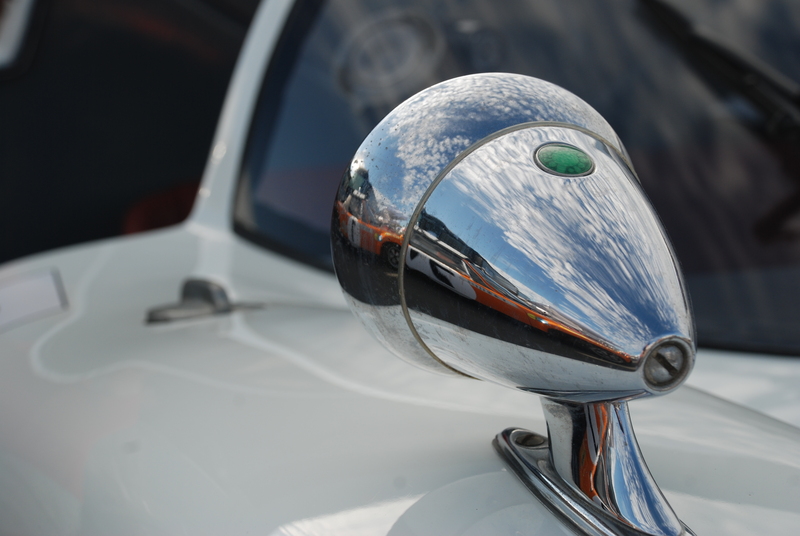 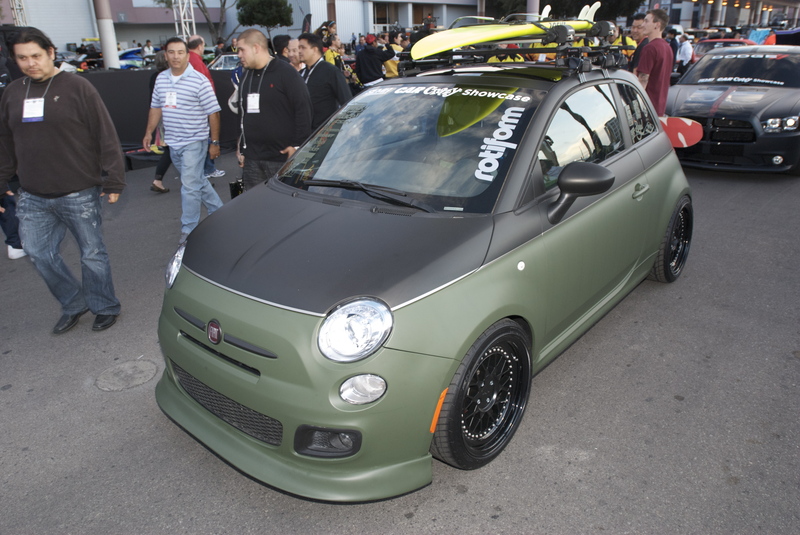 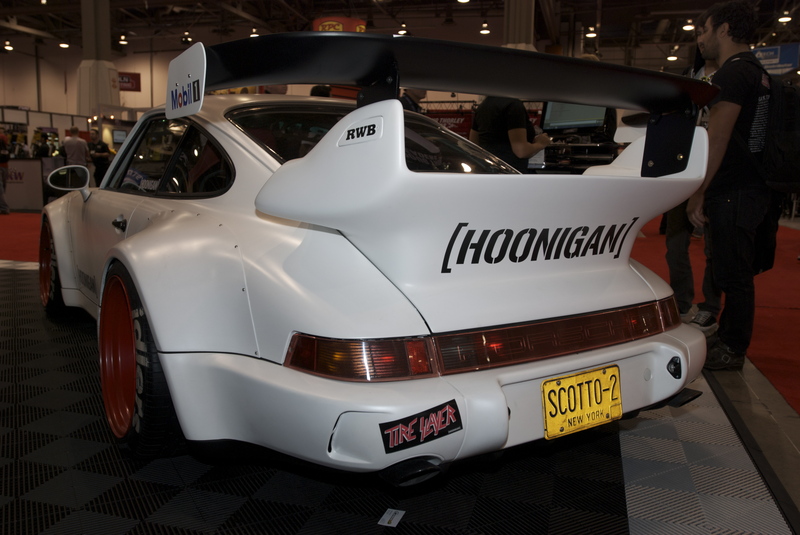 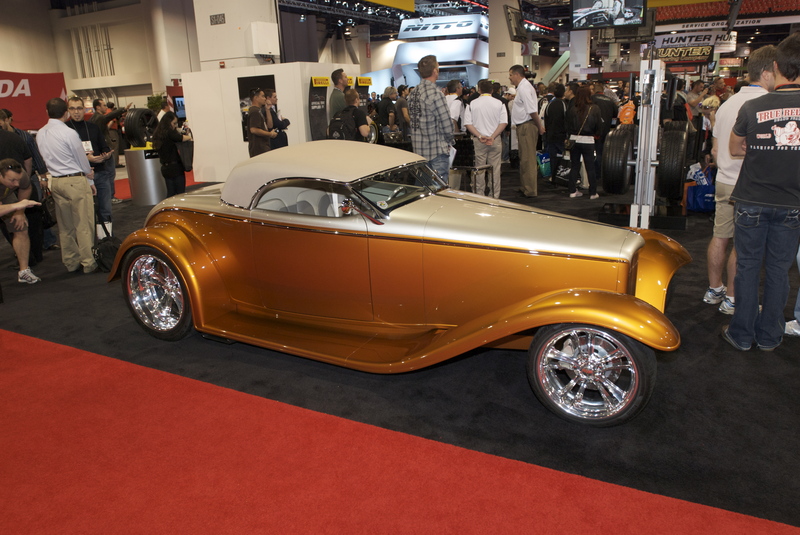 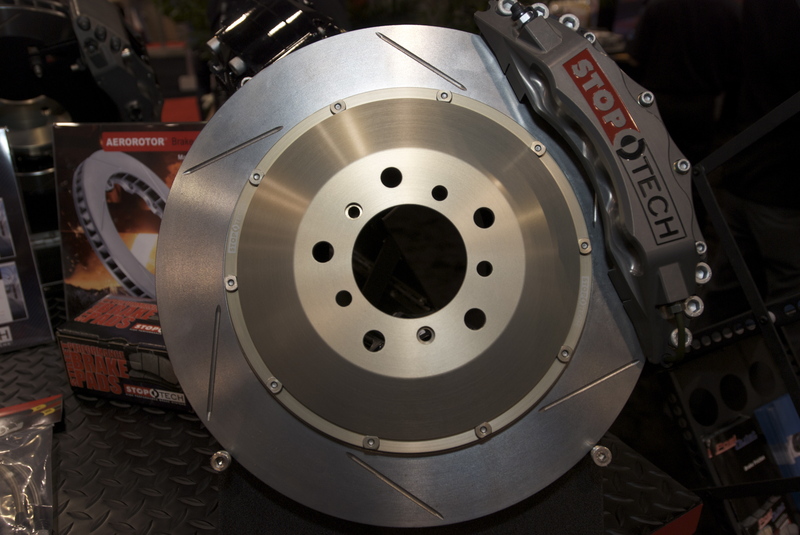 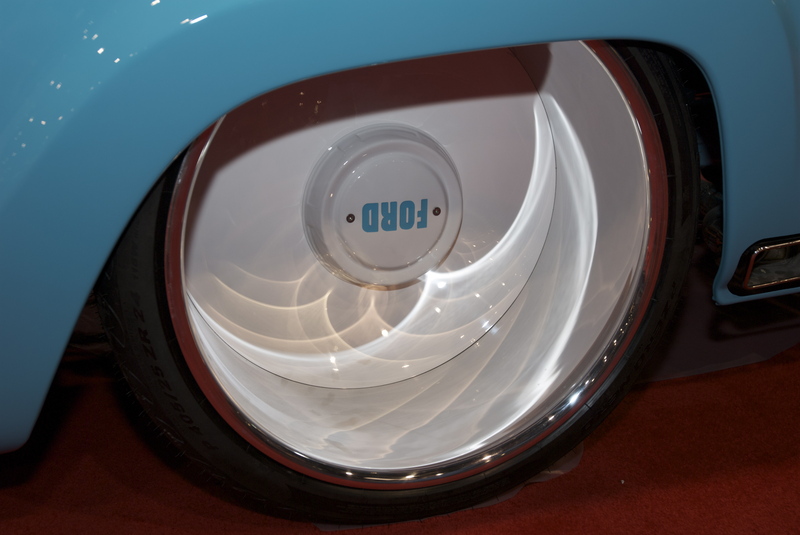 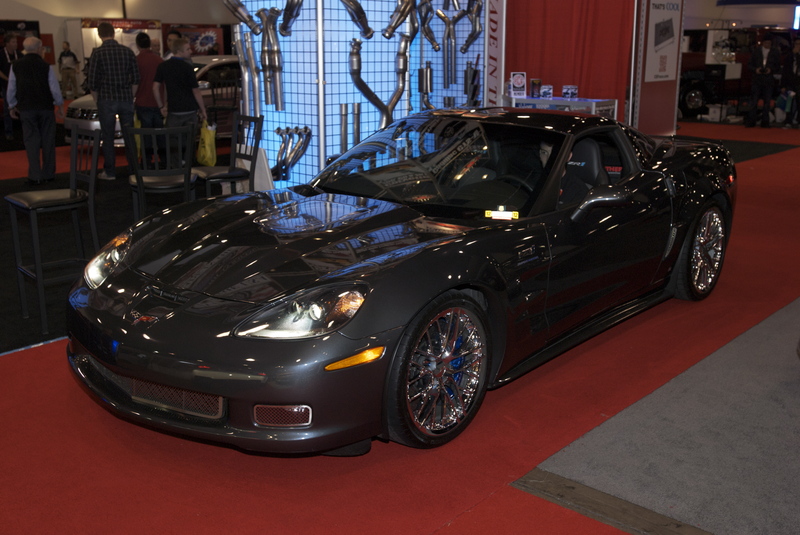 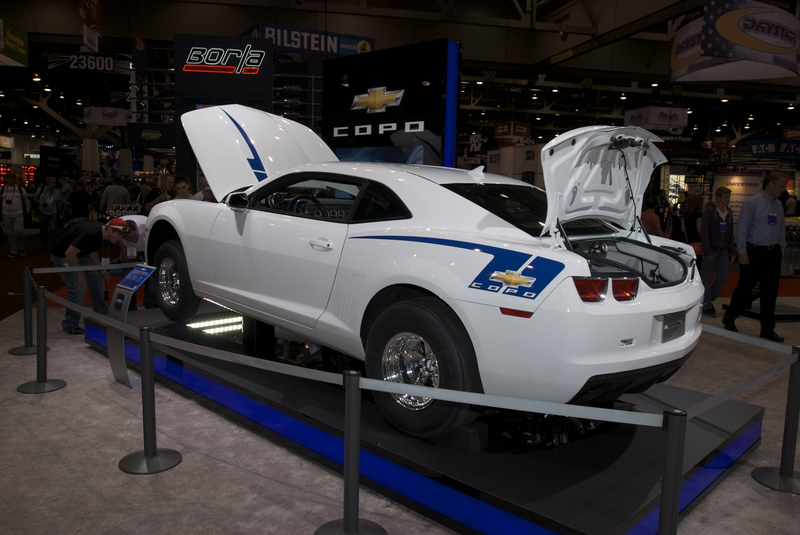 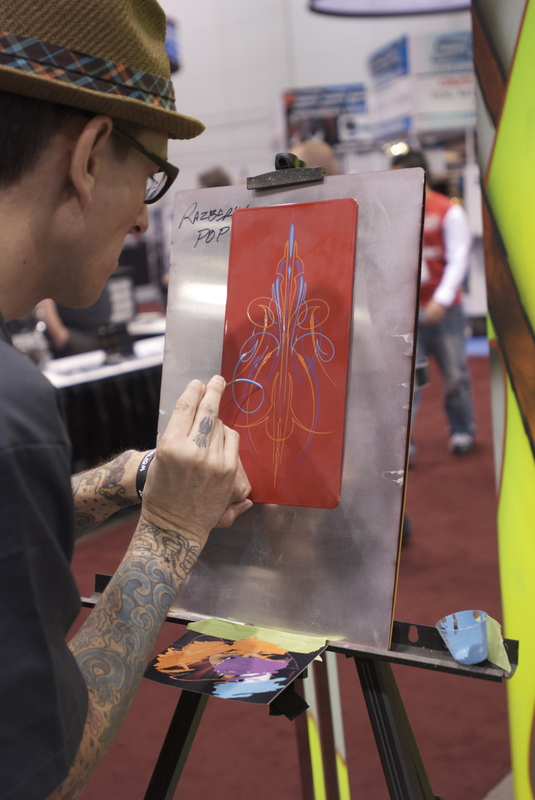 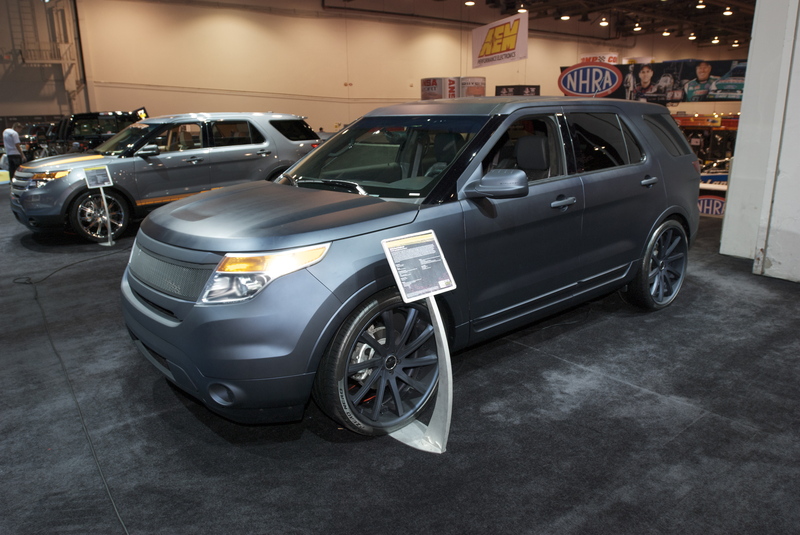 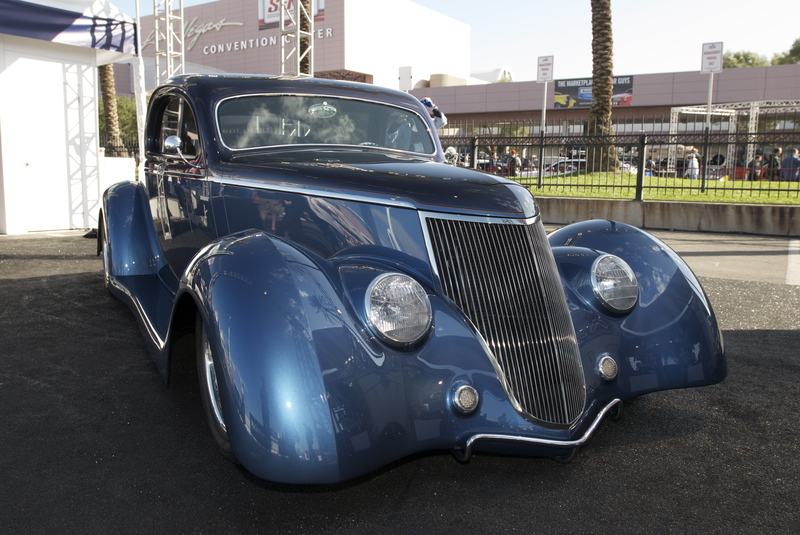 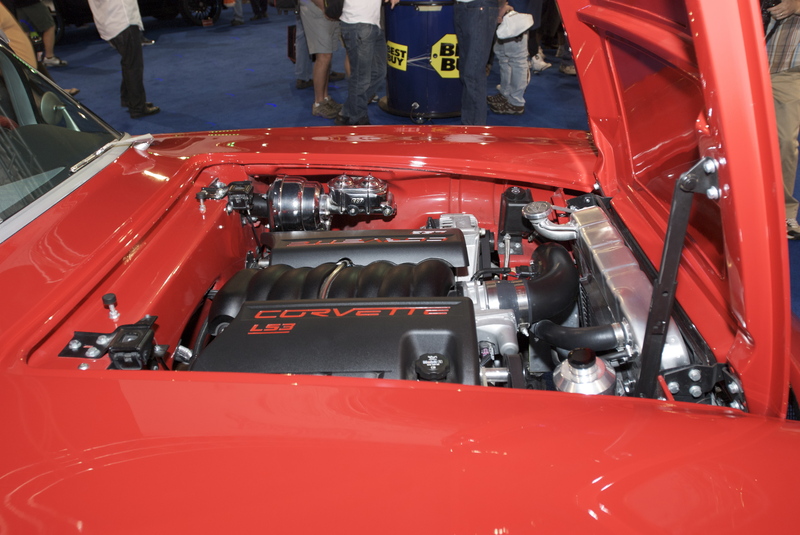 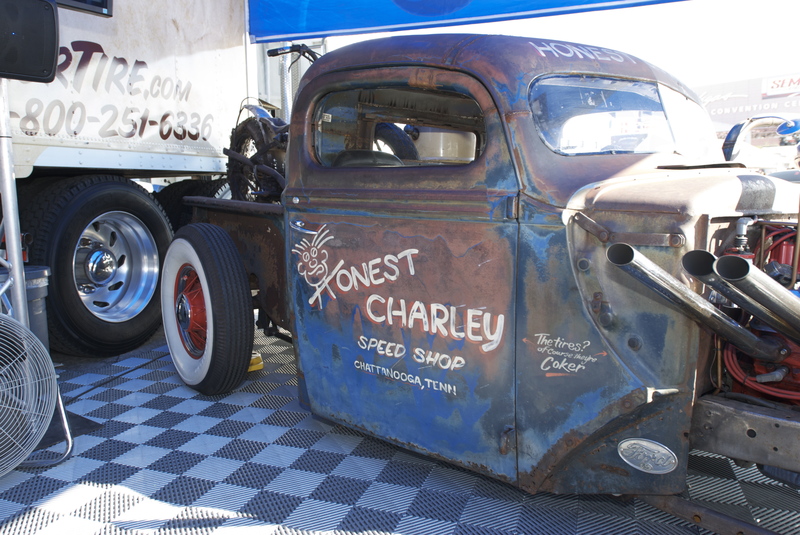 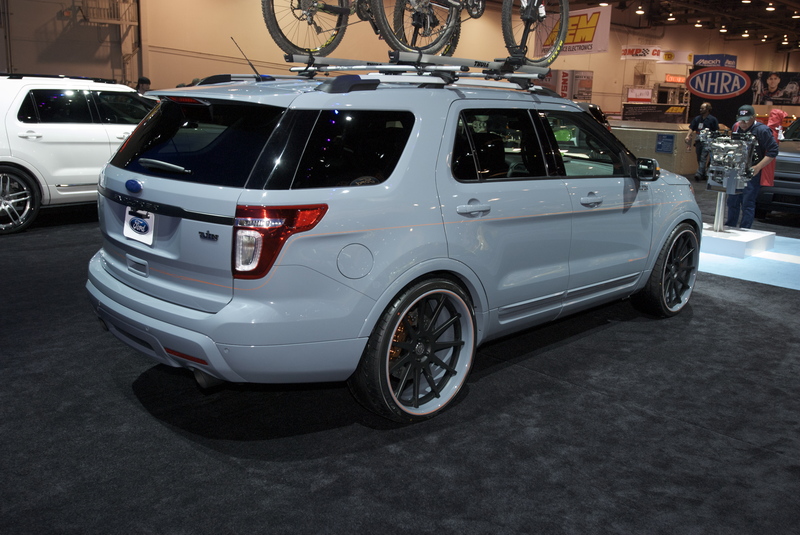 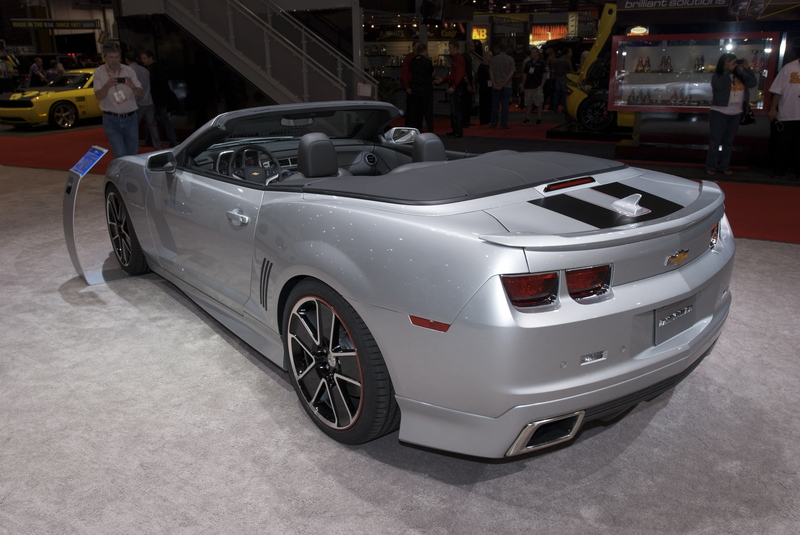 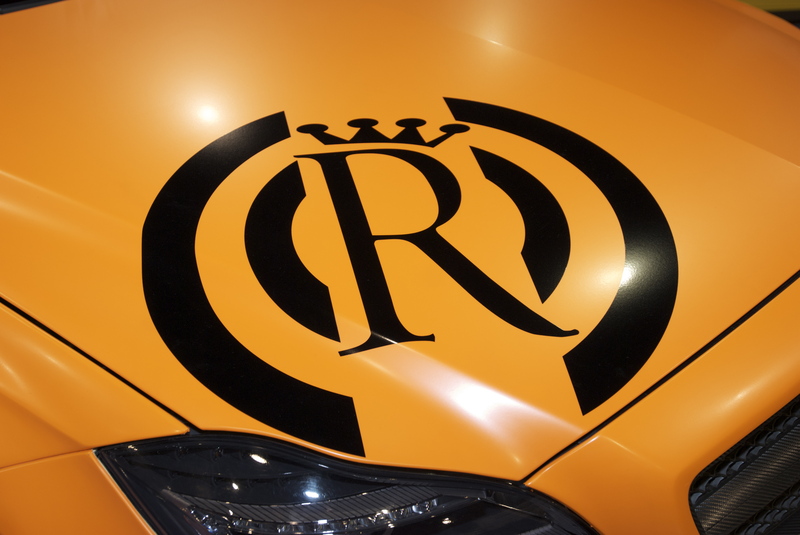 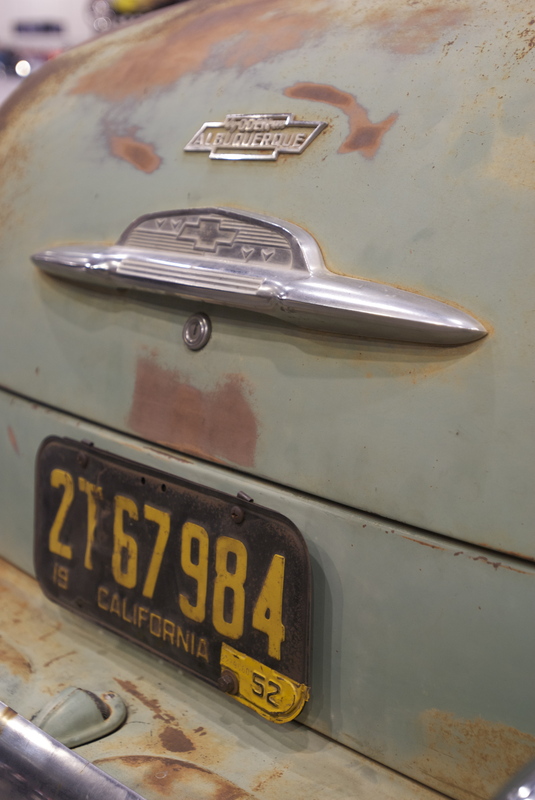 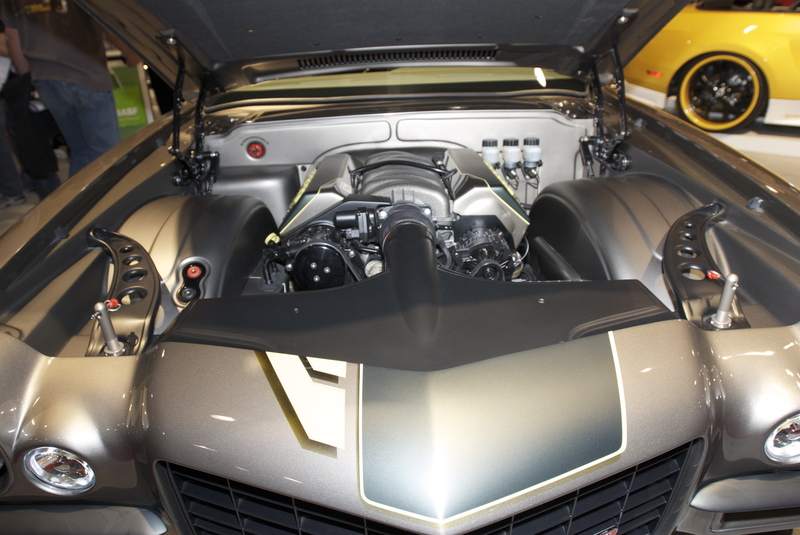 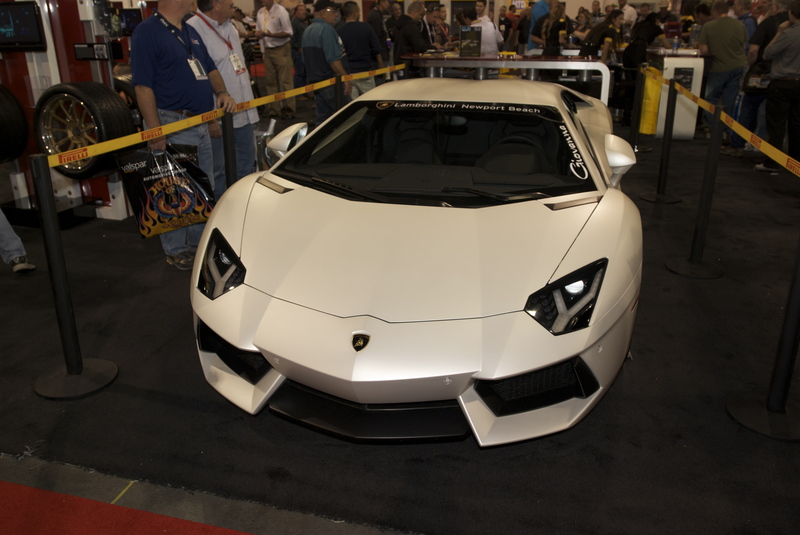 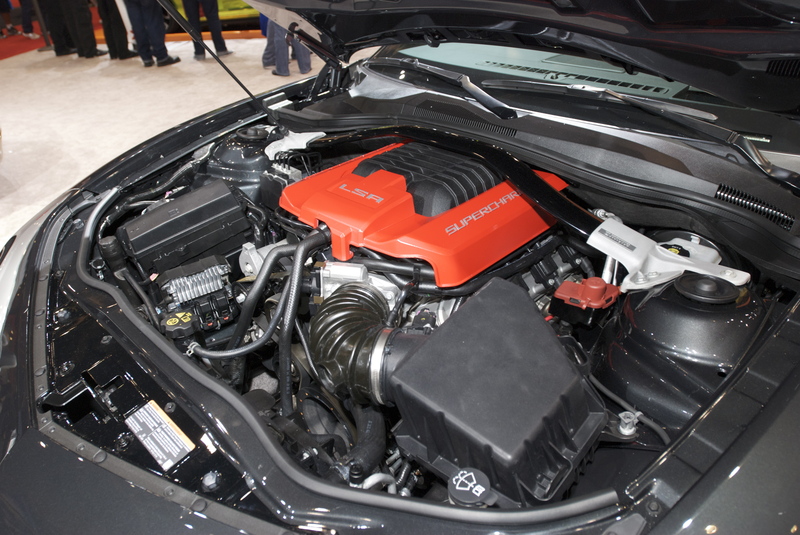 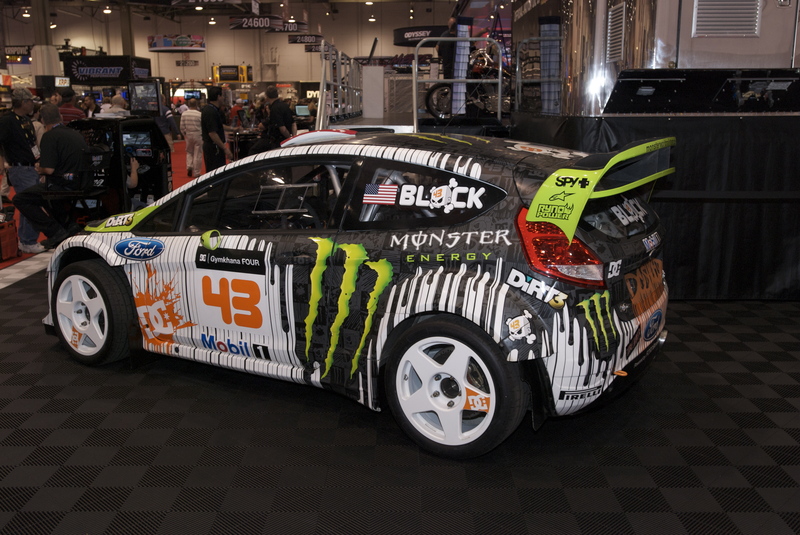 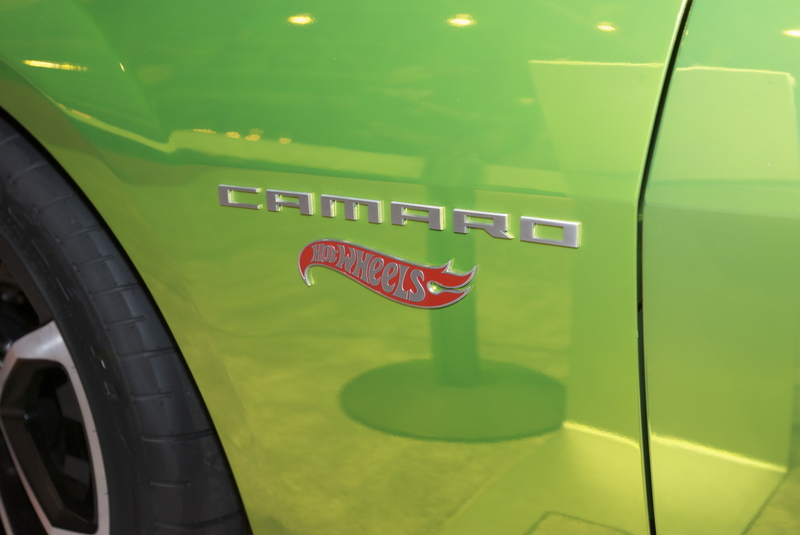 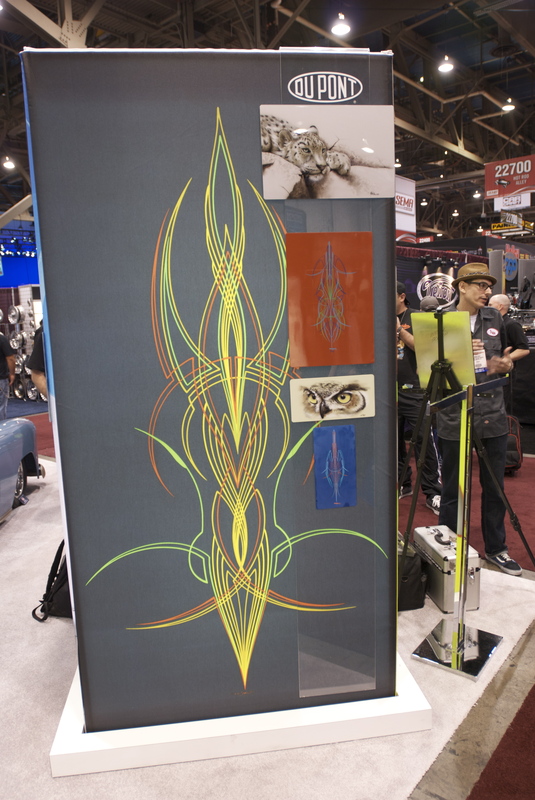 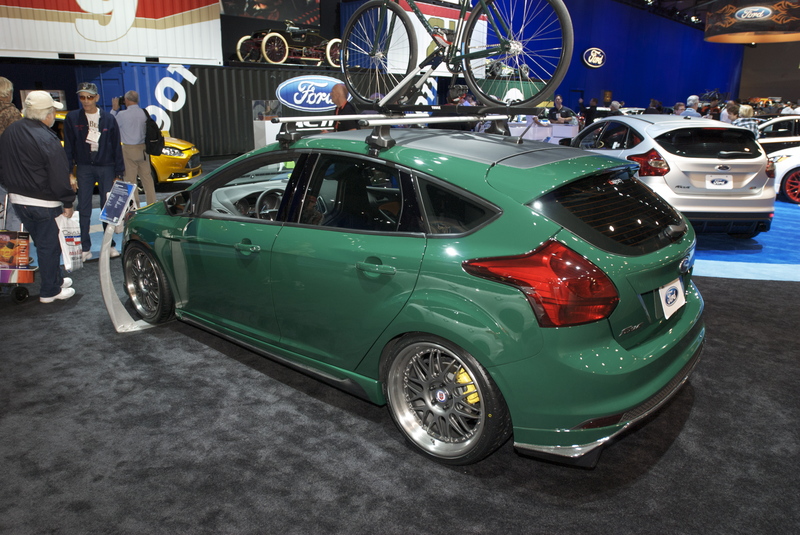 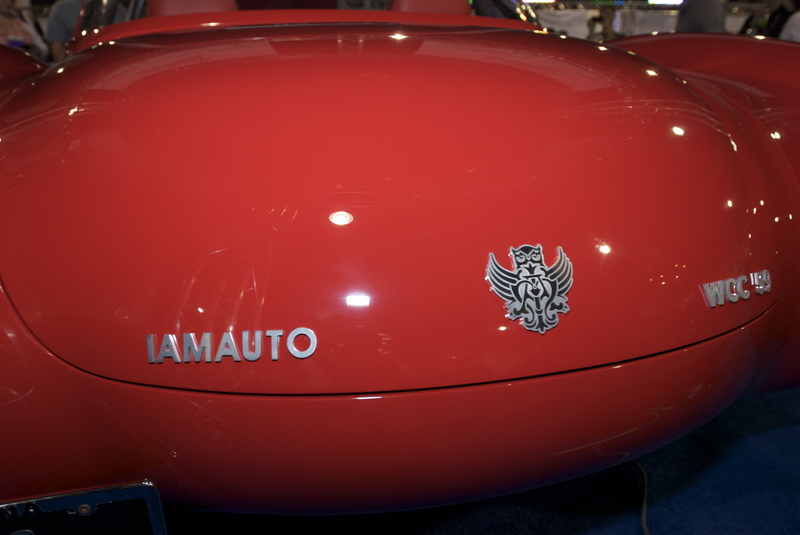 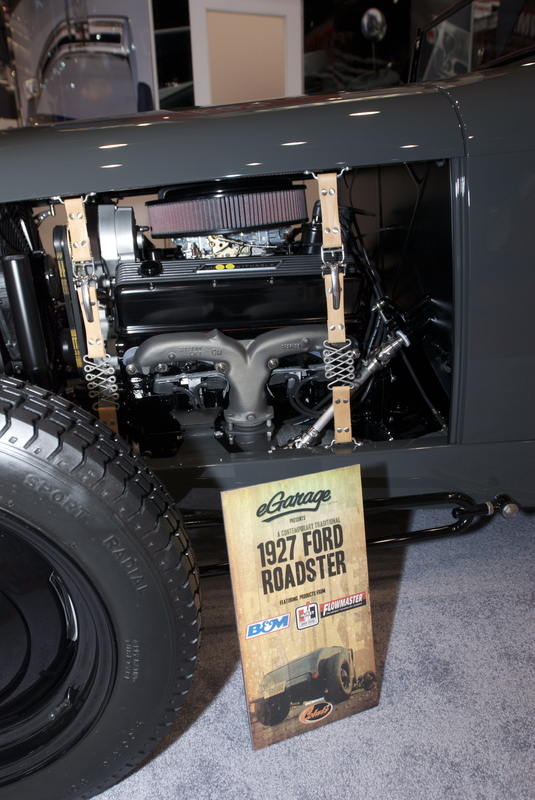 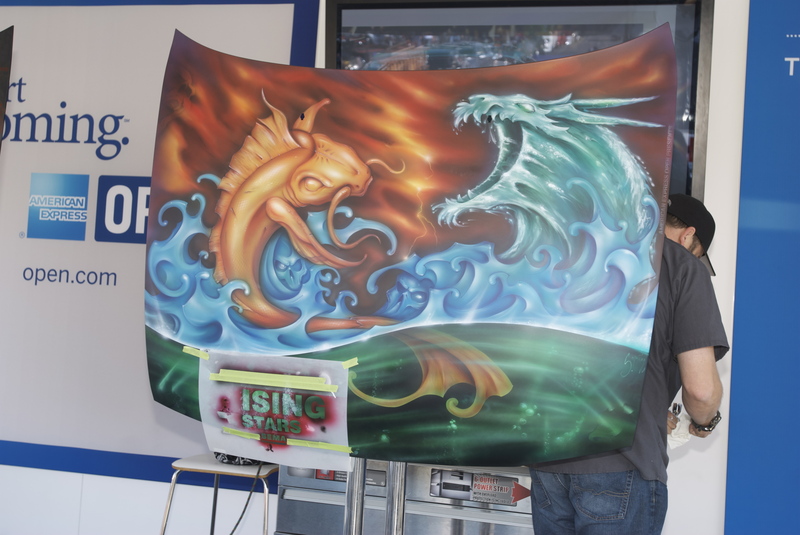 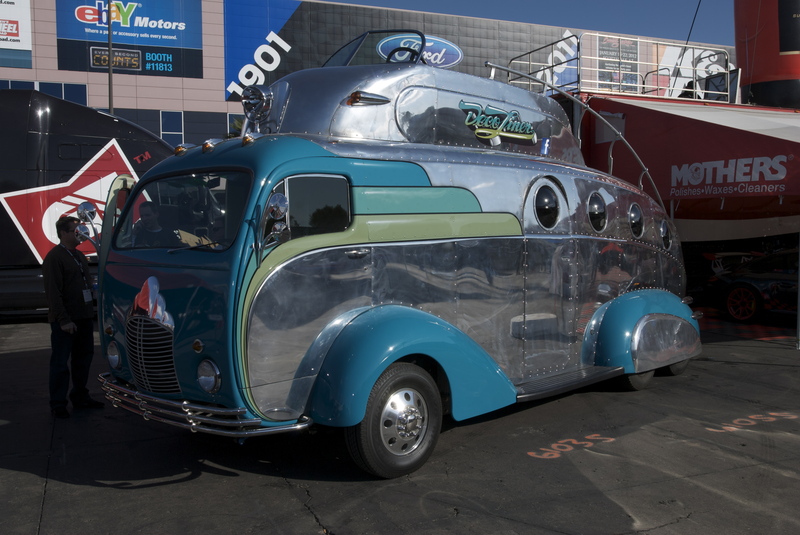 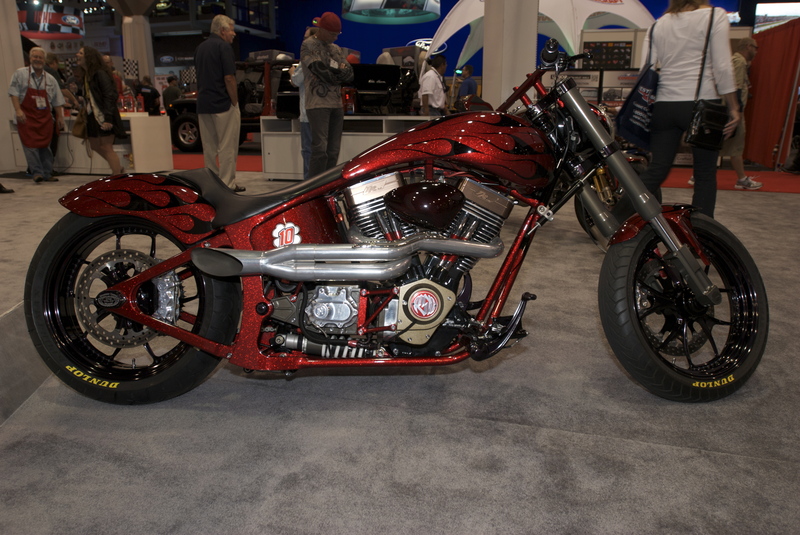 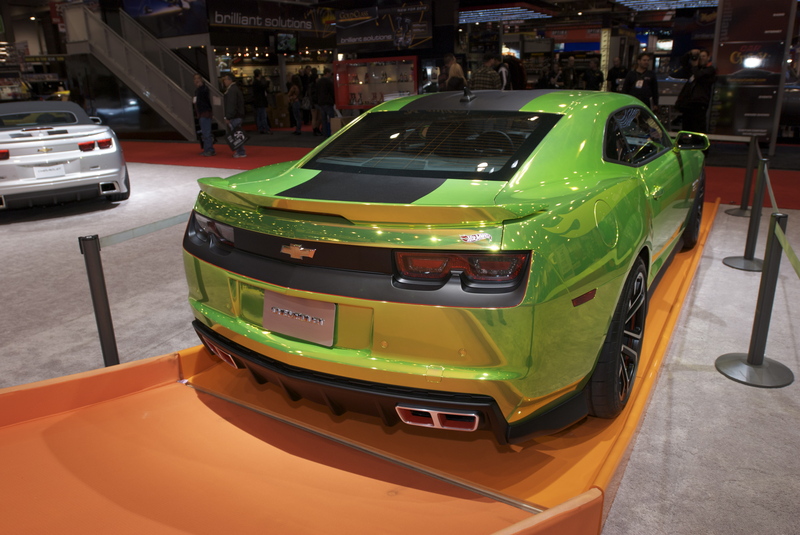 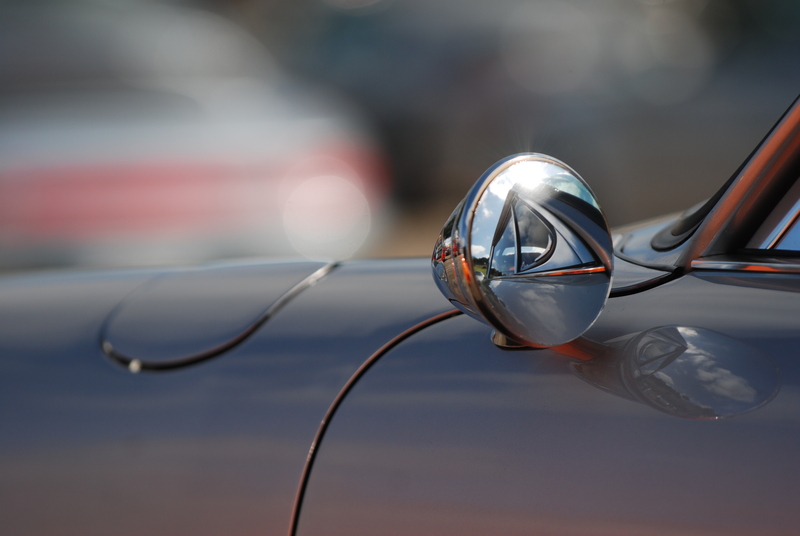 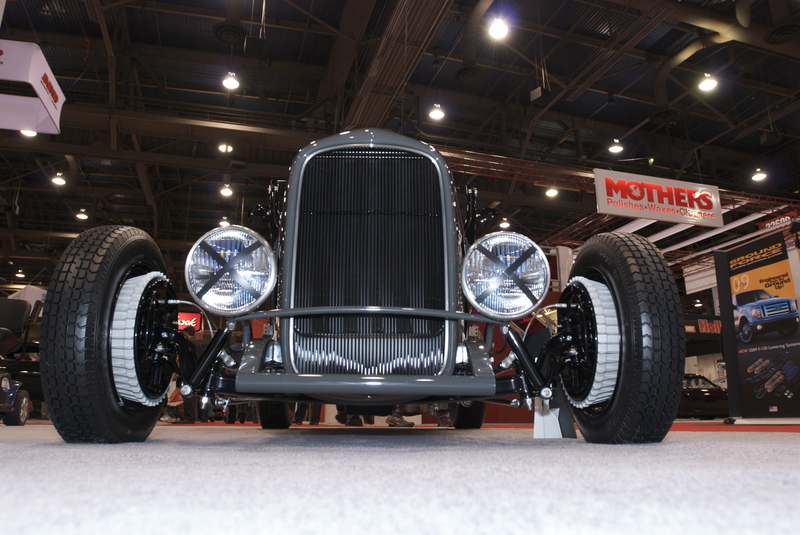 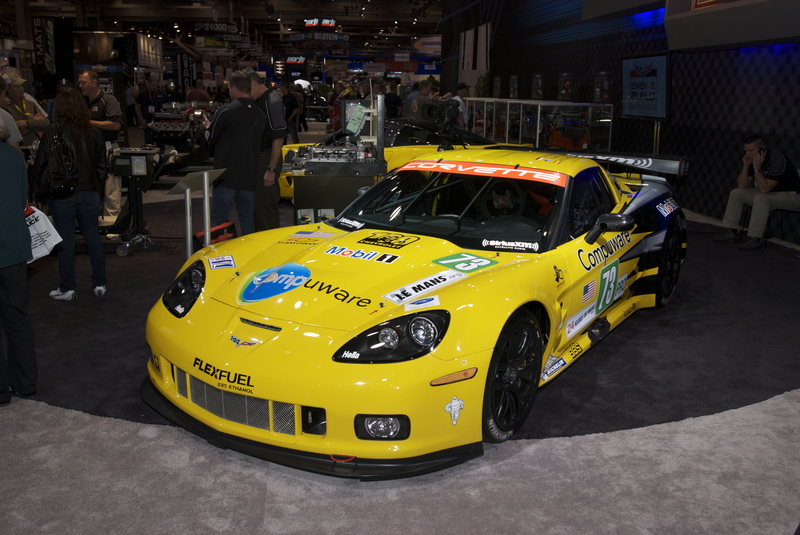 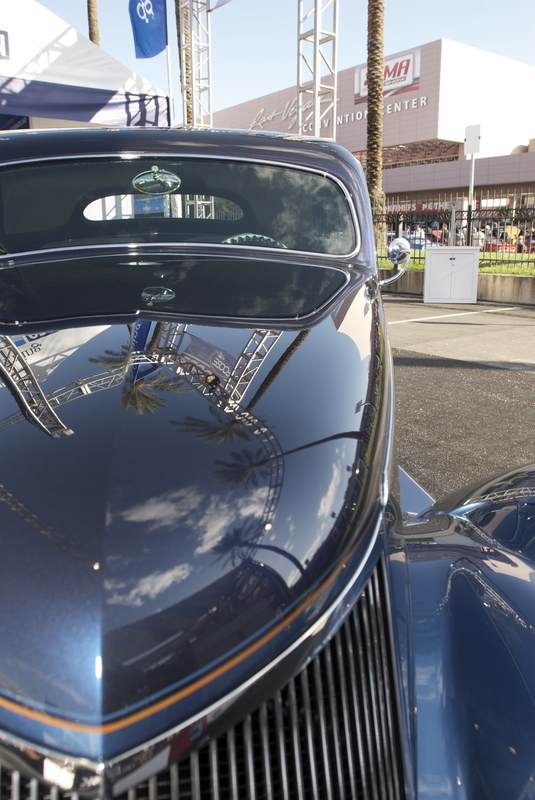 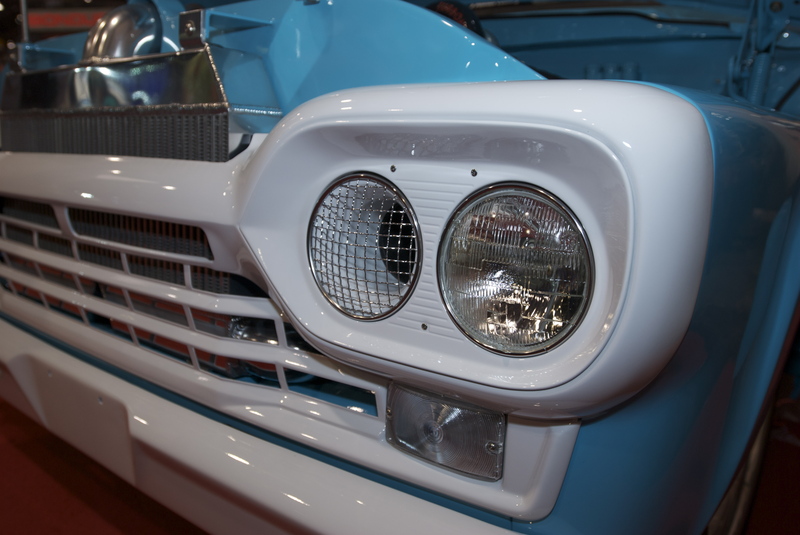 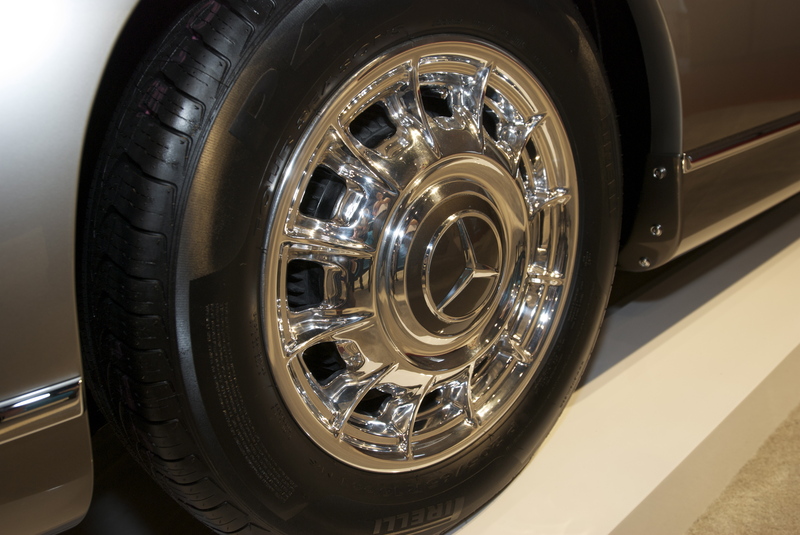 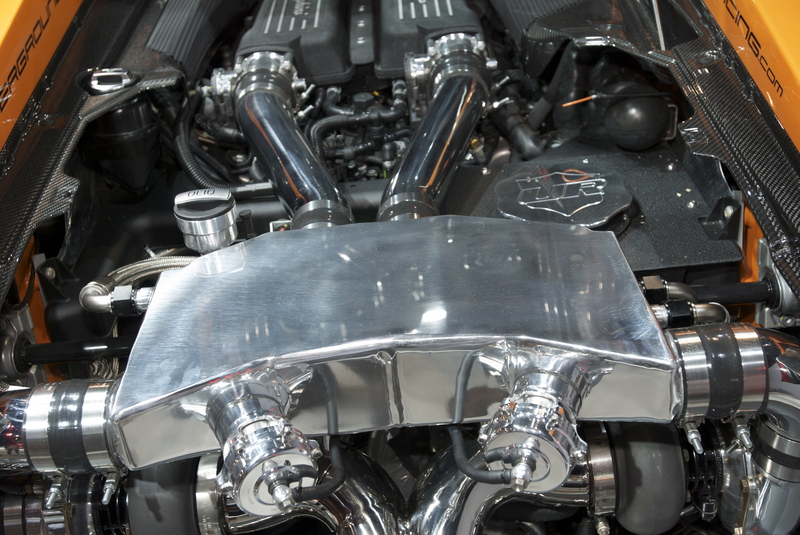 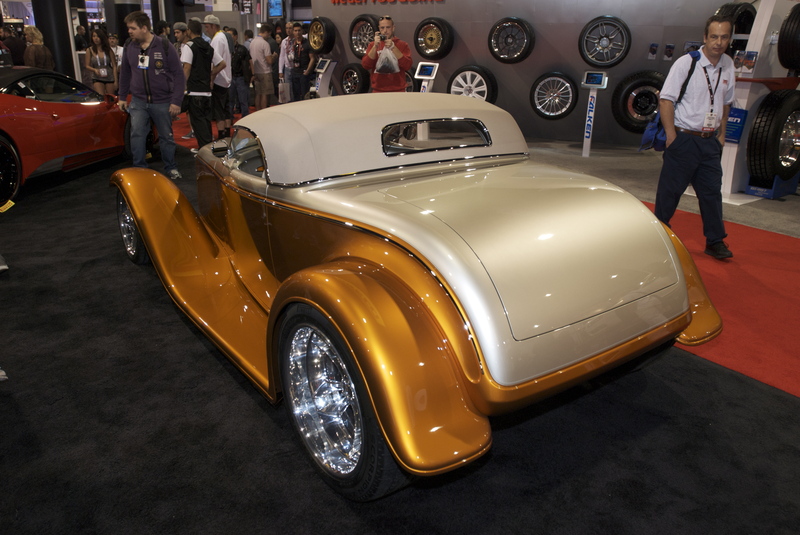 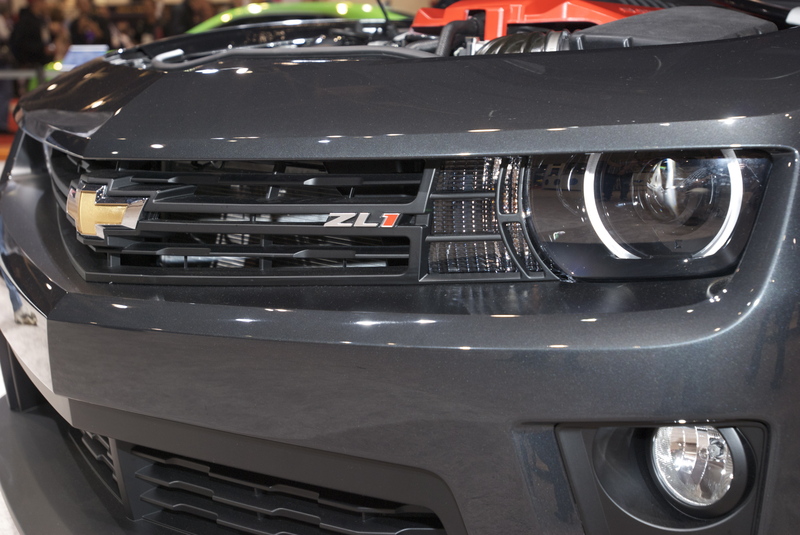 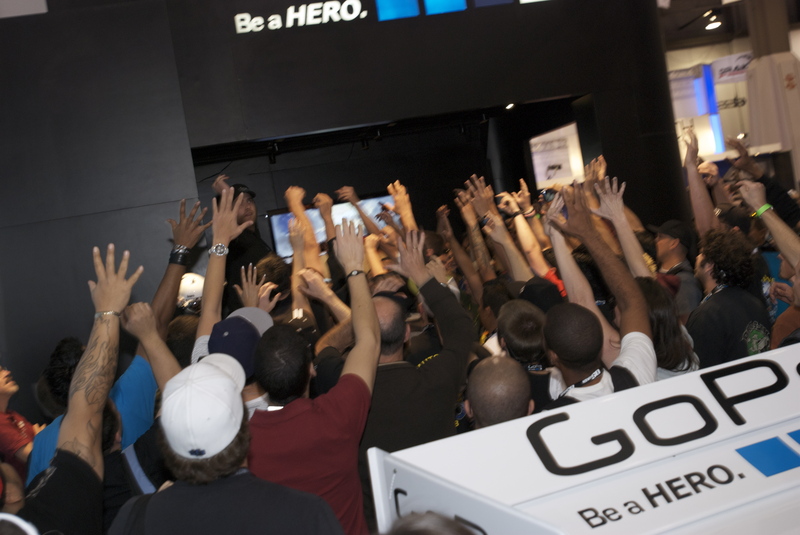 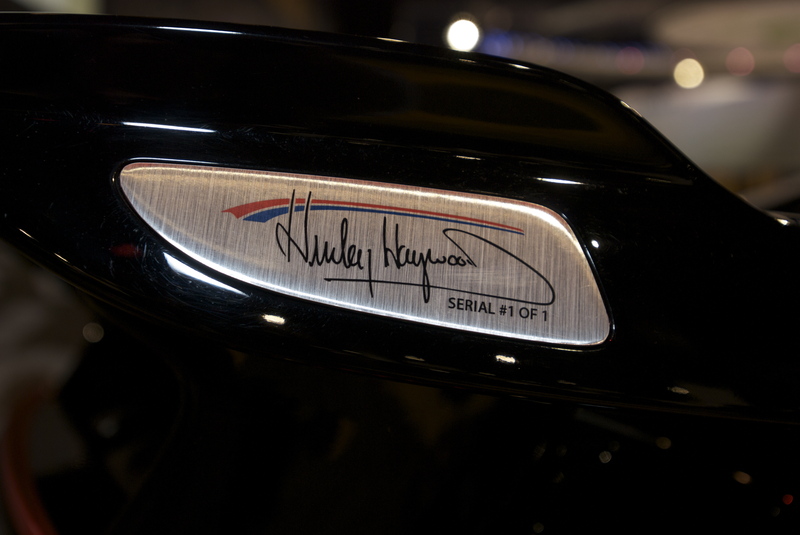 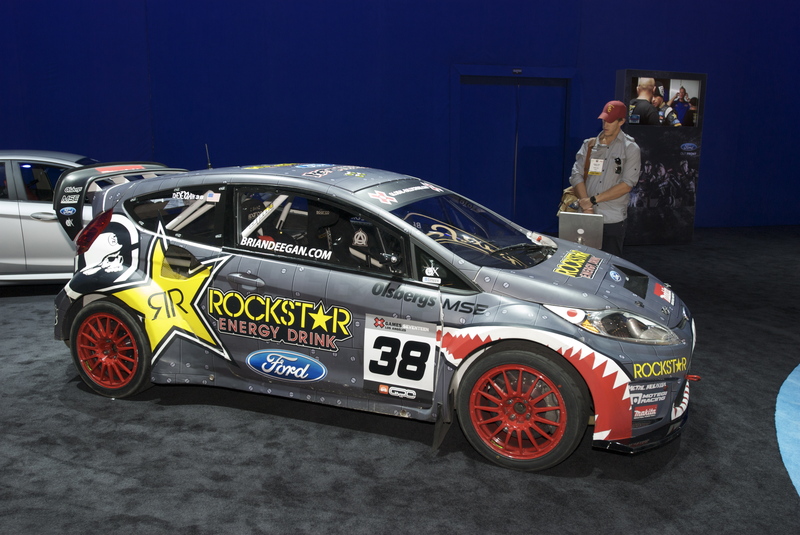 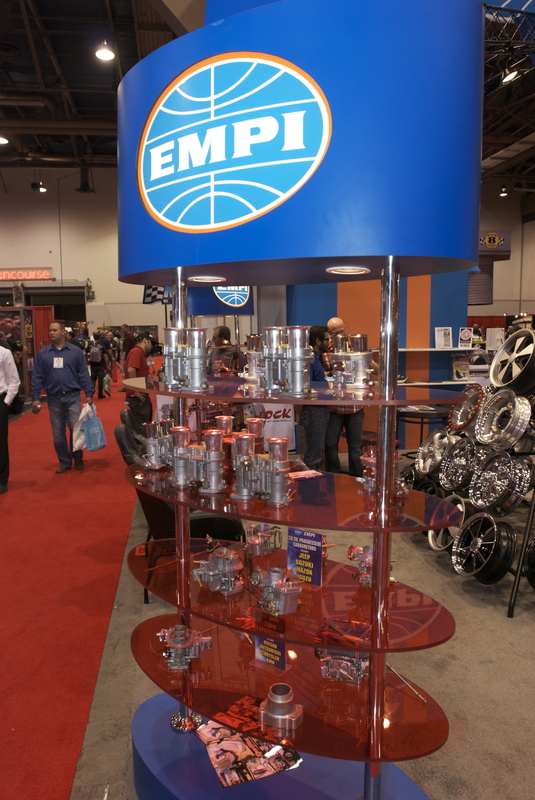 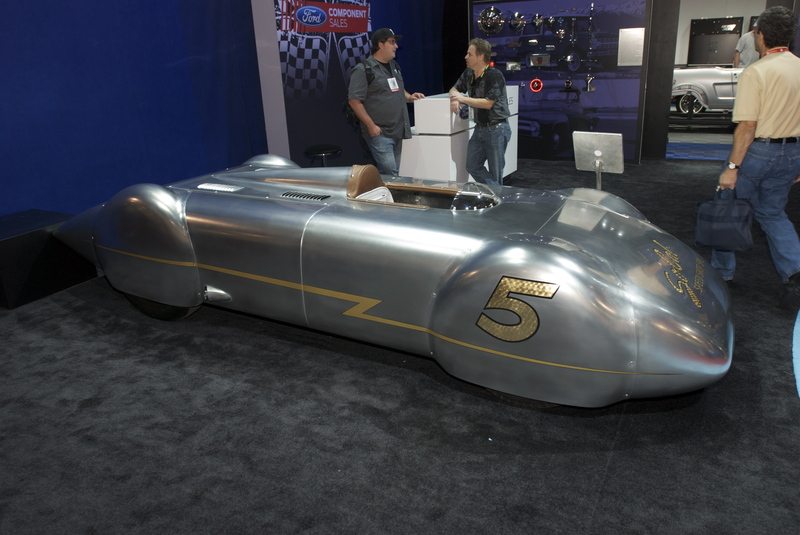 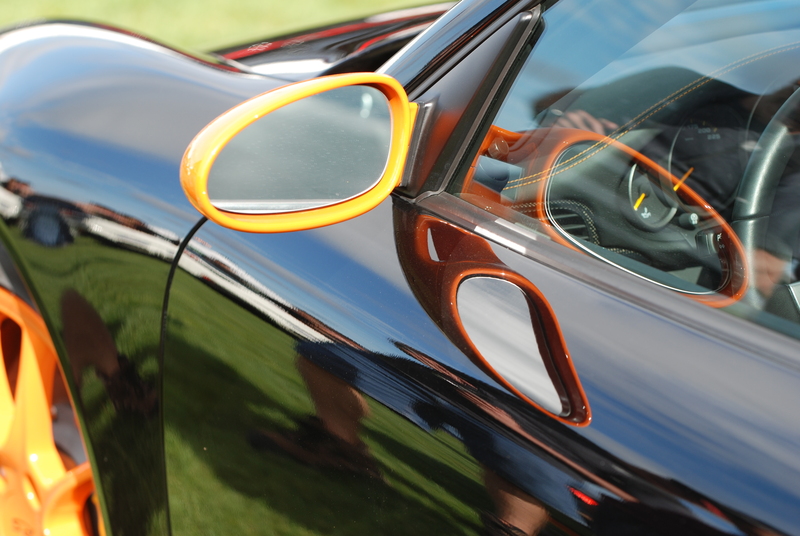 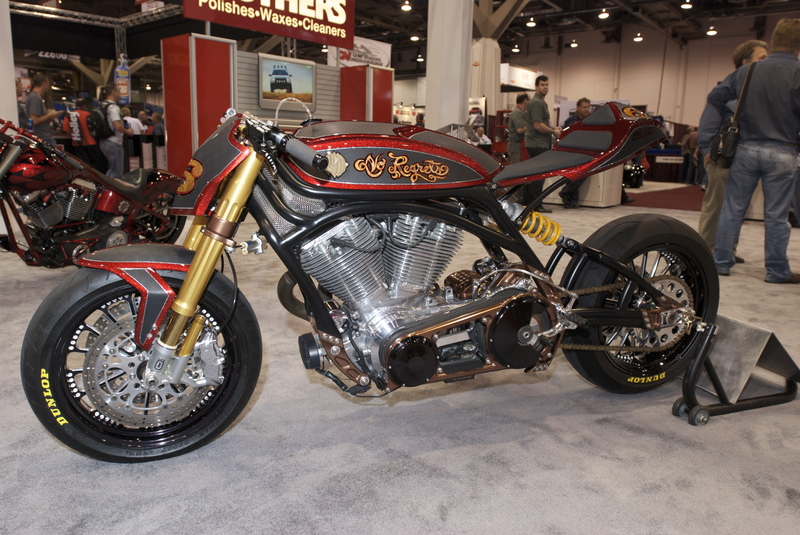 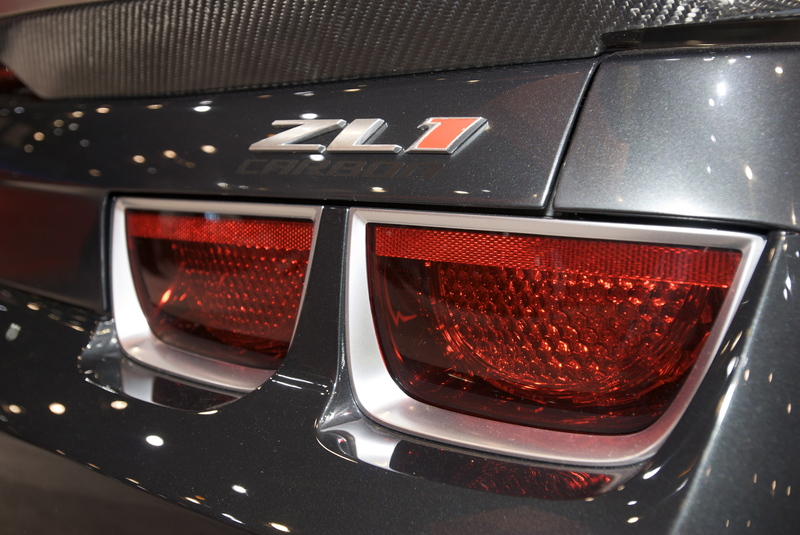 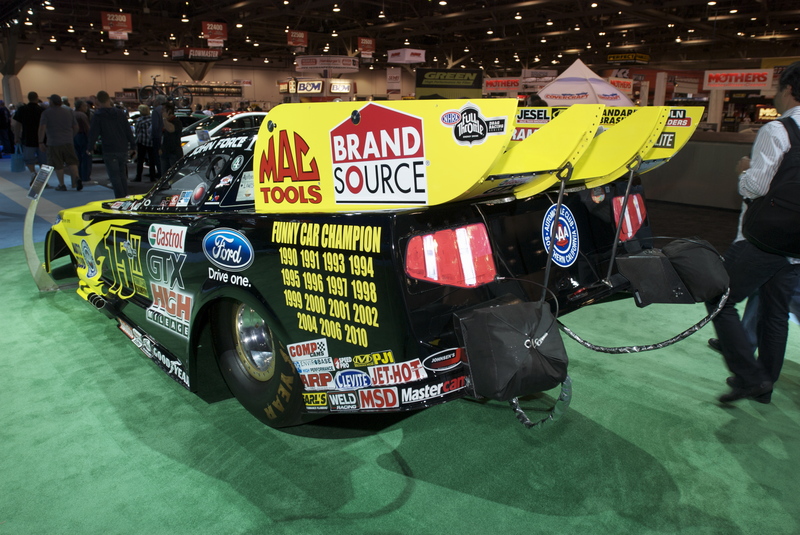 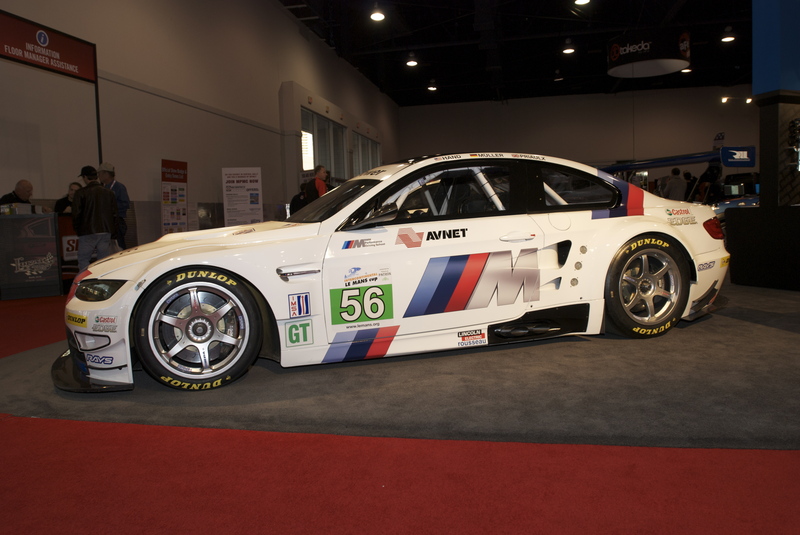 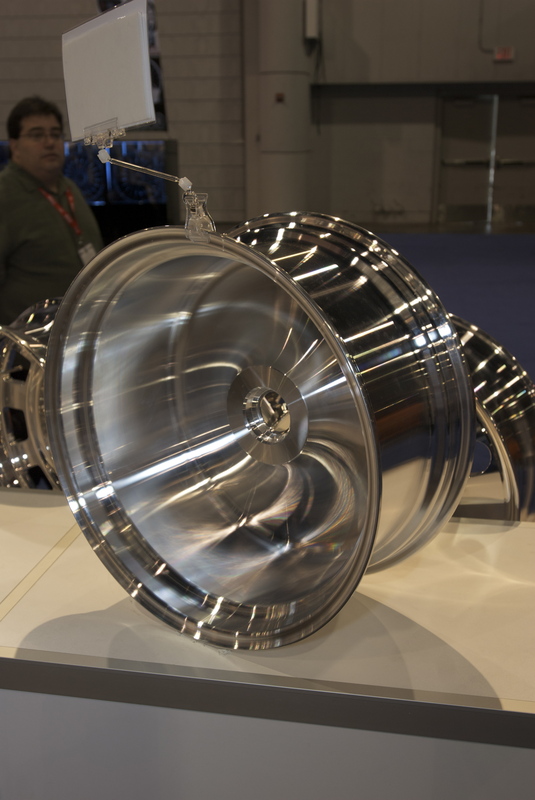 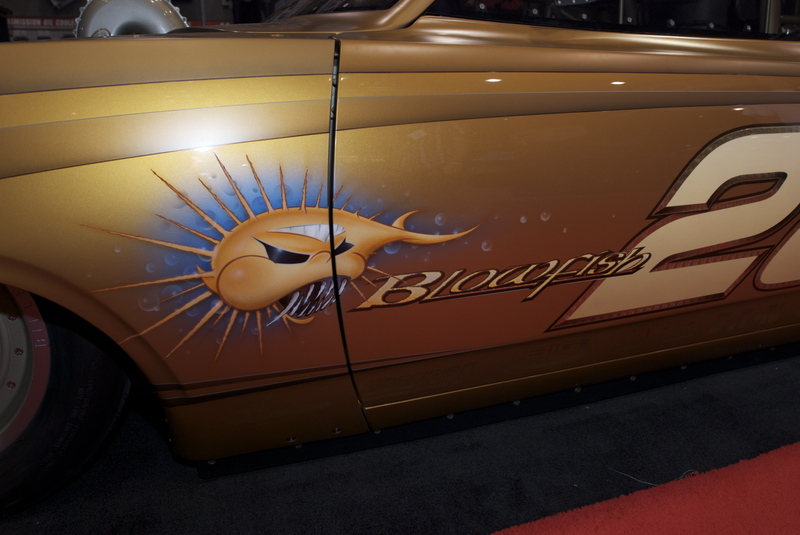 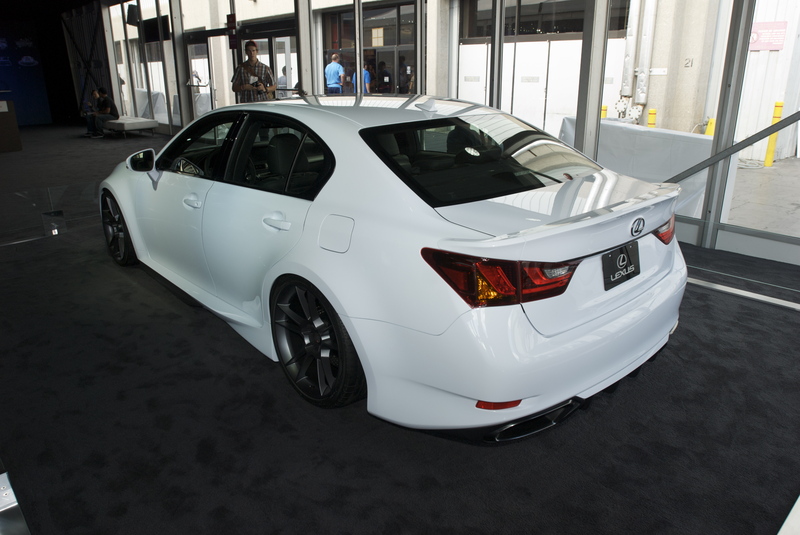 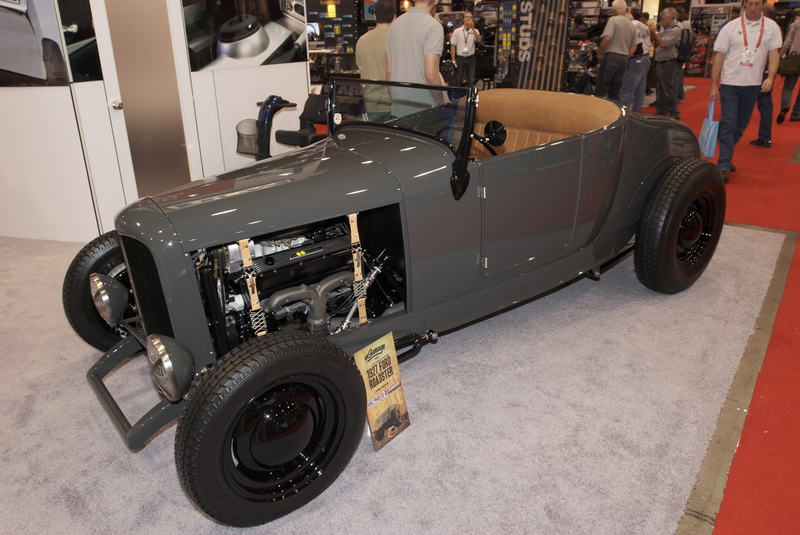 (Part 2 of “Through the looking glass…The SEMA Show 2011 / Day 2 to follow shortly).